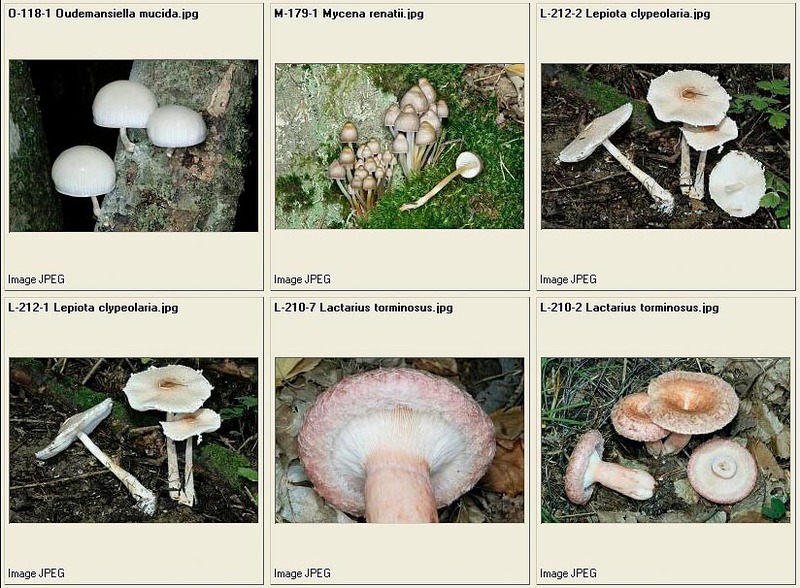 MYCOLOGY, the science which studies the fungi, comes from the Greek MYCHÊS = fungus and LOGOS = speech, treatise. 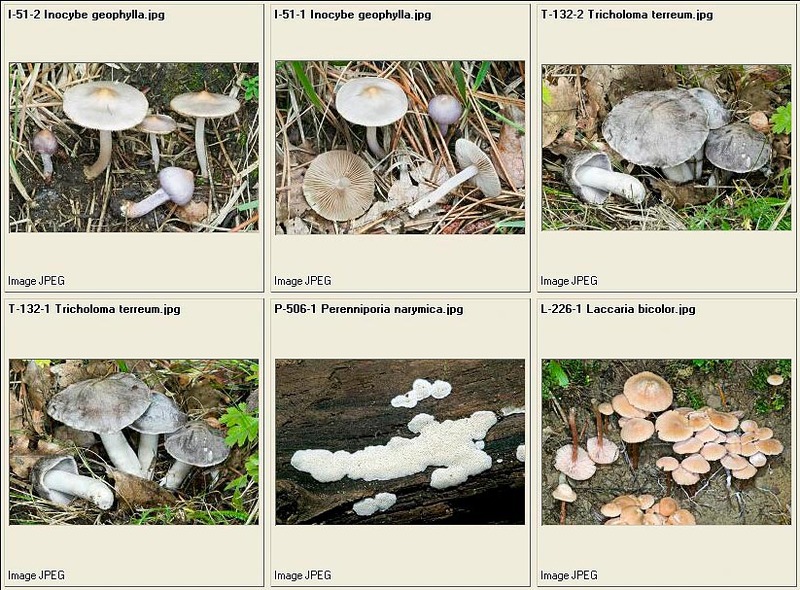 It literally means to treat about fungi, and mycologist is the person who studies them. 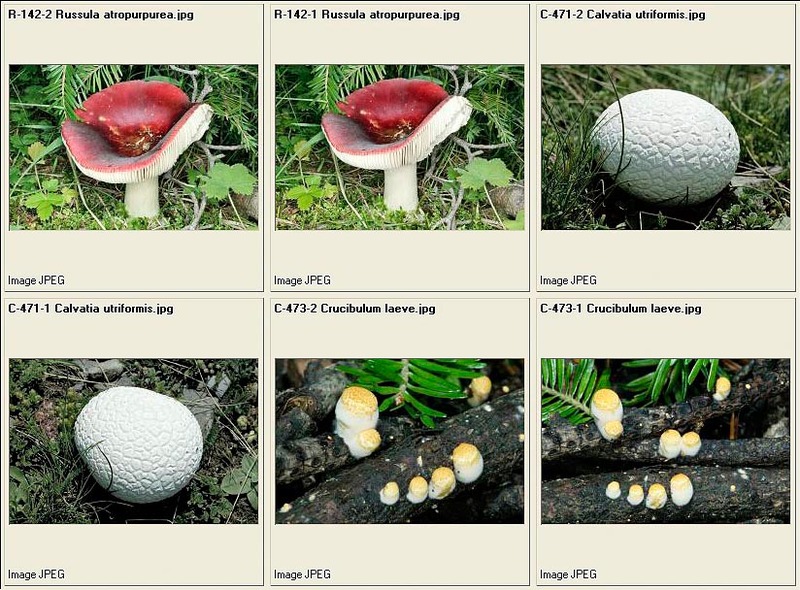 In order to talk about fungi and to understand certain attitudes and customs, it is useful, at times, to begin from long time ago: from prehistory. After the witnesses found (graffiti), we can presume that man has been observing fungi since the most remote times, and that he has learnt how to utilize them, in primis as food, testing their danger on his own life later, after having found some properties particular of certain species, such as hallucinogenic fungi, used especially by wizards and shamans, or as curative, due to the anti inflammatory capacities and as fortifiers of the immune system. In somewhat more recent times, the deadly fungi have been often utilized for getting rid of enemies and of bothering persons. 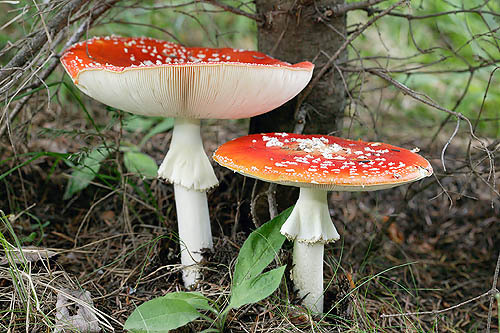 As it can be easily imagined, at the beginning the fungi poisonings were very frequent and the difficulty to understand the causes contributed to create superstitions and wrong beliefs, which still nowadays persist in many areas. 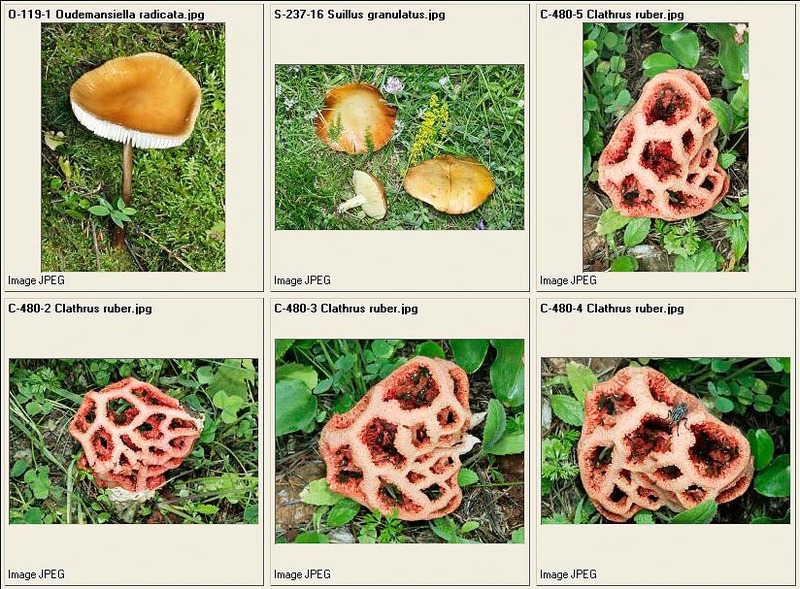 It was thought that the fungi, harmless for nature, were becoming toxic due to external factors, or a creation of the devil was seen in them for attracting man and then cause harm to him. 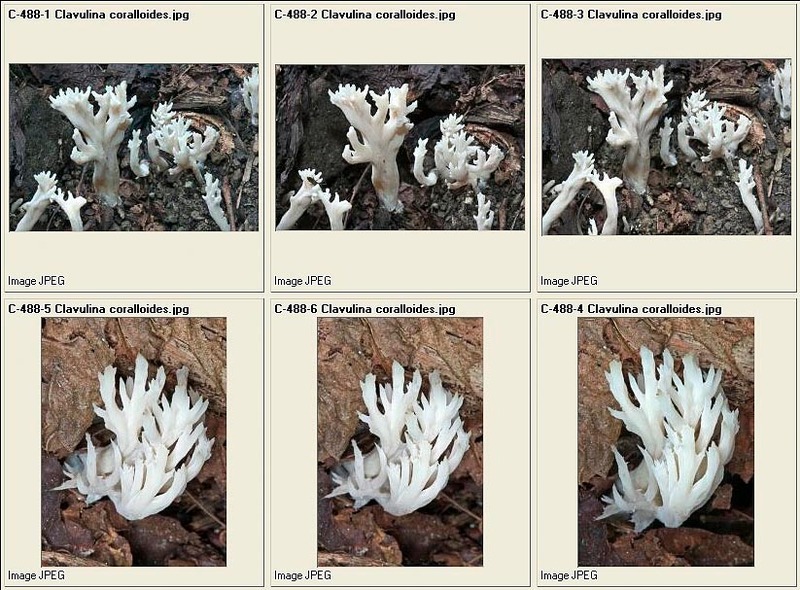 This conception of the fungus can be brought back to the way of birth and growth of the fungus itself: it emerges from the ground apparently from the nought (the “plant” fungus develops under ground, does not produce “seeds”, in the common meaning of the term, and the growth of the carpophores is not strictly connected with a definite seasonal cycle, as it follows more the climatic conditions, which can vary from year to year); furthermore, the growth of the carpophores often develops in rings or in zigzagging lines, which were mistaken for evil’s plans. The evidence that some species were used for causing hallucinations and conditions of trance in shamanic or divinatory rituals is found in many graffiti and drawings found in several parts of the world: in the Sahara desert, in Alger area, in the Vallée des Merveilles in France, in the Indian nation, in North Europe; everywhere, the figures represent group rituals and the fungi shown there recall the genus Psilocybe or, in any case, fungi surely holding hallucinogen properties. 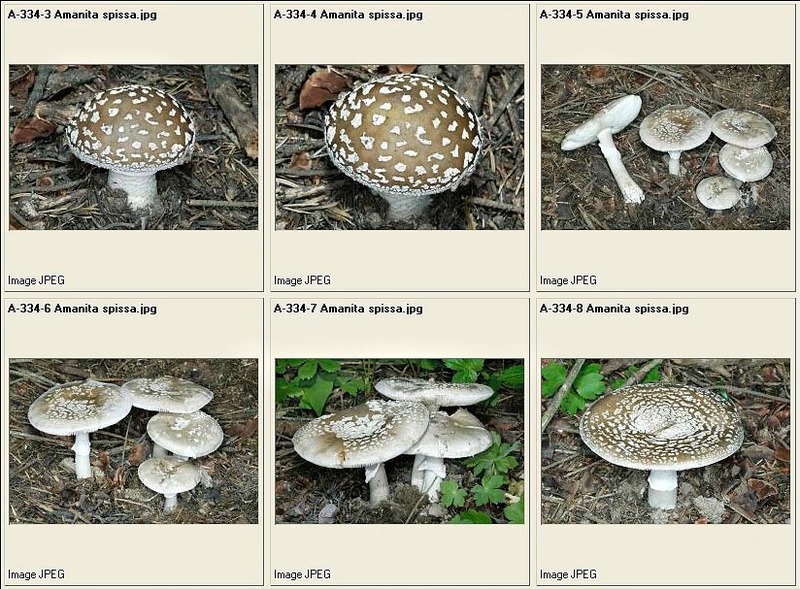 But the divinatory utilization was not the only use done with the fungi. A recent example: in 1991, in the Similaun glacier separating Italy from Austria, it has been found the body of a man dead more than 5000 years ago and naturally mummified. Between the things composing his equipment, there were also the Fomes fomentarius and the Lenzites betulinus ; the first was utilized to light the fire, the second to prepare a decoction for improving the physical resistance to fatigue and pain, in powder as antibiotic and haemostatic for treating the wounds and also, possibly, as a brush for cleansing the skin. 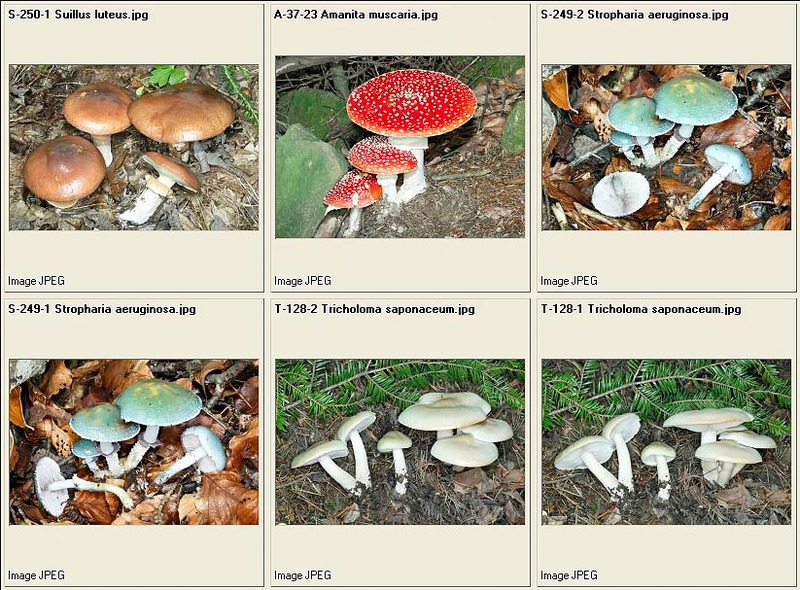 After Theophrastus, the subject fungi became competency of the physicians and we have to reach the 50 AC before finding other writings about fungi. In the work “Regarding Medical Matters”, by Pedacius Dioscorides, born in Cilicia (Asia Minor), military physician and civilian in Rome under the rule of emperors Claudius and Nero, he has handed down to us some information about the toxicity of fungi and the therapy to follow in case of poisoning: “…decoction of aromatic plants, potions of vinegar and salt, administrations of excrements of chicken kneaded with honey and vinegar…”, remedies which probably have been used for many centuries. 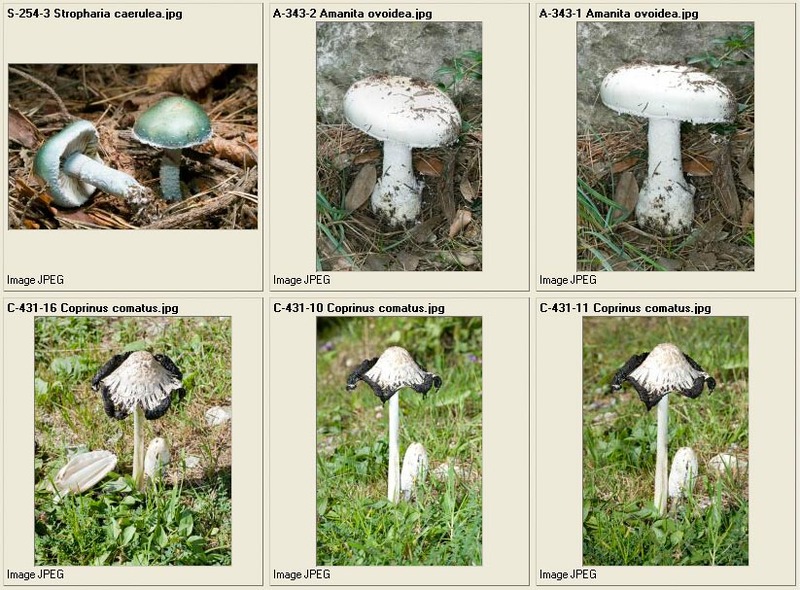 We owe to him the first description of the AGARICUM (Lariciformes officinalis), which was used as a medicine. Another physician concerned with fungi, Greek from Pergamum, who lived in Rome at the time of the emperors Marcus Aurelius, Lucius Verus and Commodus, was Claudius Galen (129-200 AC). 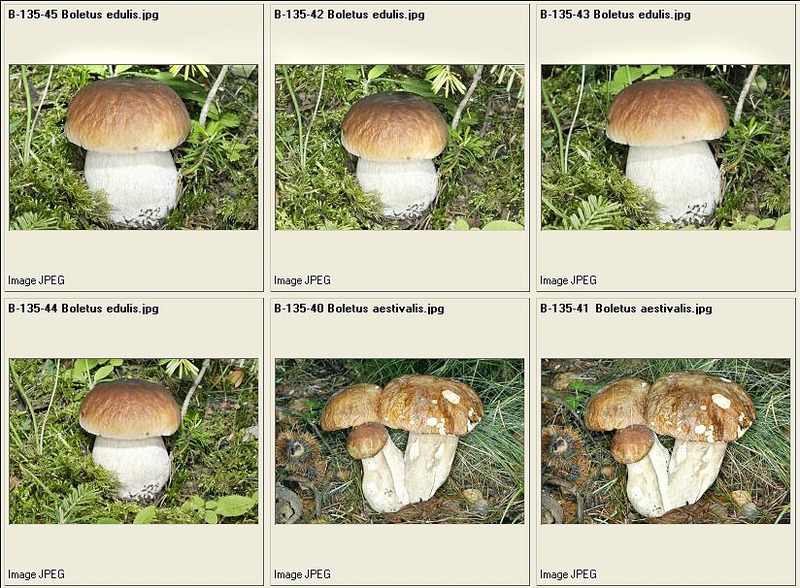 Galen had divided the fungi in three basic groups: “Bolites”, “Amanitaï” and “Mikés”. 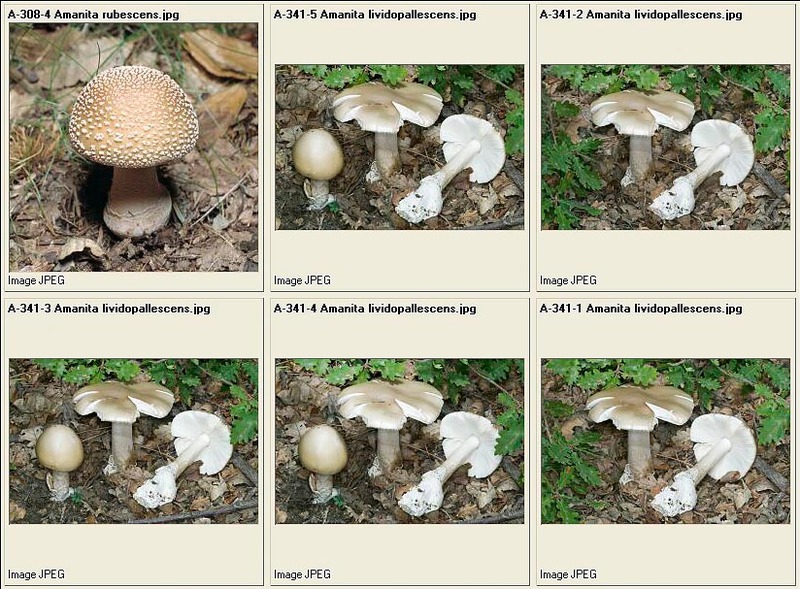 The first group included the fungi with gills (between them the present Amanitas, genus to which belongs the Amanita Cesarea, which, still now, in some areas of Italy, is currently called “bolete”; the second group included all the fungi with tubes and pores (the present genus Boletus, after the nomenclature created by Linnaeus in 1735); the third group included all other fungi with cap and stipe. 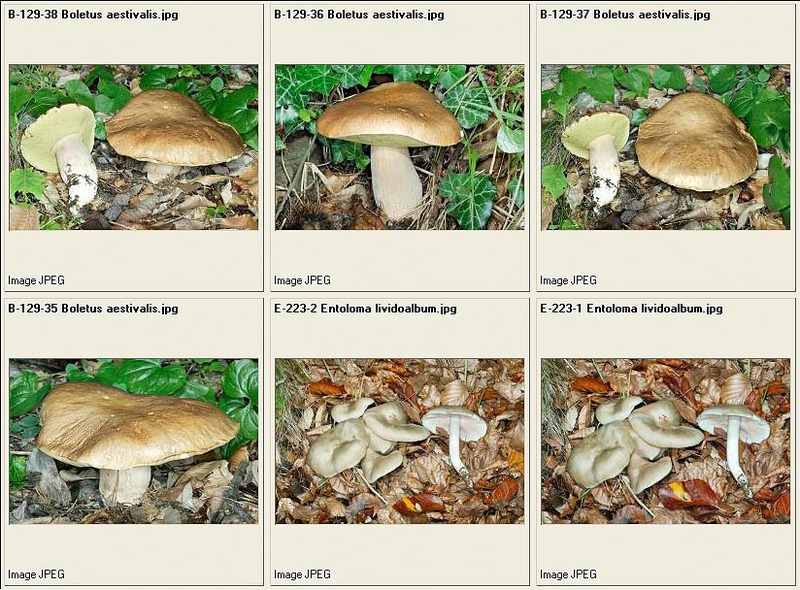 After Galen, the fungi belonging to the first two groups were all to be considered as edible, whilst those of the third group were to be considered as toxic and not suitable for alimentation because: “…not nourishing, difficult to be digested and dangerous for the toxic properties…”. Finally, Galen was confirming the validity of the therapy based on excrement of chicken against poisonings. The first author who treated fungi in a deeper way, is Gaius Plinius Secundus, better known as Pliny the Elder (23-79 AC). 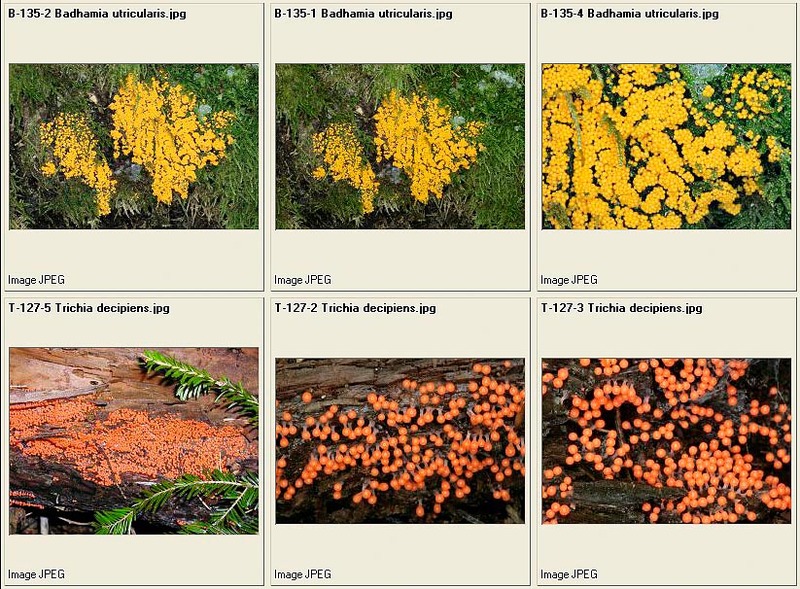 He has left us a work in 37 books: “HISTORIA NATURALIS”, where, between other naturalistic subjects, he talks also about fungi. 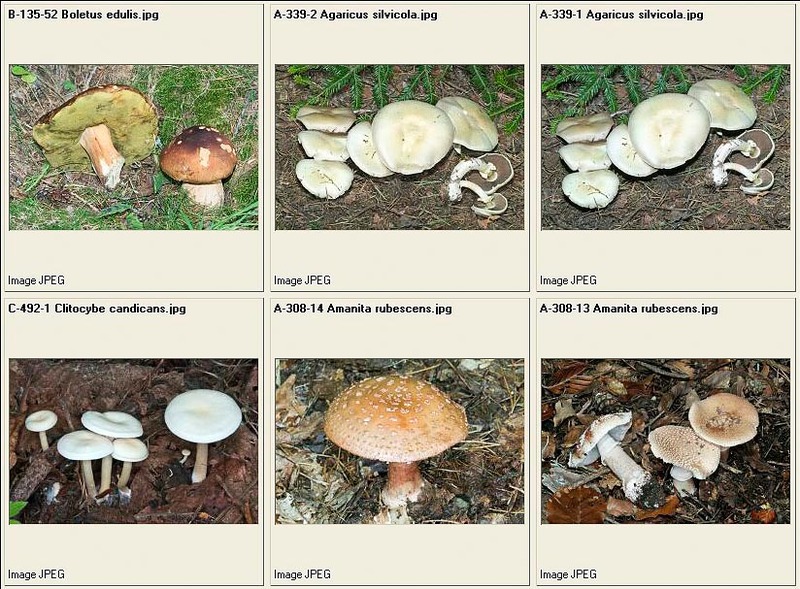 Here are some excerpts: “…between less advisable aliments we believe to place the boletes…” (present Amanitas) and justifies this assertion with the facility of mistaking them with toxic fungi. 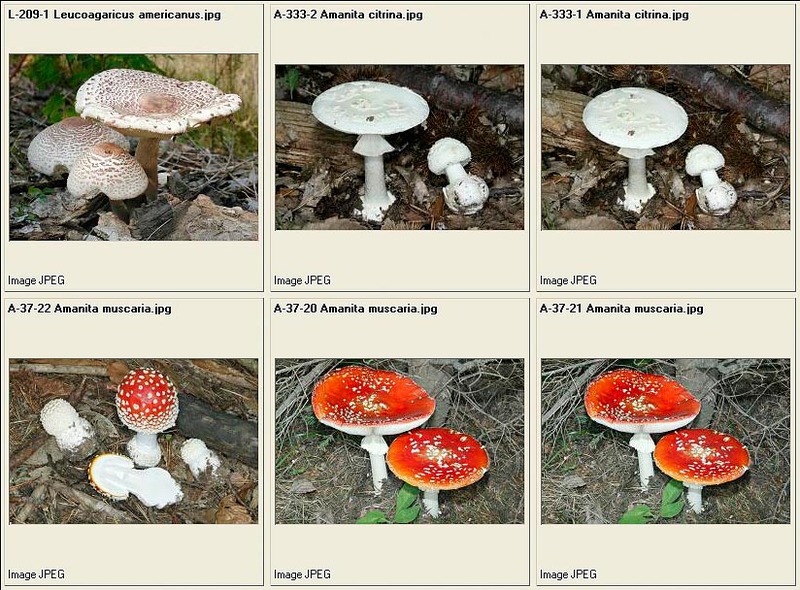 Referring to Amanita muscaria, he says: “…some distinguish due to a sort of warts present in the cap, white and dry, similar to efflorescence of saltpetre, which are nothing else than residues of the veil…”. 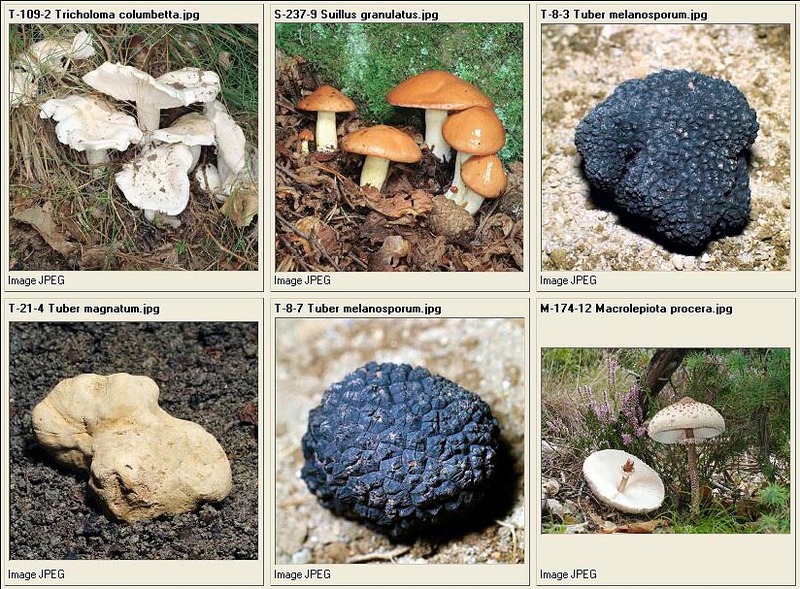 Furthermore, he lists some cases in which perfectly edible fungi can become toxic and says: “…if they come out close to metallic buttons, shoes nails, rusty iron, very wet clothes, absorbing the essences imbued of such substances and transforming them in poison”. 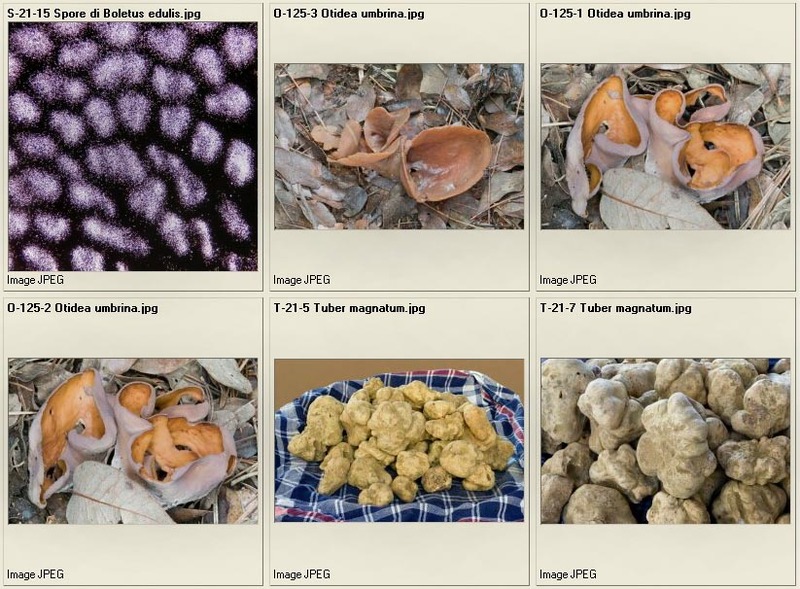 And again: “…if in proximity there are some nests of snakes, or if a snake, while passing by, blows over it, the fungus becomes toxic, because its nature is to absorb whatever type of poisonous substance”. These beliefs are still much actual and kept as valid in almost all Italy. 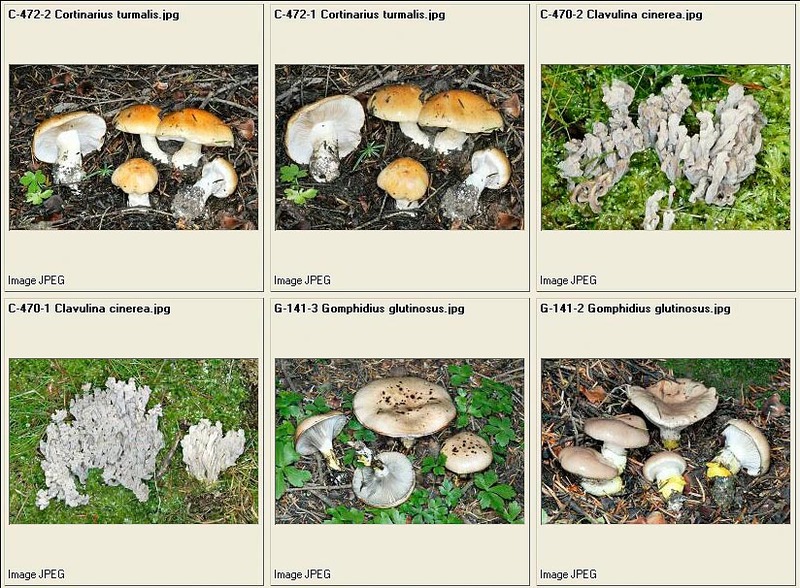 It was thought also that the edibility of the fungi might be understood when observing the plants growing close to them: Pliny was declaring as harmless those coming out under the conifers, the fig tree and the ferula; and as toxic those coming under the oaks, beeches and cypresses. 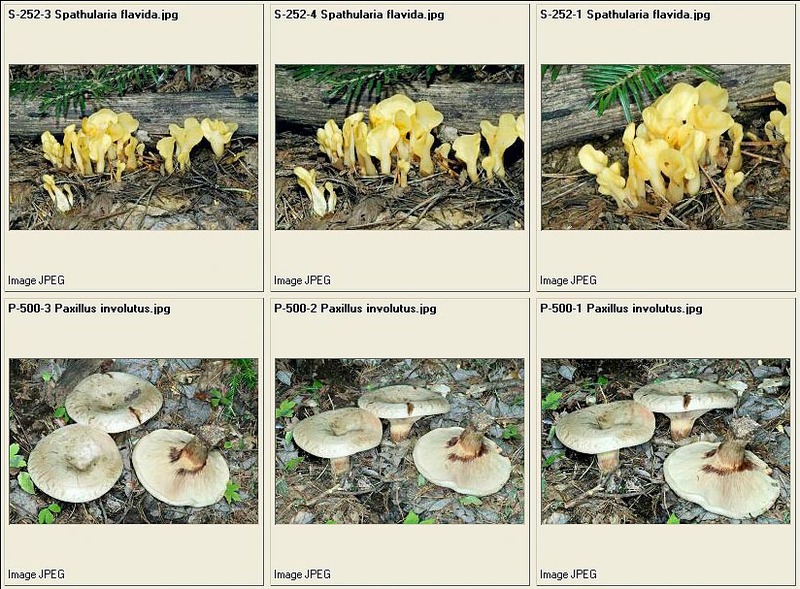 This probably because the deadly Amanita and the phalloides in particular, prefer the broad-leaved trees, whilst we know that the Pleurotus eryngii, excellent fungus known since the ancient times, comes out on the roots of the ferula. 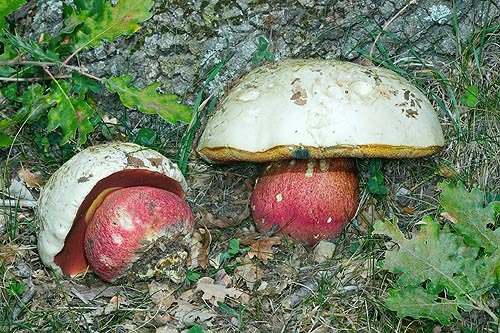 Pliny also describes the growth of the boletes: “…they emerge from the ground, at the beginning, wrapped by their volva, which renders them similar to eggs. 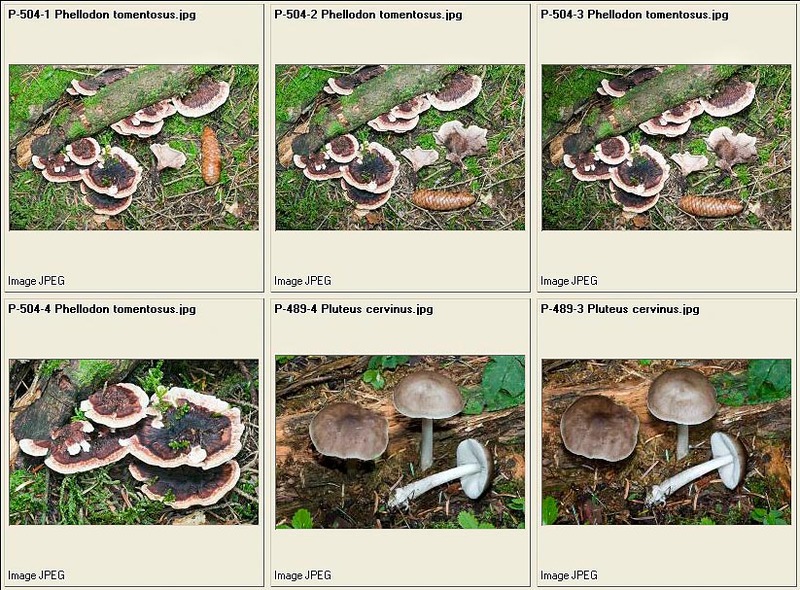 At this stage of growth, these fungi are particularly appreciated. Then, the volva, breaking, remains stuck to the base of the stipe…”. 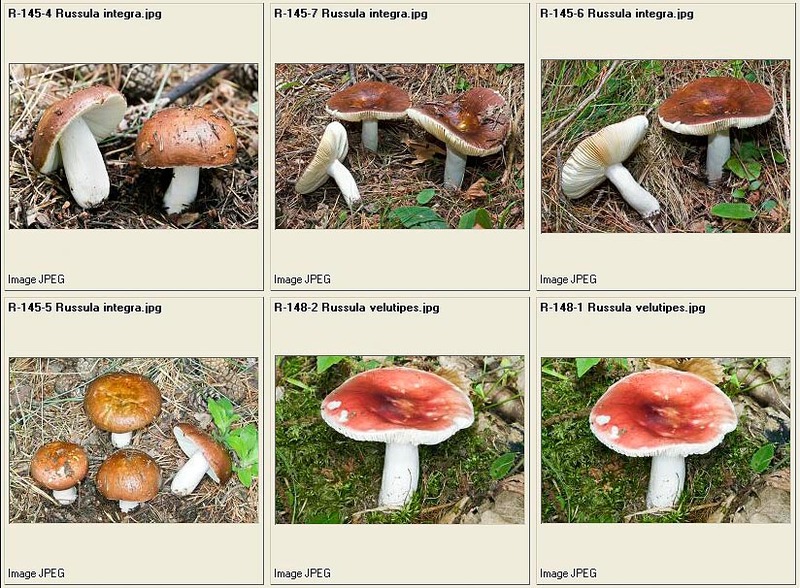 For the first time, the term volva is utilized in its correct mycological meaning. 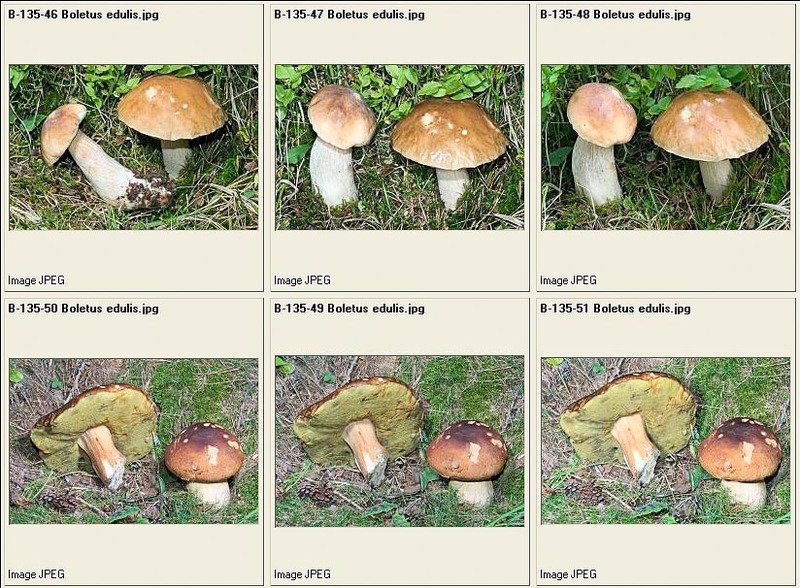 He describes then the duration of a bolete, which is of only seven days, the non-cespitose growth, with carpophores not coupled, but single. 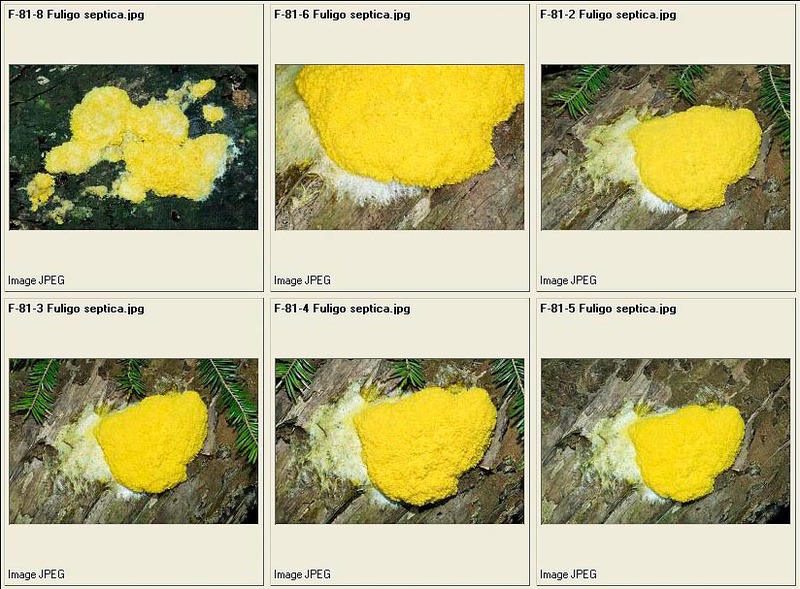 In order to explain the nature of the fungi (which apparently emerge from the nought), Pliny says: “…their origin is to be sought in the slime of the humid land and in its humours, which start to ferment, or in the roots of the cupuliferae…”. This assertion remained for centuries deeply rooted in the opinions of the naturalists, till when, with the new instruments, they were able to give a more scientific connotation to the study of the subject. 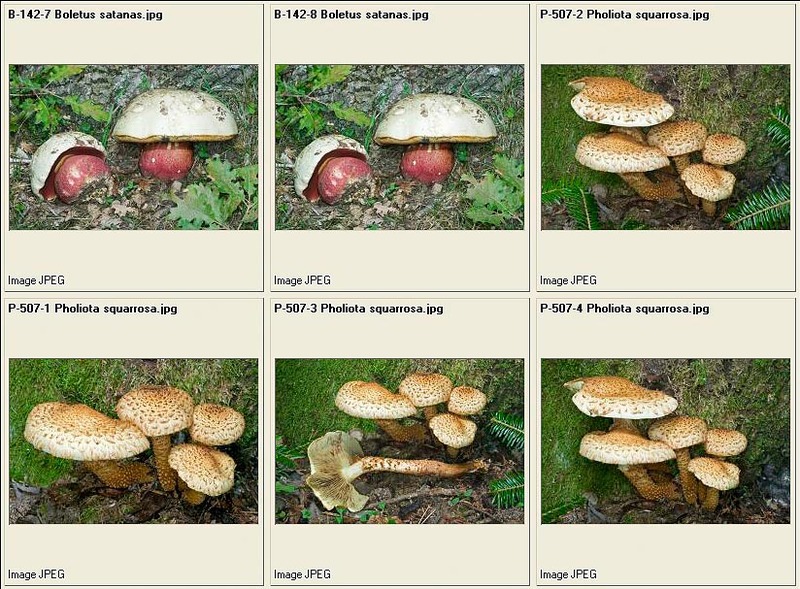 Pliny considers the bolete a noble fungus and treats it apart, whilst he places all the others together and says: “…other fungi have a more compact consistency. Innumerable genera of them do exist, but all have a common origin: the sap of the trees. 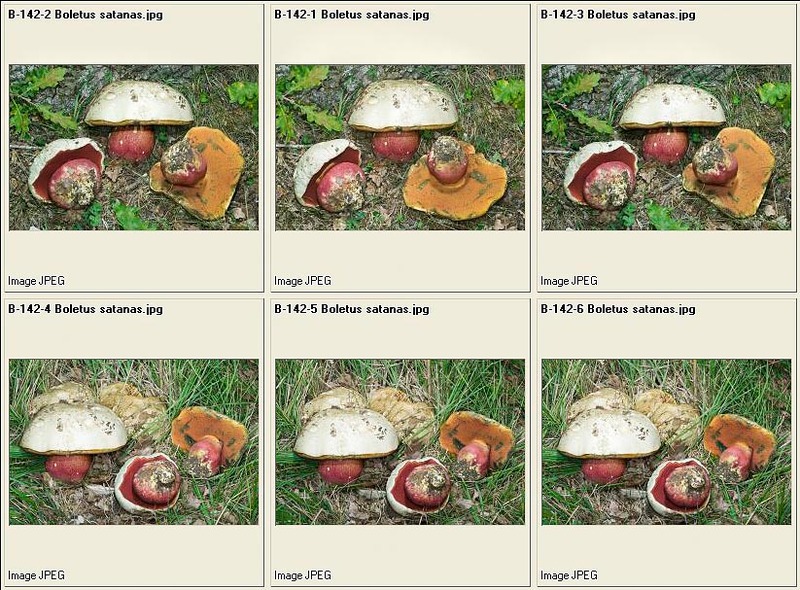 The darkest red boletes are by sure very edible…”. 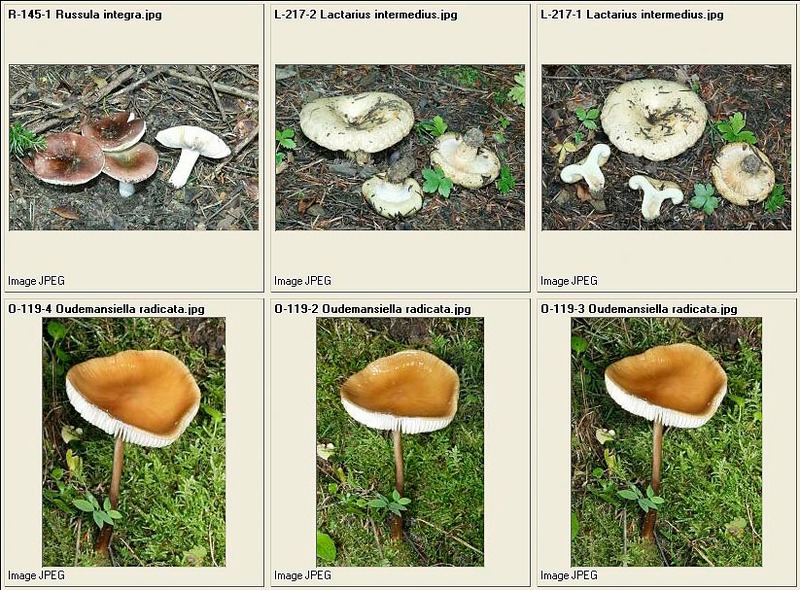 In this text he talks, most likely, of lignicolous fungi and surely, of the Fistulina epatica, which was considered as an excellent edible since very remote times. He says again: “…there are then white species, with a very developed stipeand a cap which looks like the hat of a Flamen…”. The Flamen was a priest of an old Roman religion who had a hat recalling a Macrolepiota procera with its cap not yet completely open. 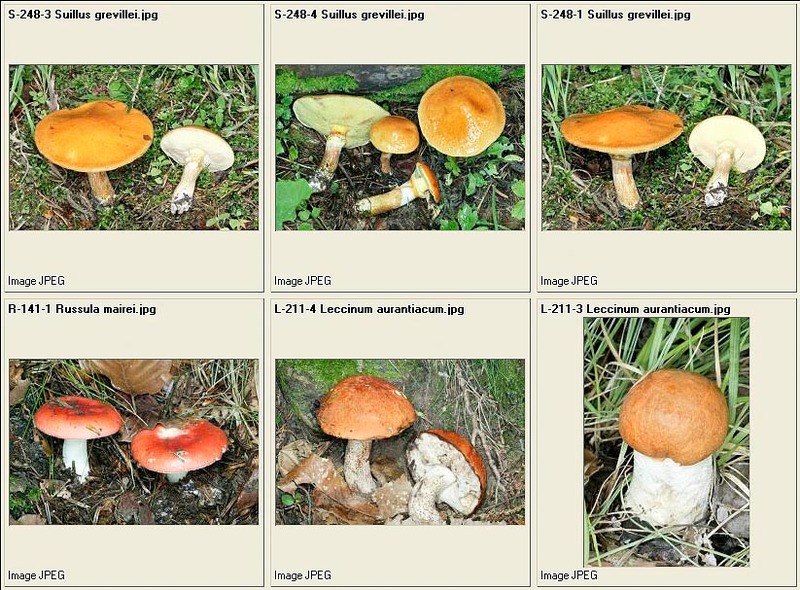 And: “…a third genus of fungi, the Suillus, is very prone to poison…”. 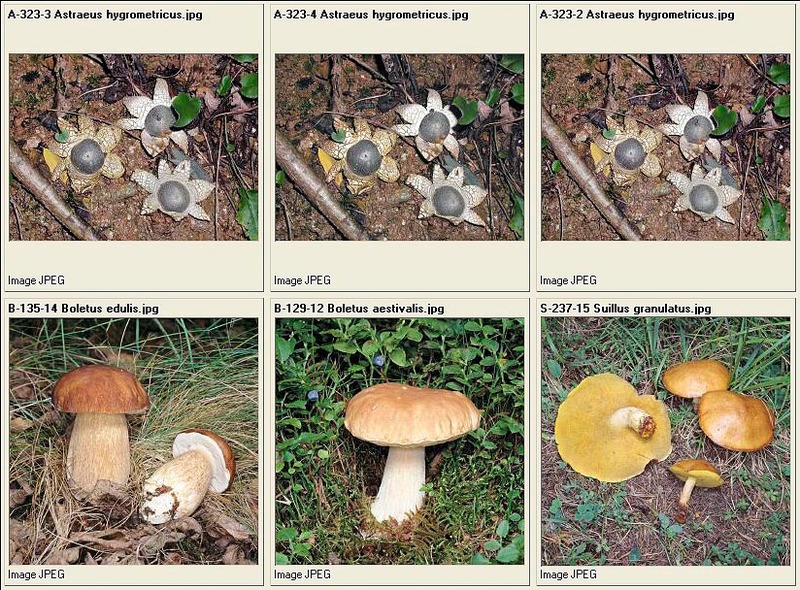 The Suillus were the present Boletaceae, and were considered poisonous due to the colour which becomes livid, that is bluish. 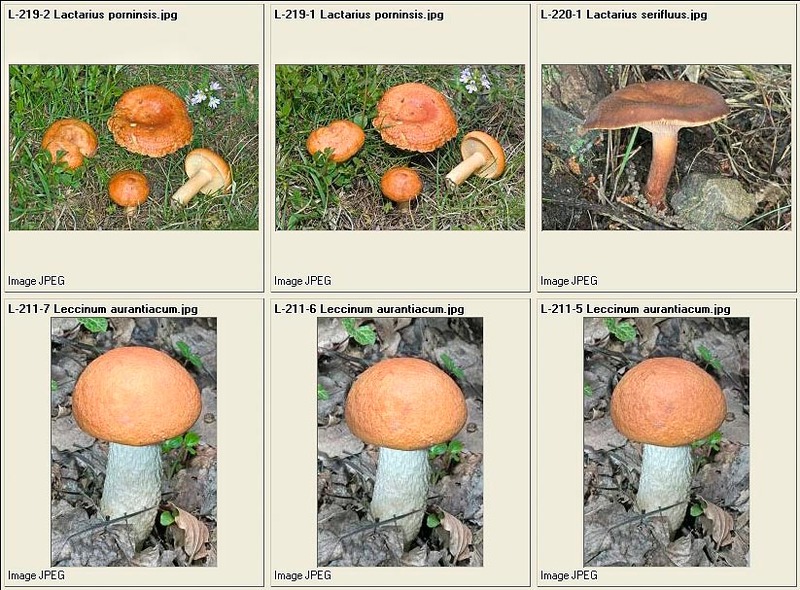 On the contrary, at the time of Pliny, the “Suillus” were a very commercialized item: they were imported from Asia Minor and were prepared strung together in a thin rush and placed to dry up close to the fire, system still used nowadays in some places in our country. 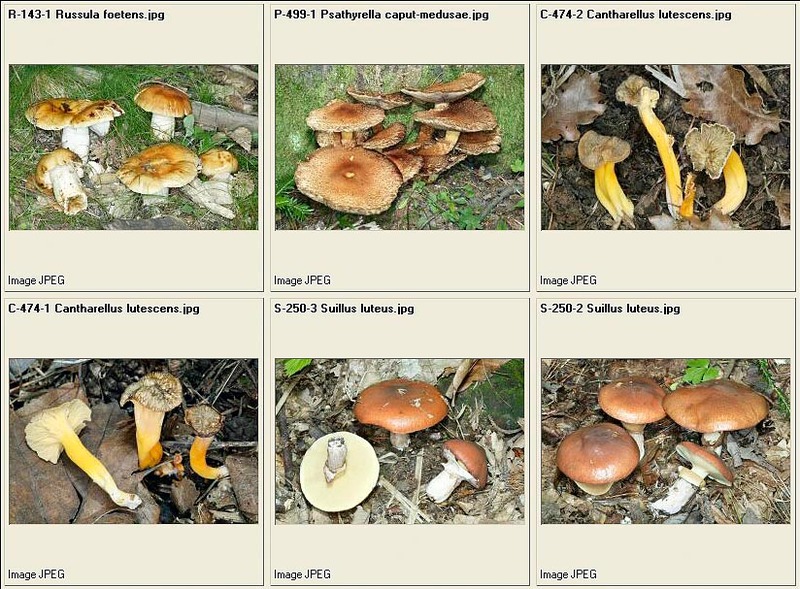 Furthermore, some Suillus were utilized by the physicians for treating piles, pimples, bites and also for preparing an eyewash. 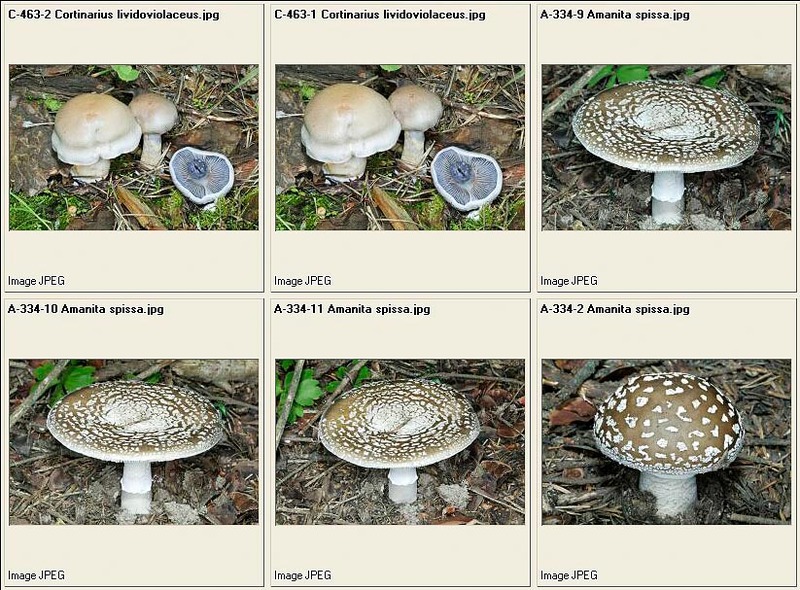 But the greatest danger, Pliny asserted, was coming from the toxic ceps which have exterminated entire families. Pliny, in his text, suggests: “…if somebody really wants to eat them, has to pay attention when purchasing them and to take good care when cooking them…”. 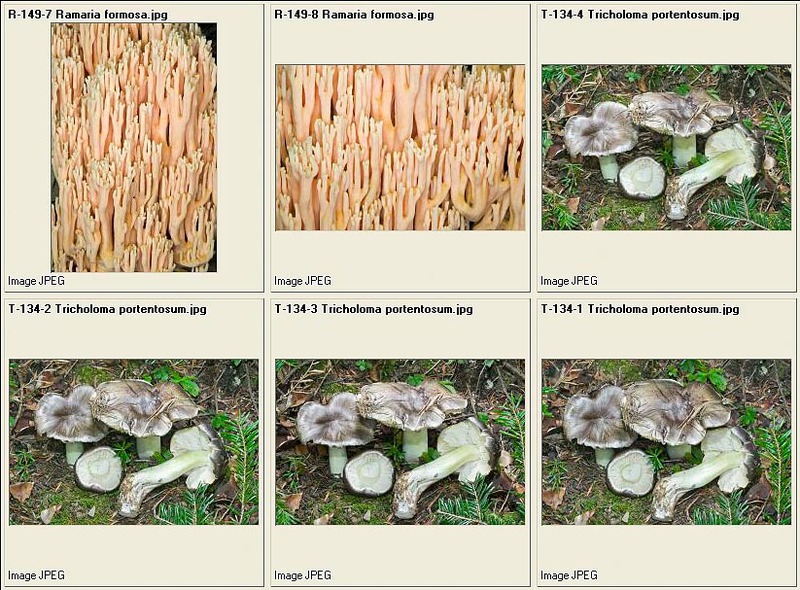 And he concludes: “…one must be suspicious for those fungi which harden while being cooked, they must be cooked for long time, placing also some saltpetre in the pan. They are to be cooked preferably together with meat (for diluting them) and with petioles of wild pears (otherwise, these last ones can be consumed at the end of the meal as antidote). 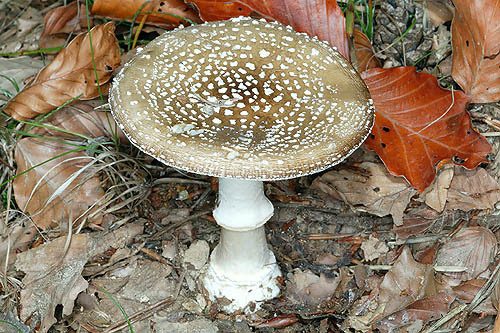 It is to be kept in mind that the vinegar, due to its nature, is contrary to poisons, and therefore it is always to be used without parsimony when fungi are eaten” (to note that this last suggestion, if followed for the preparation of the Coprinus atramentarius, can cause a serious poisoning like the coprine syndrome. With the fall of the Western Roman Empire and the consequent barbarization of the populations, due to the Nordic peoples invasions, we enter in what is called “Middle Age”. The classic and scientific culture goes in the hands of the clergy, mainly the Benedictine monks, which preserve the works, transcribe and translate them. 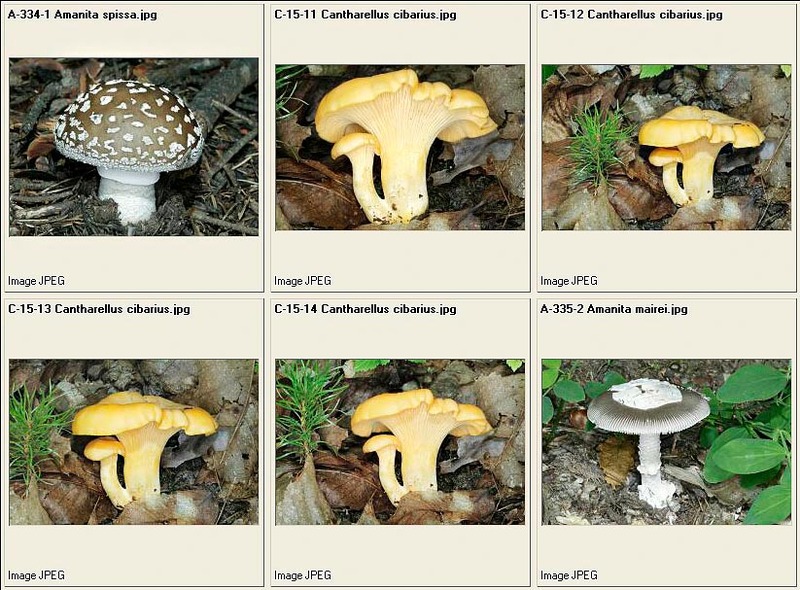 It is a time poor of information and very few are the scholars of fungi who have transmitted to us their works. It is, on the contrary, with the Renaissance that a new age takes place for botany, which is recognized as a new science, even if only as a complement to medicine. In this period, Dioscorides and Pliny are brushed up with translations, commentaries and new editions. ERMOLAO BARBARO (1454-1492), fond of Aristotle, Pliny and Dioscorides, translated and commented their works. PIER ANDREA MATTIOLI (1500-1577), born in Siena but of Trento adoption, has been a very famous physician. His main work is Commentari in Pedacii Dioscoridis Anarzabei de Materia medica, where is reported the translation from the Greek to the Latin of the original Dioscorides’ work. In each chapter is inserted, as an appendix, a long commentary, much longer than the chapter itself. It was a work of great value and in fact in two centuries it had 60 editions, in original, in Italian, French, German and in Czech. At that time, when the scientific community began to consider botany as a true discipline, even if connected to medicine, fungi were however marginally treated. Nevertheless, 1500 saw the birth of the first monographic texts. The first of them was published by a Dutch physician: JONGHE HADRIAN (1512-1575), who, in 1564, writes a dissertation about a new species which he named Phallus impudicus, under the title “Phalli ex fungorum genere in Hollandiae sabuletis passim crescentis, descripto et ad vivum expressa pictura”, where was described and illustrated with a xylographic table, a fungus, later on called in his honour Phallus hadriani, which was growing in the sandy soils of Holland. The booklet was reporting also the medicinal properties of the fungus, considered as therapeutic for gout and arthritic pains. PIER ANDREA CESALPINO (1525-1603), born in Arezzo in 1525, almost contemporary with Mattioli, very famous physician too. The Cesalpino has left a deep mark of himself in botany. In the medical field he was the first to discover and describe in modern terms the circulation of the blood and the blood capillaries, even if the merit of this was, unjustly, awarded, later on, to the English Harvey. Cesalpino was the personal physician to Pope Clement VIII, was pontifical archiater and professor of medicine at the Sapienza University of Rome, he was also physician and friend of St. Philip Neri and Torquato Tasso. His main work of botany was the text De Plantis in 16 books, where he effects a first attempt to catalogue the plants in a systematic manner, following definite criteria. For this reason, he is considered as the father of the Italian botany. 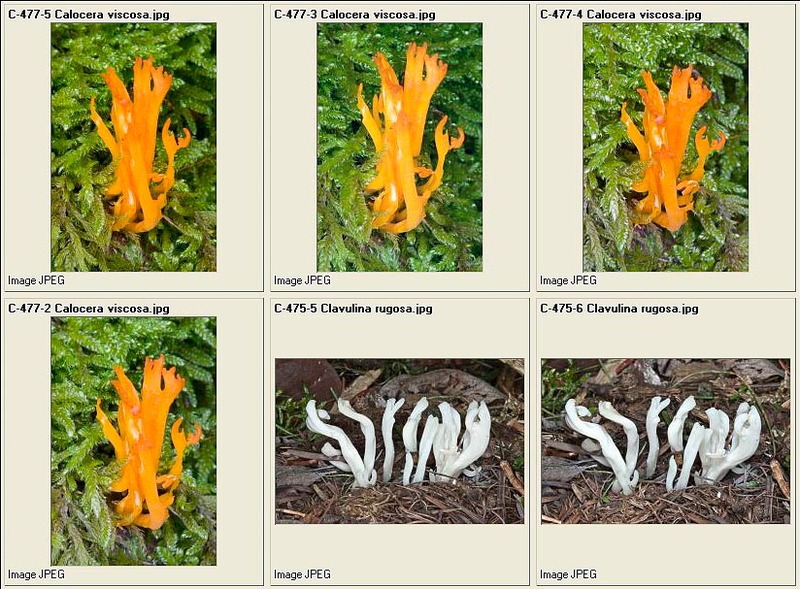 Cesalpino, as a botanist, obviously treats also about fungi, he is the first trying to do a thorough study on them, and he is the first who, besides the description of the various species, gives suggestions on how to cook the edible ones. 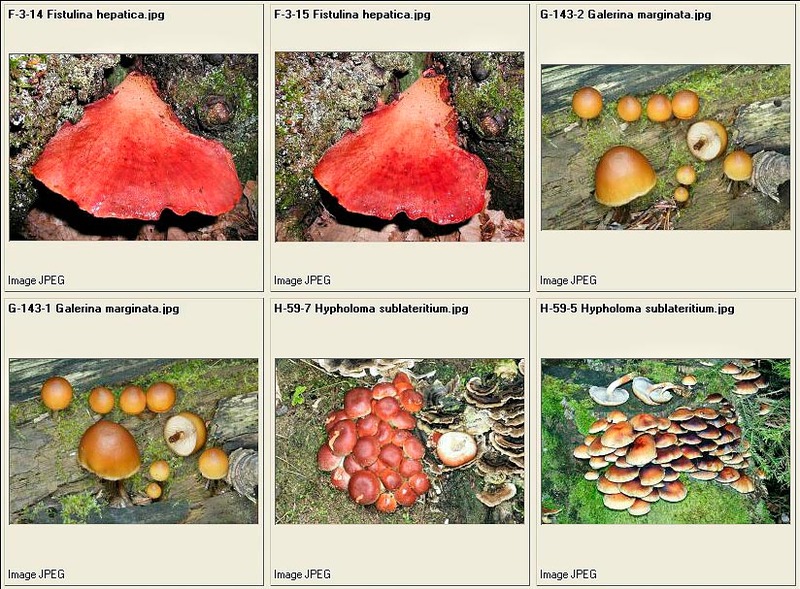 Until this time we can say that the knowledge of fungi had not done great progresses. The influence of the old beliefs was very heavy, the absence of suitable scientific instruments was leaving empty spaces which could not be filled up, mainly on the ways of their birth, it was thought that the fungi were pathologic forms of the roots or of the trees, or if even they had magic origins. 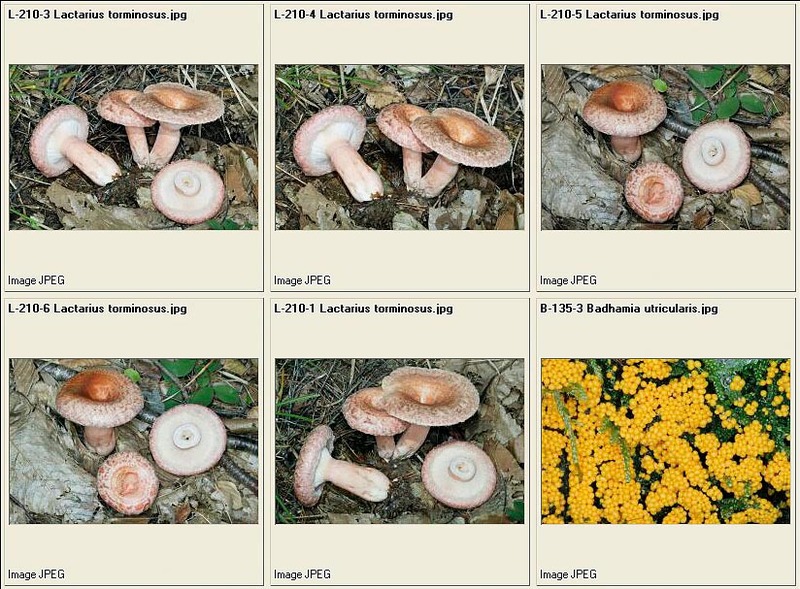 The progress of botany had been remarkable, much less the one concerning the fungi. 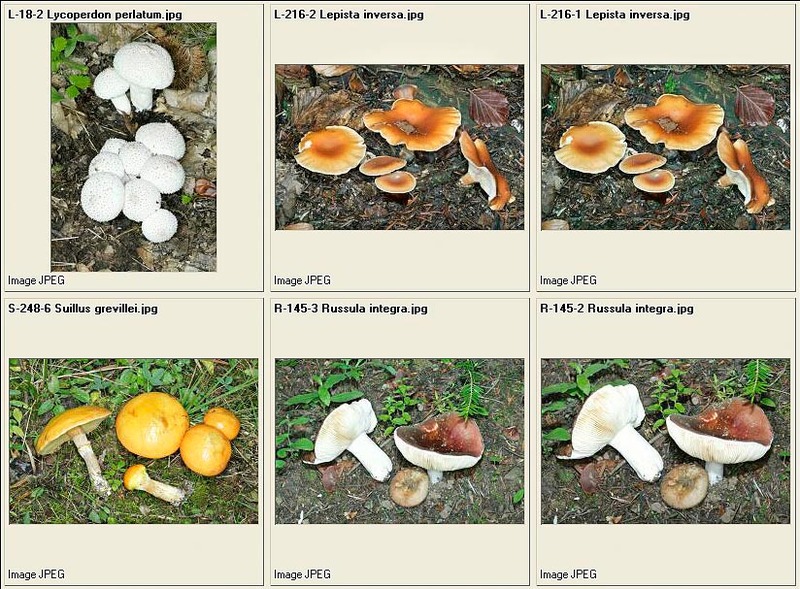 With the eighteenth century there have been several scientists which have been talking about fungi and have tried to give them a settlement in the world of botany, but it is with the arrival of PIETRO ANTONIO MICHELI (Florence 1679-1737), that the modern Mycology, as we know it today, comes to life. The passion for botany comes in Micheli from reading Mattioli, Bocconi and other scientists, while he was working as shop apprentice at a bookbinder. He becomes an internationally known botanist, even without any educational qualification, pushed only by a great passion, helped and educated by the Vallumbrosan monks, in particular, for what mycology is concerned, mainly by Father Bruno Tozzi, great botanist of the time, member of the Royal Society of London. “…on the edge of the gill … come out flowers without petals, naked, formed by a simple cylindrical filament; in some species these flowers are solitary, that is dissociated, whilst in other species they are united in masses or flocks. On the surface of the gill come out everywhere round or roundish seeds, very small, in some species dispersed singularly, in other ones united four by four”. 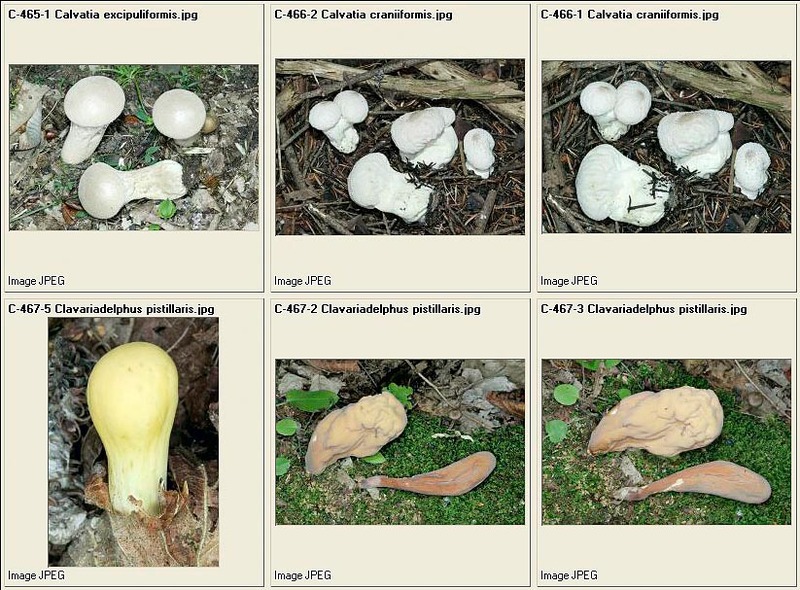 “…in some species of fungi, and particularly in those which come out on the horse, bovine and similar, dung, we have noted something worthy of consideration: that is, that on the sides of the gills there are not only the seeds, but also some diaphanous bodies, at times conic, at times pyramidal, and it seems that they have been rightly placed here by nature in order to avoid that the gills touch the adjacent ones and hinder, keeping them, the fall of the ripe seeds…”. 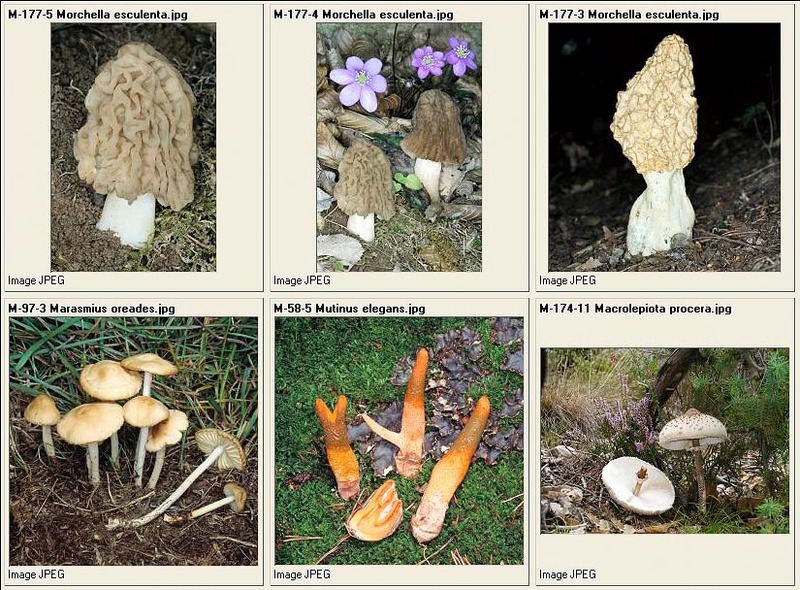 The history of this fascinating subject enriches remarkably in the ‘800 and ‘900, also thanks to new methodologies and new instruments, but we stop here, because it would be too long to tell all the history of mycology after Micheli. 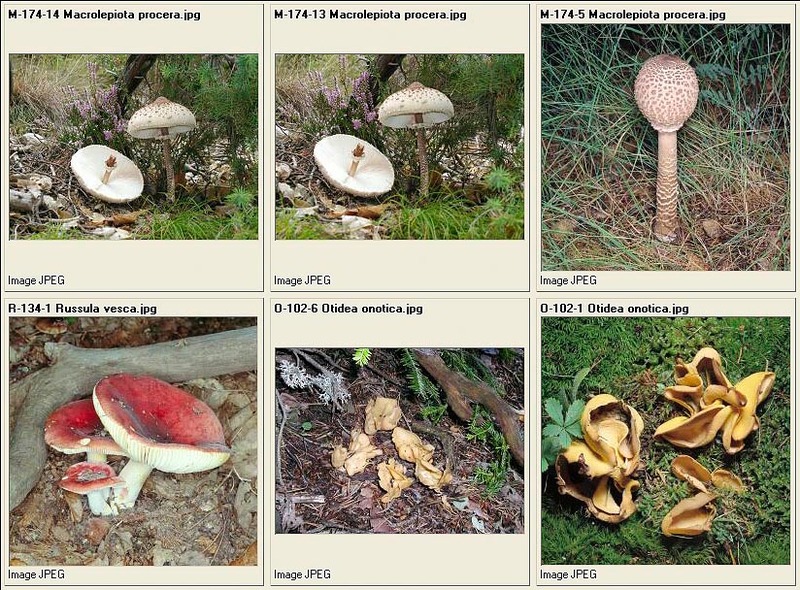 As a matter of fact, from the eighteenth century onwards, we have had great botanists, systematists and mycologists, from Linnaues to Fries to Persoon and many others more, to get to Don Giacomo Bresadola, the greatest mycologist of the end of the nineteenth century and beginning of the twentieth, who, without ever moving from Trento, has studied the fungi of all over the world thanks to the relationships he kept with the greatest scientists of the world. Nevertheless, few lines more are to be spent for the great Carl von Linné, born on May 23rd 1707 in Rashult, in the Smaland province, in Sweden and passed away in Uppsala on January, 1778, better known as Linnaeus. In his most important work “Systema naturae” (1735), he illustrates for the first time his method of taxonomic classification of the animal, vegetal and mineral kingdoms. In 1753, with the work “Species Plantarum”, he introduces the binomial nomenclature where every animal, plant and mineral is stated with two Latin names: the first indicates the genus, whilst the second shows the species. The revolution generated by Linnaeus system provoked the organization, in 1867, in Paris, of the first Botany International Congress where were adopted the “Laws of botanic nomenclature”. It is during the second Botany International Congress, held in Vienna in 1905, that the “International Rules of Botanic Nomenclature” (the first code), are adopted. Since then, about every 5 year, world-wide Congresses are held for effecting possible modifications, the last one was held in Vienna in 2005 and in 2006 the most recent International Code of Botanic Nomenclature (Vienna Code) was published. 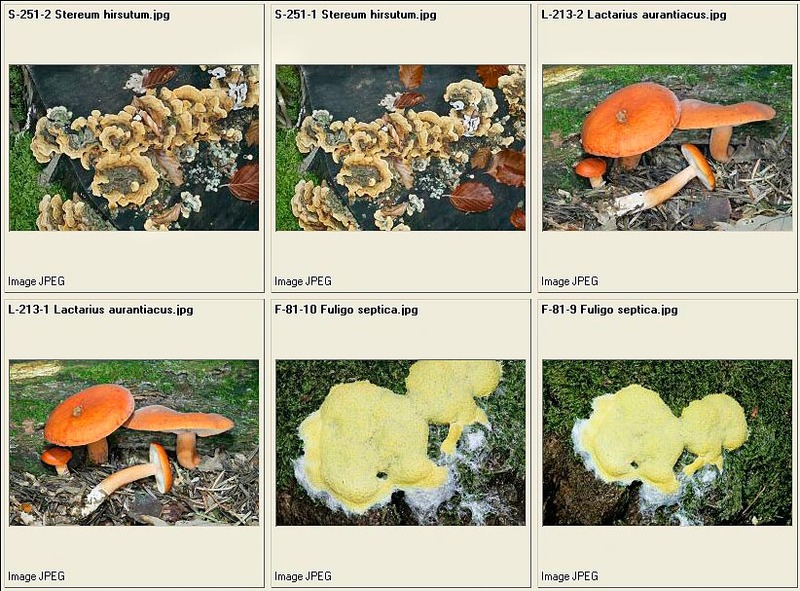 The fungus is a living organism formed by cells united and inter communicating, in a constant structure, diversified in function of their biologic purpose. 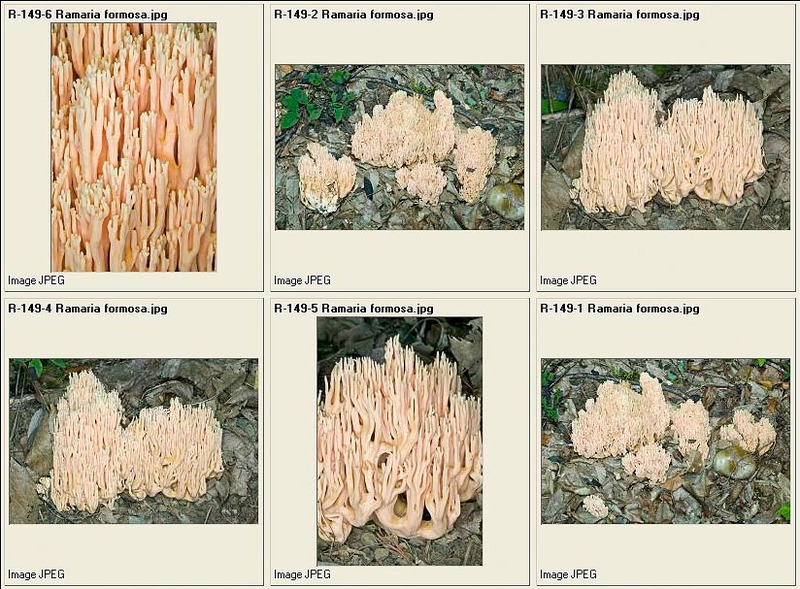 The real organism fungus is formed by a whole of filaments (called hyphae) which ramify inside the substratum, often for several metres. 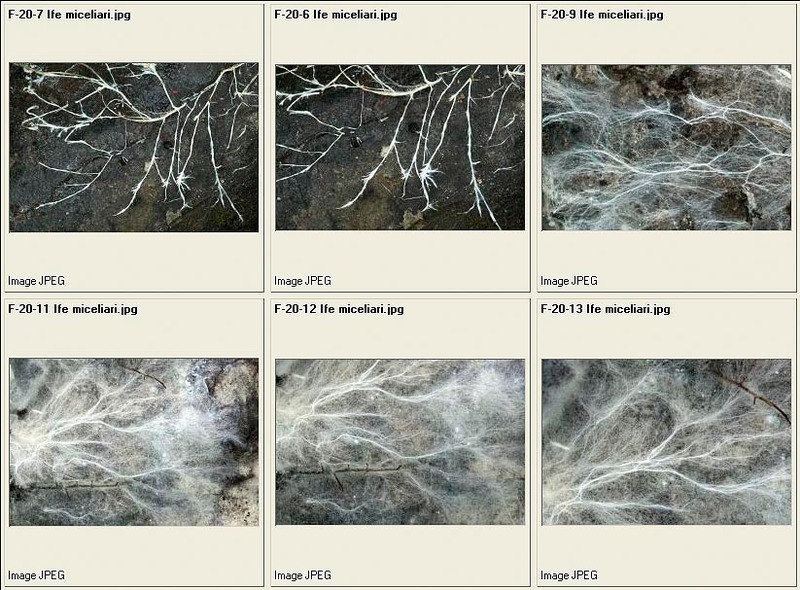 The whole of these hyphae is called “mycelium”. Singly, the hyphae cannot be seen with the naked eye, but they interlace to form myceliar agglomerations: “mycelial cords”, or “sclerotia”. The hyphae stretch out in the ground by means of the subdivision of the apical cell or of intermediate cells which originate lateral ramifications. 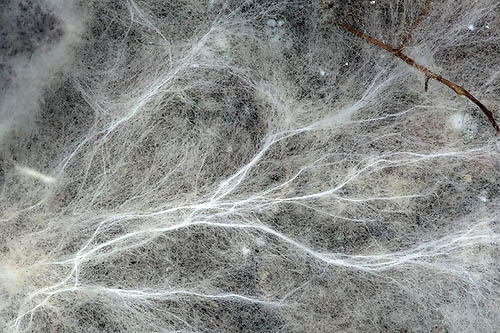 In this way, the mycelium increases its own surface and its capacity to absorb nourishing substances. 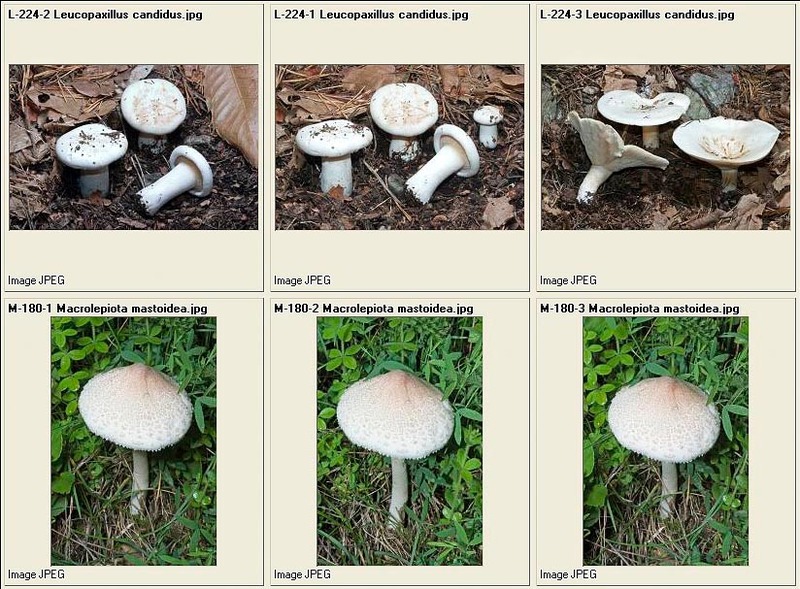 The commonly called mushroom, the one which is collected, is nothing else than the fruit produced by the mycelium when the conditions of humidity and temperature are favourable. The fruit is called, more rightly, “carpophore” or “sporophore”. 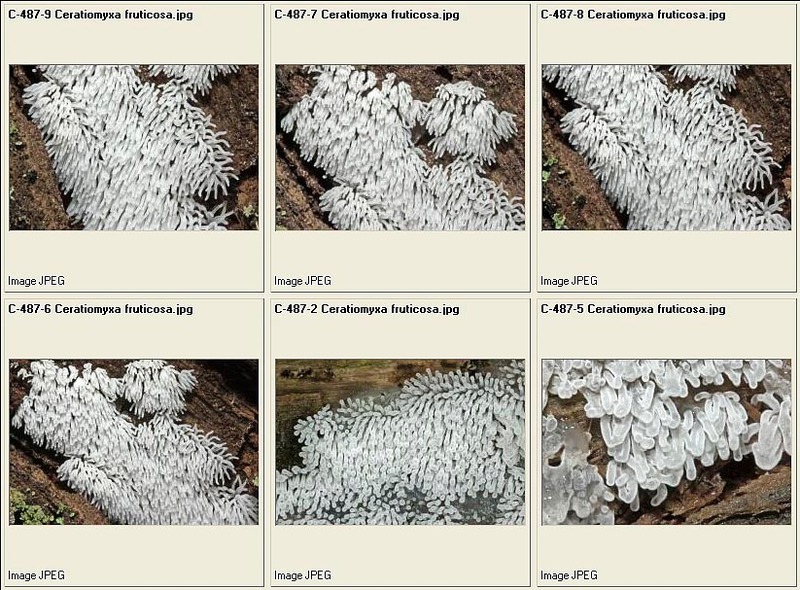 Also this is formed by masses of hyphae. Like all other fruits, its function is to ensure the reproduction, which we shall see in detail later on. 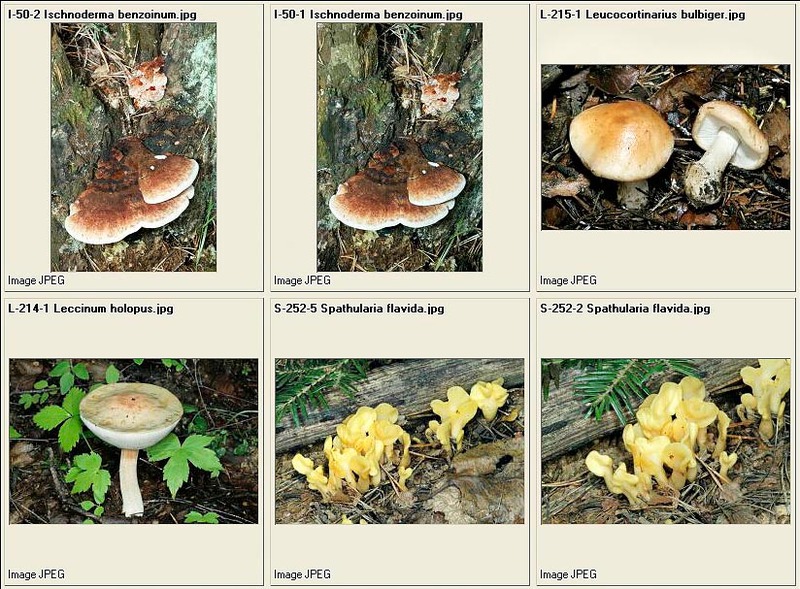 cohabitation with arboreal or shrubby, or lawny, essences: in short, whatever is the conformation of the habitat, there will be one or more fungal species suitable for colonizing it. 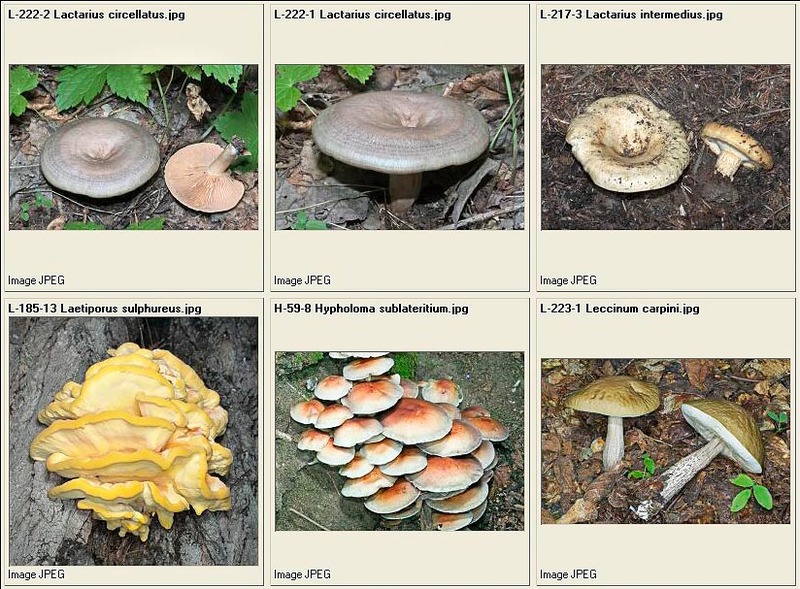 Furthermore, there are fungal species, which we shall call “ubiquitous”, which can colonize different habitats. The habitat, for what it is concerned, influences the growth and the appearance of the carpophores: the same species can have different dimensions and morphological characters depending on the altitude, the greater or lesser humidity, the greater or lesser exposure to the rays of the sun. 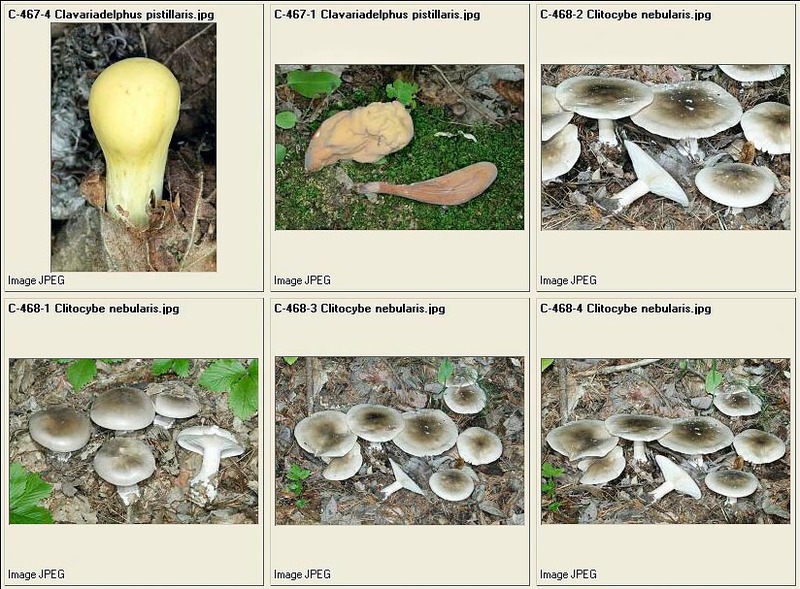 The conditions of growth of the organism fungus depend strongly upon the habitat conditions: when humidity and temperature are favourable, the mycelium produces the carpophores, which develop and produce the spores, which, in turn, when falling on the soil, will begin a new vital cycle. They vary from zone to zone: the time of fungal growth will be shorter where the climate is more rigorous and the winter season longer, almost non-existent, in the permanently arid regions, almost continuous in the temperate climate regions. As stated, the mycelium, in suitable humidity and temperature climatic conditions, fructifies, generating the carpophores. For reproducing, by means of specialized cells, they produce millions of seeds, called “spores”, which, spread over the surrounding areas with the help of external factors, such as wind, rain, or animal vectors, even over great distance, giving origin to a new vital cycle. 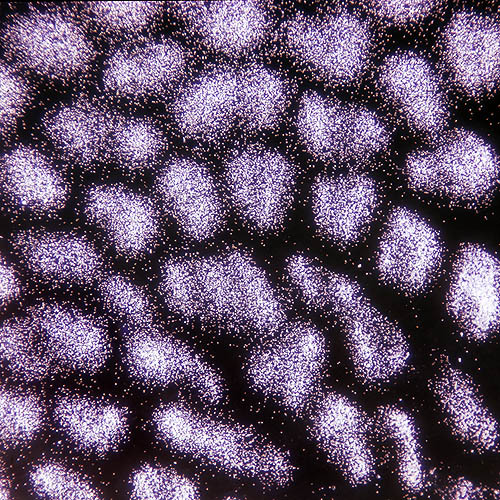 The spores are very small cells, invisible to the naked eye, which can be, therefore, observed only with a microscope. 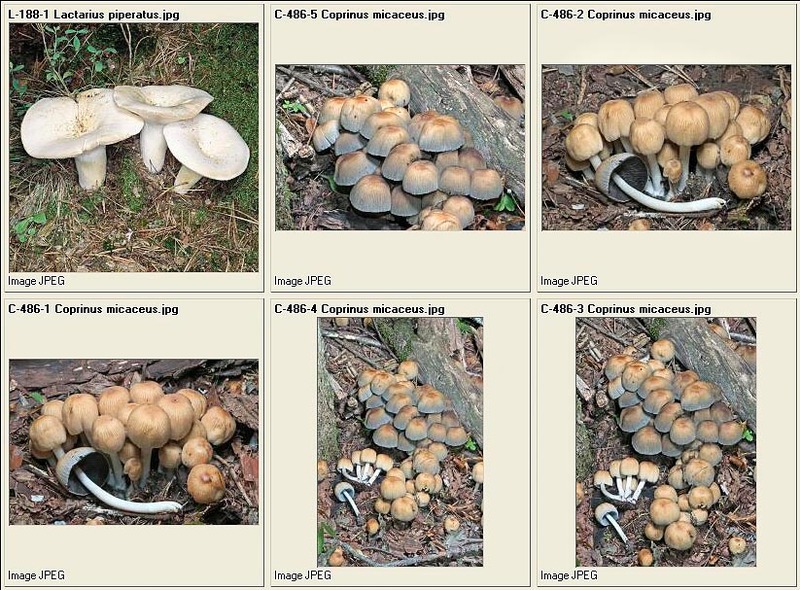 The unit of length of the spores is the micron (µm), which corresponds to a thousandth of one millimetre. 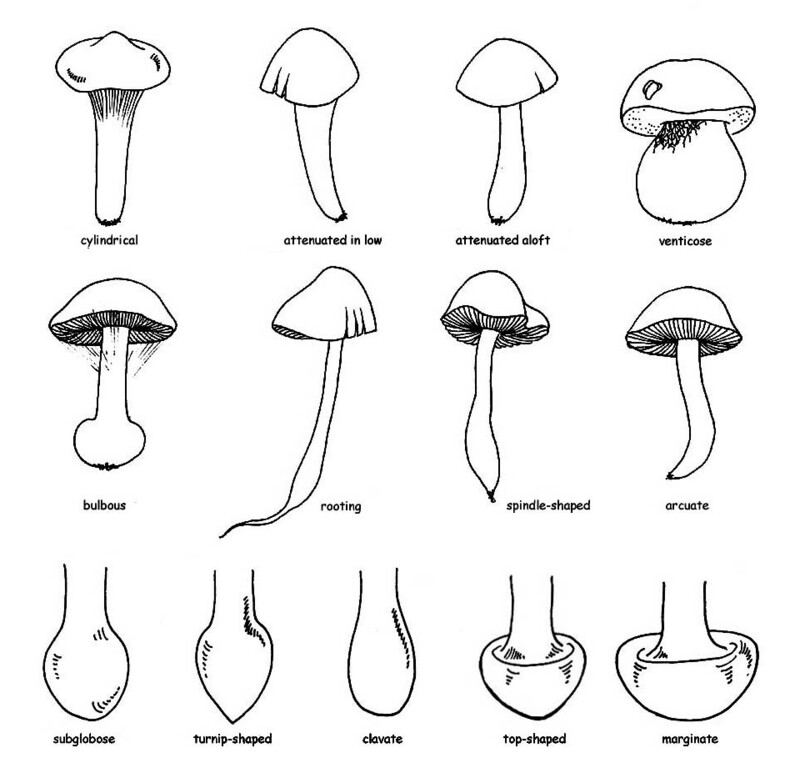 The spores are sexual (at least in the superior fungi, whose we are talking of), not in the common sense of the term (masculine or feminine), but for the different charge they hold: positive (+), or negative (-). 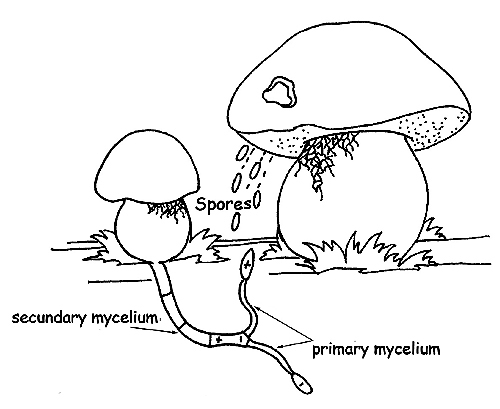 When a spore finds a substratum suitable for reproduction in favourable conditions, it germinates, originating a filament with the same charge as the original spore (hypha), which can develop and grow up (primary mycelium), but cannot fructify. In order fo the primary mycelium to do so, it must combine with another primary mycelium of the same species, but of opposite sign. 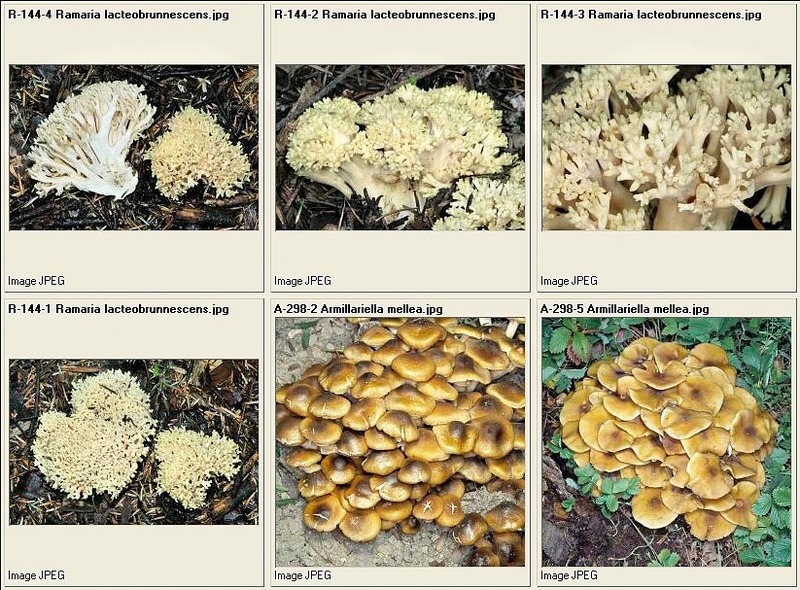 The fusion of the two mycelia, negative and positive, is called secondary mycelium, the real organism “fungus”. 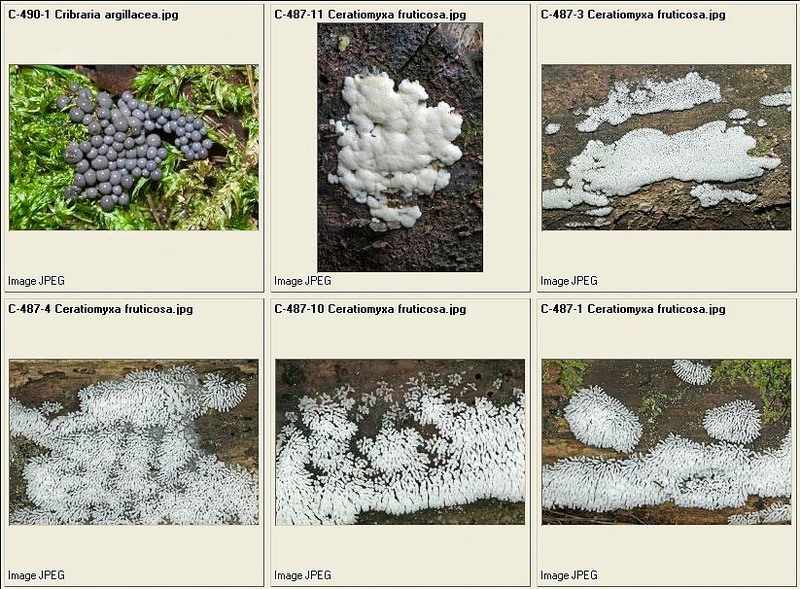 However, the possibility that a new fungal colony forms from the primary mycelium is very rare and this is the reason why every fruiting body releases in the habitat millions and millions of spores. PRODUCERS or AUTOTROPHS : living organisms capable to nourish in an autonomous way synthesizing the substances they need starting from the inorganic compounds present in nature: the plants utilize the sun light to produce complex compounds (such as the sugars) from simple compounds such as carbon dioxide and water, through the process of the Photosynthesis. CONSUMERS or HETEROTROPHS : living organisms which get the substances necessary for their survival from the producers or other consumers. They can be subdivided in four groups: Herbivores: they eat plants; Carnivores: they eat other consumers; Omnivores: they nourish either from vegetable substances or from other consumers; Decomposers: they nourish from dead organisms, or living ones, transforming the complex organic substances in simple ones, such as carbon dioxide and water. The superior plants, being capable to self nourish, transforming the inorganic substances (water and carbon dioxide) in complex compounds, through the process of the photosynthesis, belong to the group of the Autotroph organisms. 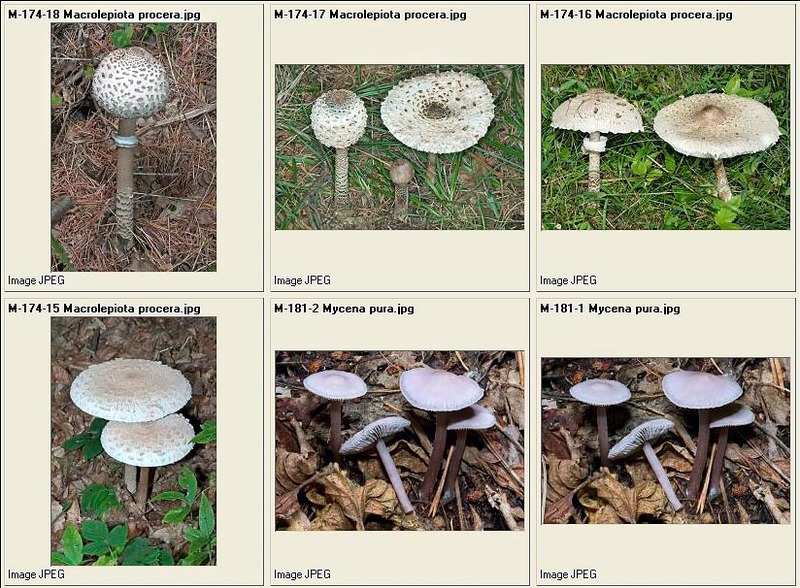 The Fungi, once classified between the vegetals, belong now to a distinct Kingdom: the Kingdom Fungi, as they cannot carry out the chlorophyll function. 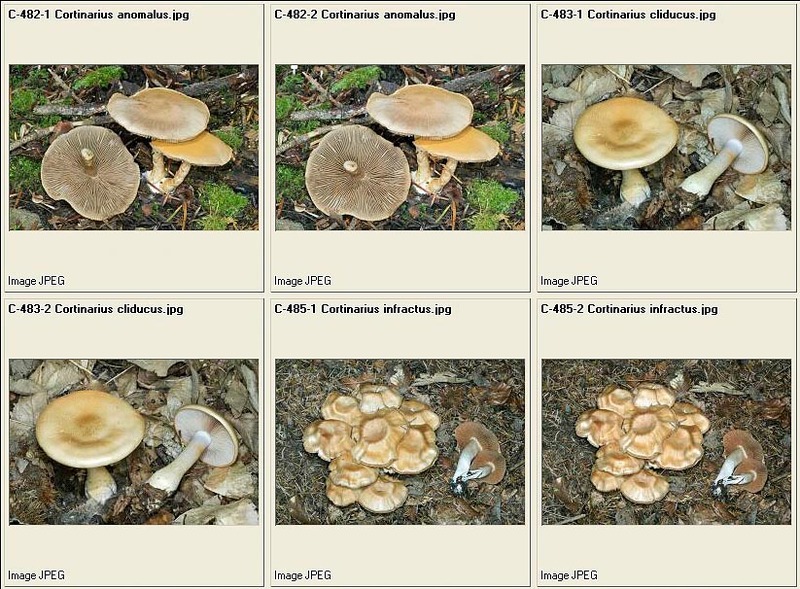 They are to be placed, therefore, between the Heterotroph organisms and, between these ones, in the Decomposers. 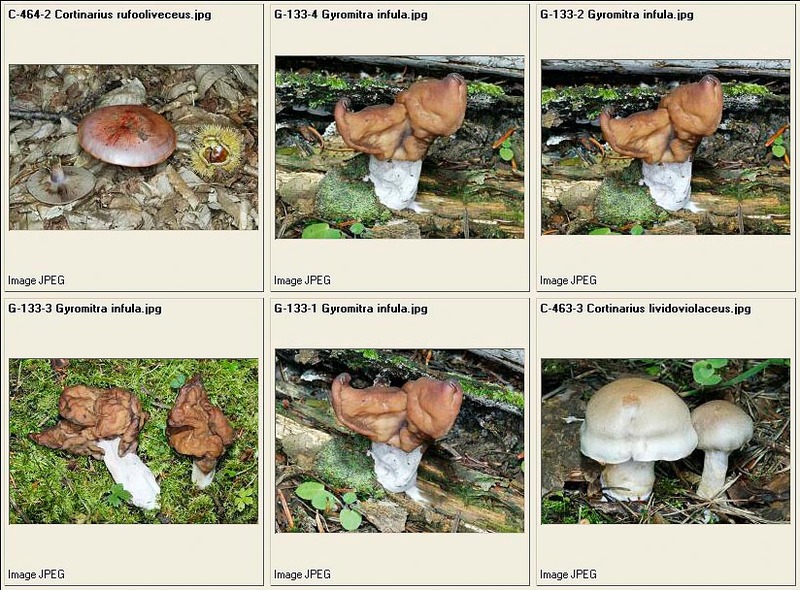 Saprophytes: they nourish of decaying organic substances, both vegetable and animal. They realize a first phase of disgregation and prepare the ground to the bacteria which will complete the cycle, in such a way that all the organic residuals are transformed again in inorganic substances: water, carbon dioxide and mineral salts. To this group belong the fungi which come out in the lawns and pasturages, dry leaves and branches or dead animal organisms. We can consider the saprophytes as the ecological operators of nature: without them, the vegetal and animal debris would choke the habitat. Parasites: they live at other living beings expense, both vegetable and animal. If, on one hand, the parasitic fungi represent a real danger for plants and animals, because they cause serious pathologies which can cause their death, on the other hand they act as a regulator element, as they kill the weaker or sicker plants, thus helping the growth of the healthy ones. 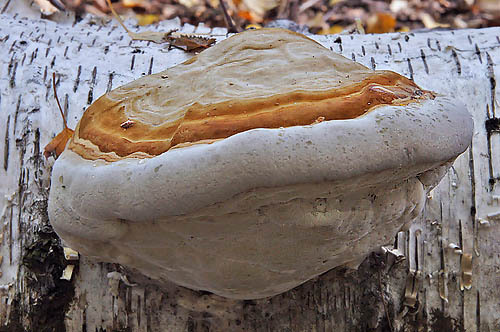 Once the host organism has passed away, whatever vegetal or animal, the parasitic fungus transforms itself in saprophyte, thus completing the demolition of the dead organic substance. Mycorrhizal or symbiont: these are fungi which live in symbiosis with the superior plants, establishing a mutual advantage relation. The apical parts of the mycelium wrap the terminal part of the rooting hair of the superior plants, increasing their absorbing surface. In this way, the plant disposes of a greater quantity of inorganic substances, which it will transform, thanks to the photosynthesis, in organic compounds which are at the fungus disposal. Furthermore, the “mycorrhiza” (formed by the radical hair wrapped by the fungal hyphae) protects the roots of the plant from the pathogenic attacks, making it stronger and improving its health. 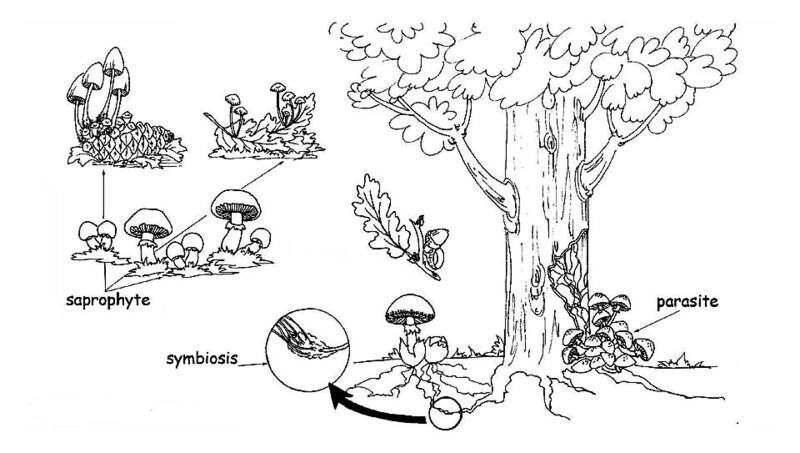 The mycorrhizas can be: Endomycorrhizas, when the fungal hyphae penetrate the intercellular spaces and the vegetal cells. The fungus expands through the cortical cells, still without damaging the central cylinder and the apical cells of the root; Ectomycorrhizas: when the fungal hyphae surround the root penetrating the intercellular spaces but not the interior of the vegetal cells. The interlacement of hyphae around the radical cells is called Hartig net. 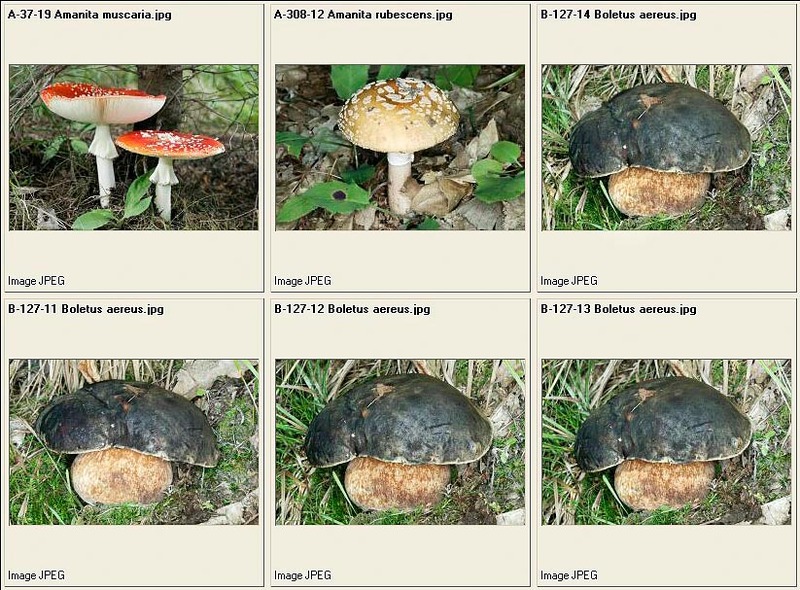 In order that a surname and name can be correctly assigned to a mushroom (genus, species), we have to observe all its characters. 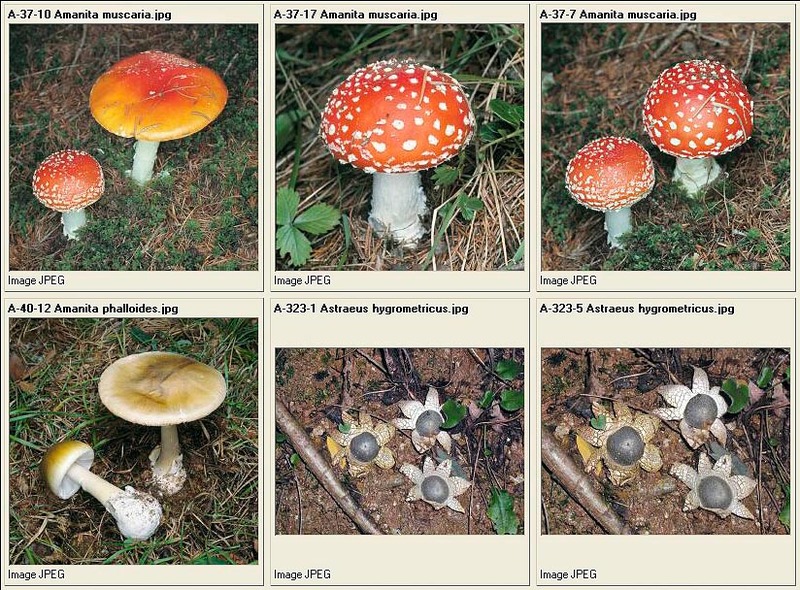 Agaricales: these are all those mushrooms composed by cap and stipe. 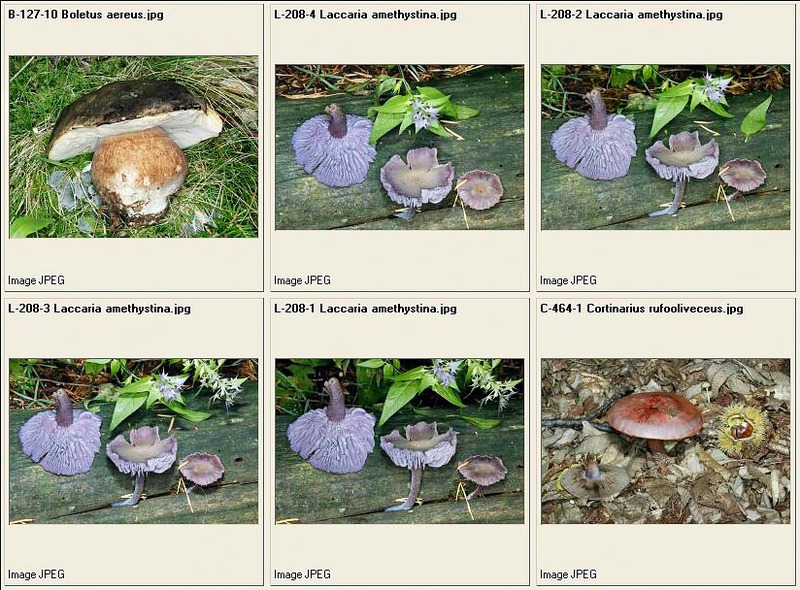 Ascomycetes: at times they appear with a pseudo-stipe and a pseudo-cap, or cup-shaped, sessile or not, or tuberiform and in this case, hypogeal or semi-hypogeal. 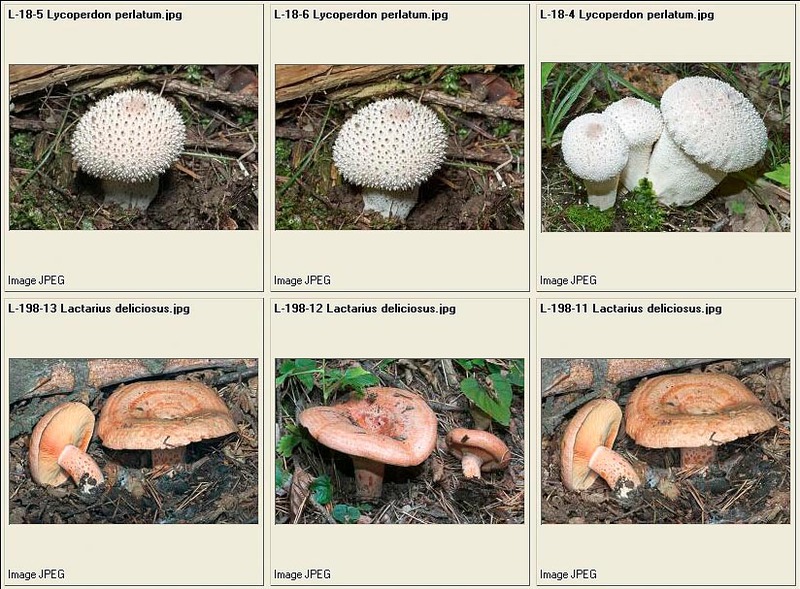 Gasteromycetes: in a more or less round shape, with, or without, pseudo-stipe, hypogeal or epigeal. 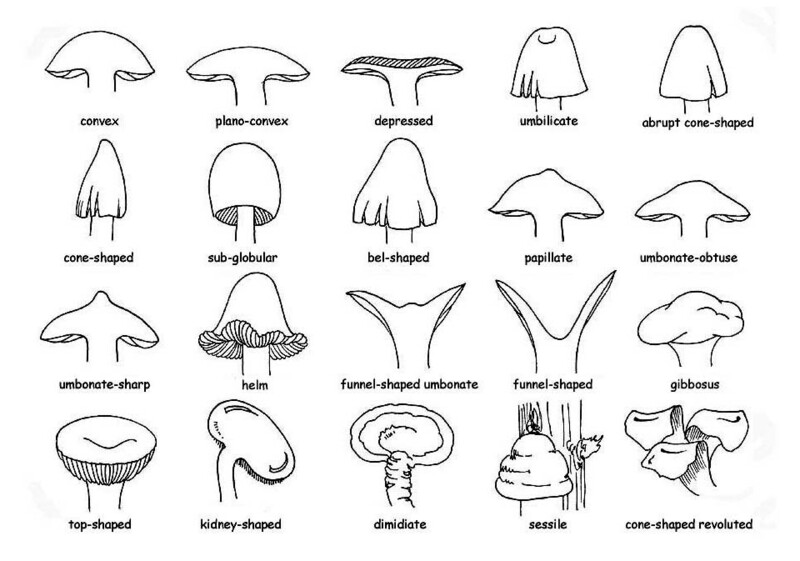 Let us now examine the morphological characters which are to be observed in the fungi composed by cap and stipe: the differences, at times, are very small and only an accurate observation allows their precise determination. The carpophore is formed by an interlacement of strictly united hyphae and disposed mostly in a parallel way. 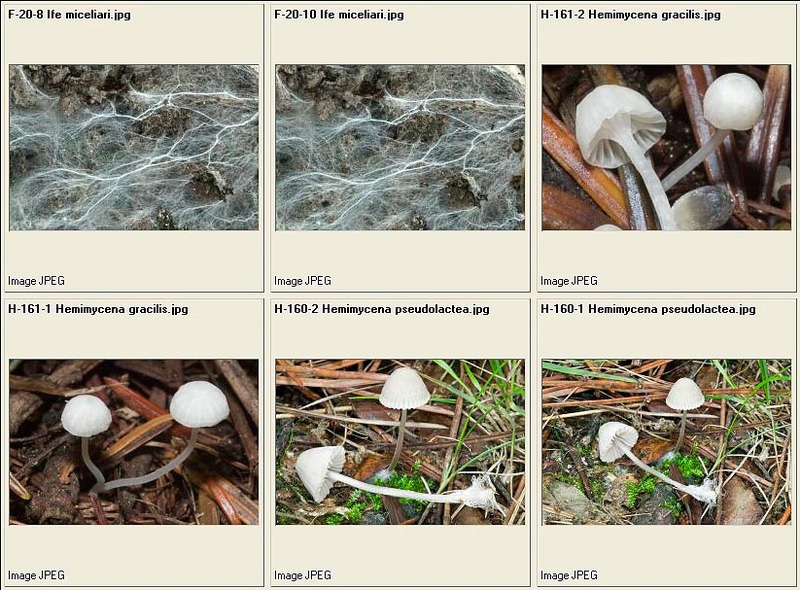 If these hyphae have the same structure, both in the cap and in the stipe, we shall have an homogenous fungus. This characteristic is easily verifiable: if, when trying to separate the cap from the stipe, we cause the breaking of the flesh. 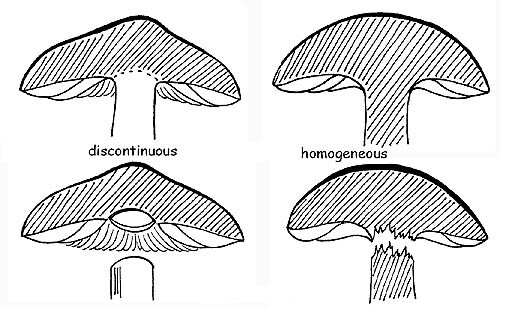 On the contrary, if the hyphae have different structures in the cap and the stipe, we shall have an heterogeneous fungus, and therefore the separation of these two parts will happen without breakage, just like if the two parts were simply placed one over the other. dimensions, corresponding to its diameter measured upon complete development. shape, which varies remarkably between the juvenile and mature stages. 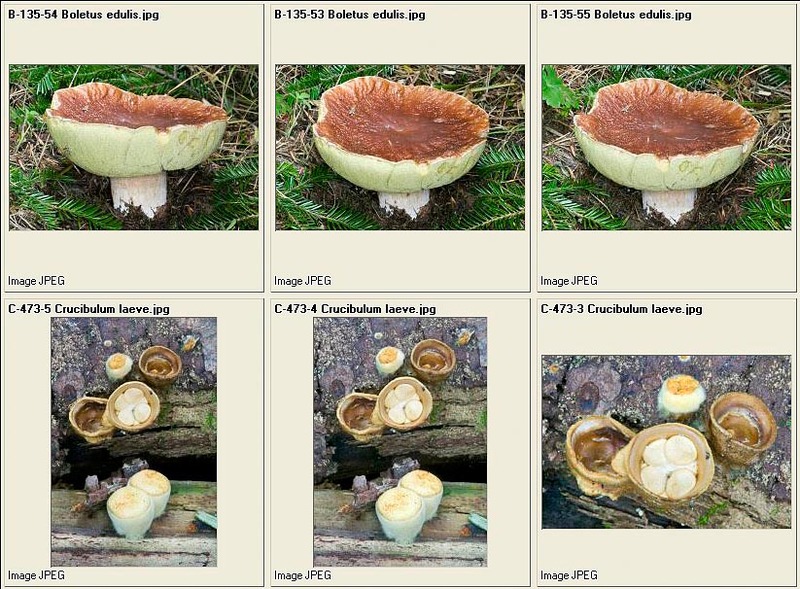 Normally, the adult specimen are considered, but it would be better to observe more specimen, at different phases of growth. 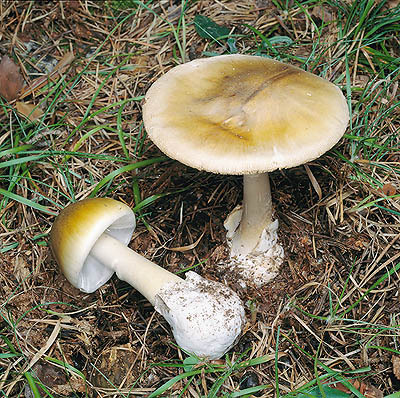 Usually, in the young specimen, the cap is more closed, for opening later on and flattening, till reaching, when adult, the typical form. margin, always important, even determinant in some species, is to be carefully examined with reference to the horizontal plane of the cap. 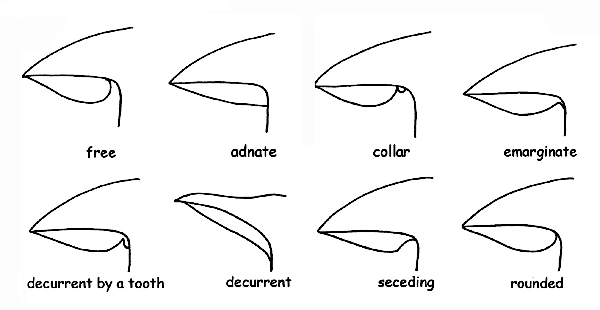 It can be straight and therefore on the same level, involute, rounded inwards, revolved, rounded outwards; curved, bent downwards. The outline of the margin can be: regular, undulated, lobate, festooned, wound or pleated, whole or striated; it is also considered as exceeding when it projects, even if not much, beyond the hymenium (gills, tubes, etc.). 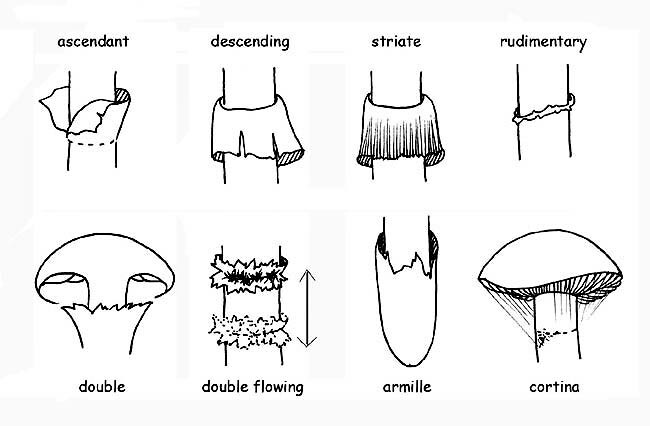 cuticle of the cap, can have different appearances: smooth, viscid or viscous, downy, hairy, velvety or rugged. We observe, moreover, if it can be separated from the flesh of the cap: the cuticle which cannot do so, is rightly called adnate or not separable. If, on the contrary, it fully comes out, it is called separable. If it separates only partly, we shall say that it is partly separable and we shall observe the portion of radius of the cap which is uncovered (1/2, 1/3, etc.). Adnate or applied, that is, coming from dissociations of the pellicle, such as chaps and scales, or residuals of the general veil, like warts, scales, powders, hairiness. 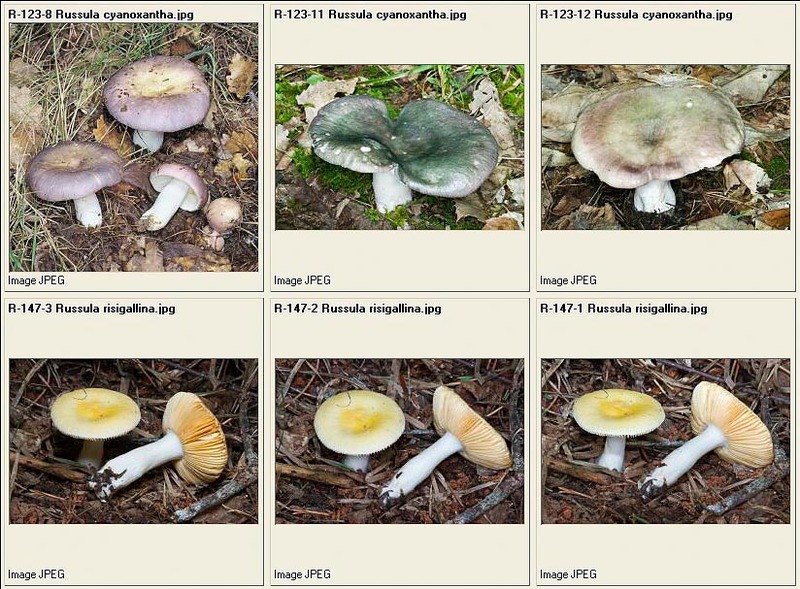 colour, is important but not absolute, as most fungi present a remarkable chromatic variability depending on the climate conditions, the age, the exposure. To describe a colour, we shall refer to commonly known colours and associated to daily objects (brick-red, olive-green, etc). 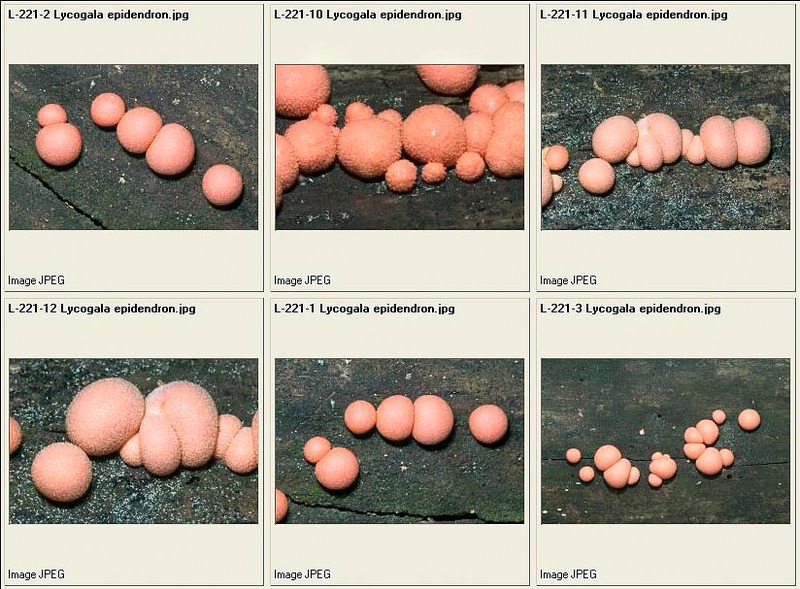 The hymenophore is the whole of the macroscopic and microscopic structures charged of the production of the spores. It has an essential importance, not only in the biologic point of view, but also on the determination one. 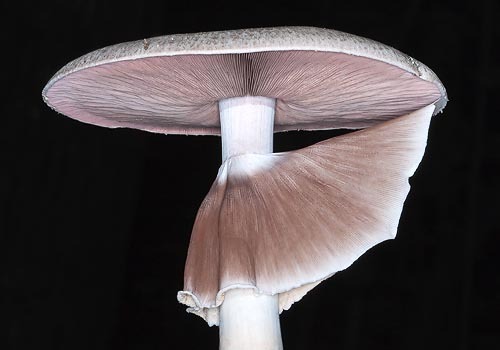 In the fungi with stipe and cap, it is usually placed in the inferior side of the cap and can be formed by gills, tubes, pores, aculei; in some genera it is almost smooth or just rugged. 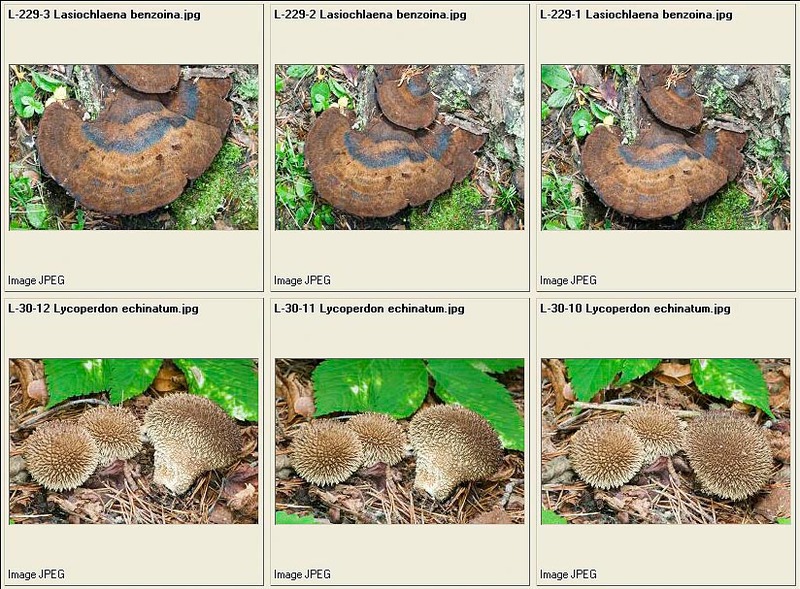 Exposed to the air in most cases, the hymenium is, on the contrary, protected and enclosed in the carpophore in the fungi belonging to the Gastromycetidae (the spores will be freed, when the carpophore is ripe, by breakage of the peridium) and, among the ascomycetes, to the Tuberales . 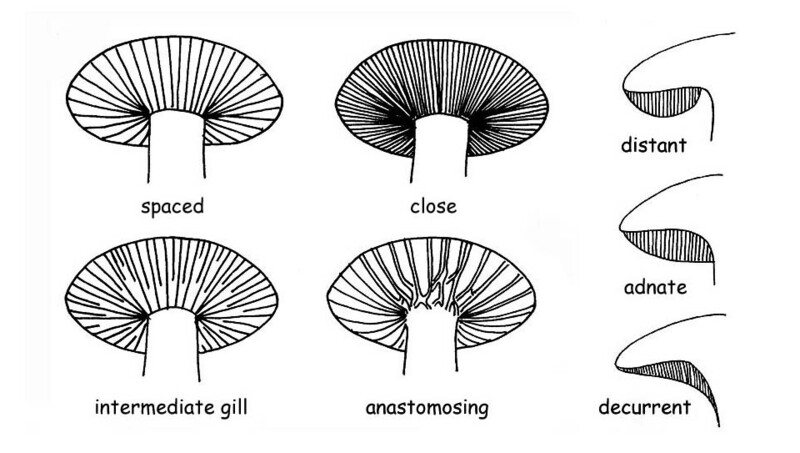 The gills: the first character to observe is the colour of the gills, which can be: innate, that is the visible colour is really the one of the gill; derived, that is, the colour of the gill comes from the coloration of the spores. 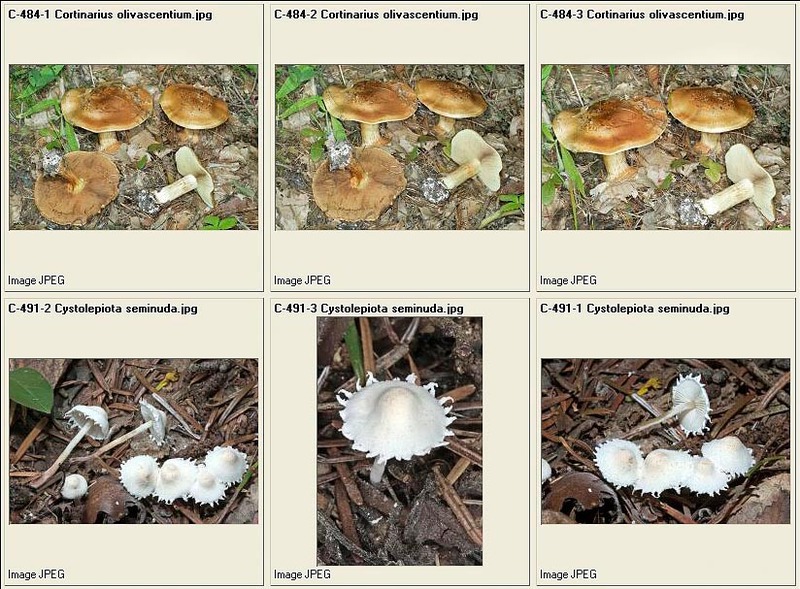 This is a character of enormous importance, as the belonging to a chromo-spore group determines the assignation of a fungus to a group of genera or to another. 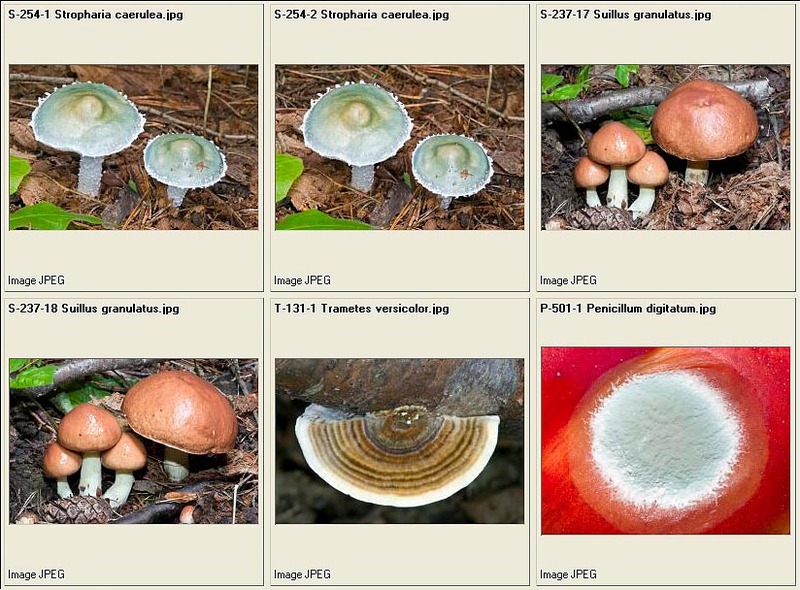 The chromo spore groups are five: leucospores, that is with white or whitish spore-print; ochrospores, that is with ochre spore-print; rhodospores, that is with red spore-print; iantinospores, that is with violet spore-print; melanospores, that is with black spore-print. The colour of the spore-print can be ascertained through the collection of the spore powder on a support of contrasting colour. Then, we shall observe the homogeneity of the gills. 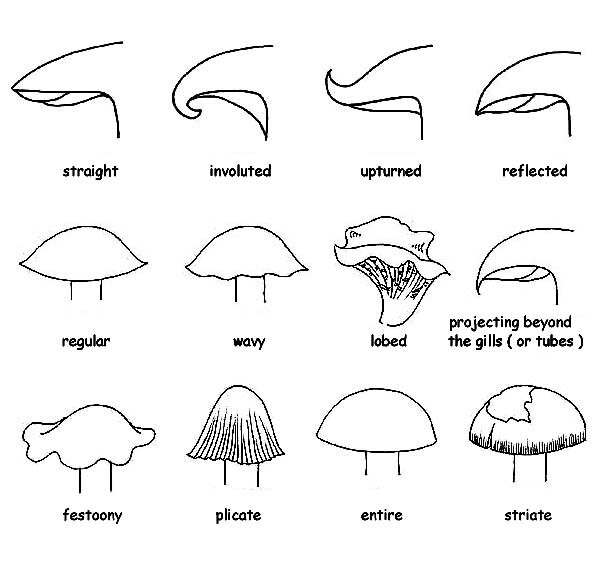 Similarly to what already said for the cap and the cuticle, we shall observe if the gills separate easily from the flesh of the cap; in the affirmative, we shall say that they are heterogenous or separable. If they do not detach, but are broken during the tentative, we shall say that they are homogenous, or not separable. 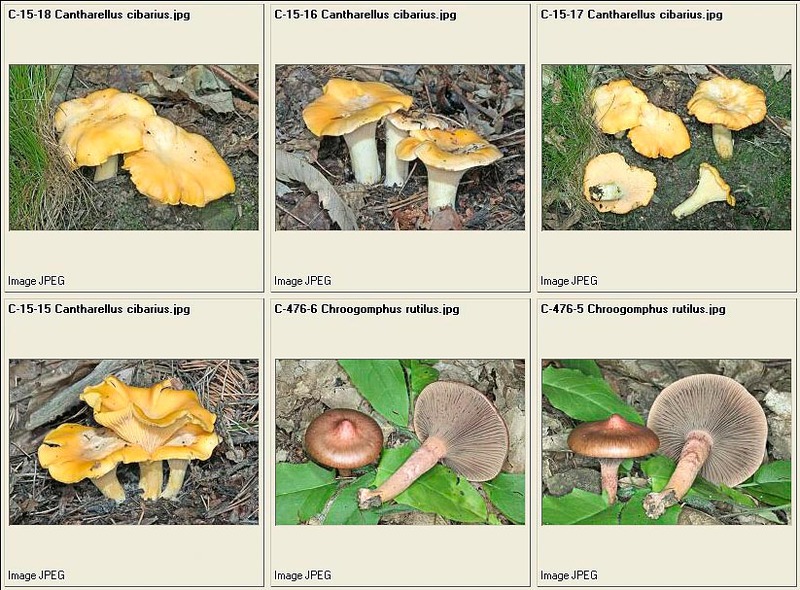 free or distant, when the gills do not touch the stipe, characteristic common to all heterogeneous fungi. adnate, when their gills adhere to the stipe on all their breadth. trimmed on the margins or hooked, when they adhere to the stipe only with a small part of their breadth. decurrent, when they persist along the stipe, beyond their breadth. Decurrent for a small tooth, when the decurrent part forms a small extension (small tooth). collarium, when the gills, distant from the stipe, are connected with the same thanks to a small circular cord. 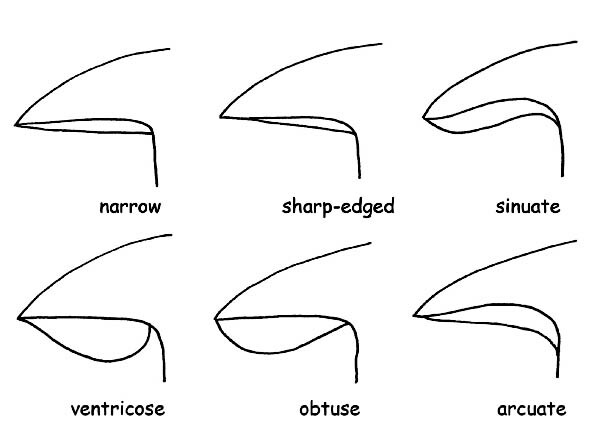 Observing the gill profile at the border, we shall be able to define them as acute, sinuate, ventricose, obtuse or straight. The back is the gill edge which is connected to the flesh of the cap. The gill edge (which is the gill edge opposite the back), can be entire, jagged, denticulate, smooth, floccose or pruinose and can have the same colour as the gills, or different. In this case, we shall talk of heteromorphous edge. If, on the contrary, the gill edge splits close to the stipe, the gills are called forked. 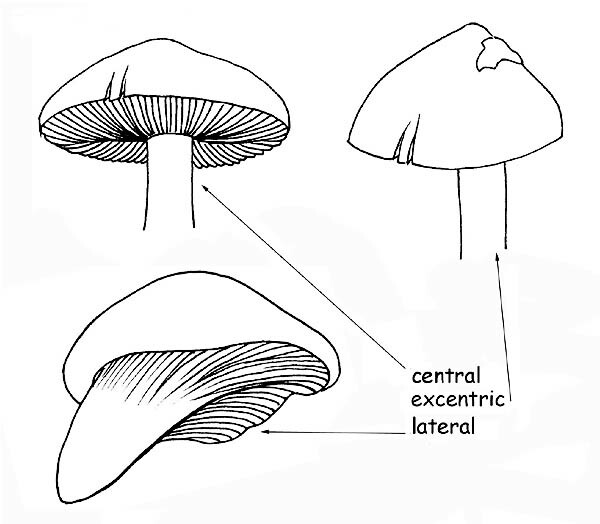 Presence or not of Lamellulae: these are gills which start from the margin of the cap and do not reach the stipe. They usually alternate with the gills and are off a variable length. The terminal part of the Lamellulae can be truncated, rounded or sinuate. 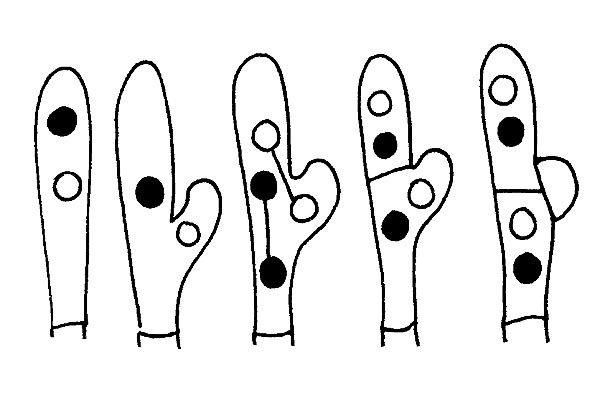 Presence or not of Anastomosis: these are transversal connections which unite in more points a gill to the other. 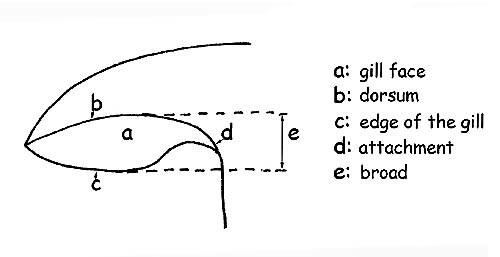 For a better comprehension: with breadth, we mean the distance between the back and the gill edge. With the definition dense or thin, we refer to the thickness of the gill. With the definitions sparse, thick we refer to the distance between the gills. 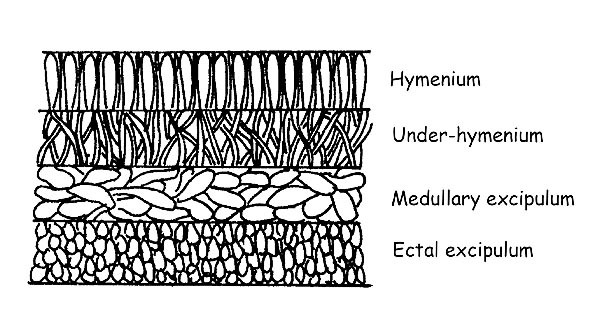 Similarly to the characters shown for the gills, with the due adjustments, we shall observe the characters of the hymenium with Tubes and pores. 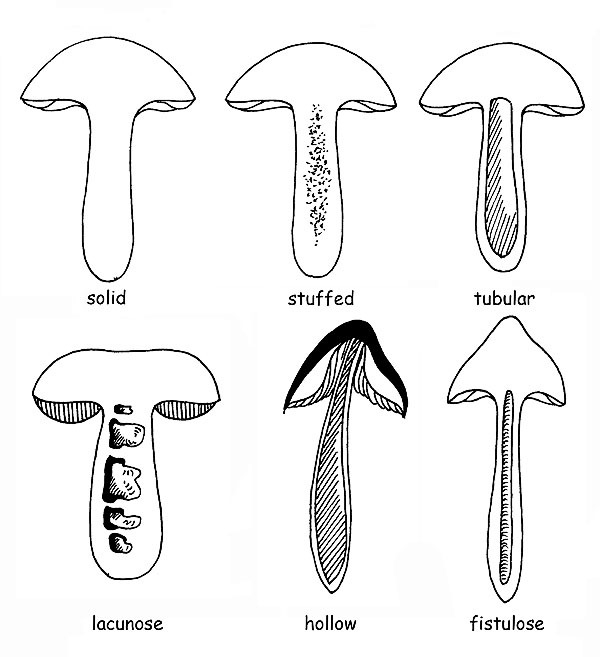 We shall observe the colour of the tubes and the pores in the young fungus and in the mature one (tubes and pores can be of the same colour, but also different), with all the intermediate variations; the length of the tubes, their adherence to the stipe, the size of the pores, their form, etc. 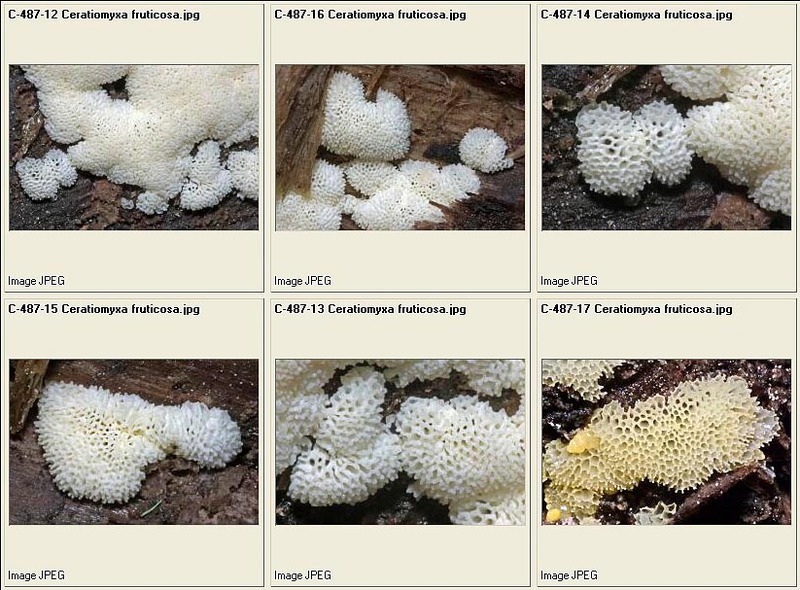 In the hymenophores with tubes and pores, the homogeneity is a character which determines their belonging to certain group. In the Boletales the hymenial part is heterogenous, therefore easily detachable. In the Poliporales the hymenial part is firmly attached to the flesh, therefore not separable. If the carpophore has cap and stipe, it is called pedunculated; when the stipe is not present, it is defined sessile. Also for the stem the characters to be observed are many and all of them are of a fundamental importance for the determination of the species. the form : cylindrical, attenuating downwards or upwards, ventricose or bulbous. It can present a bulb at the base : this can be defined, depending on the shape, sub-spherical, napiform, olive-shaped, turbinated and marginated; the interior can be fleshy, fibrous-fleshy, fibrous, full or hollow, fistulous, corticose, etc. There can be decorations of several types, for this the surface can be smooth, floccose, scaly, fibrillose, warty, hairy, dotted and knitted, or otherwise decorated; but even dry, viscous or sticky. 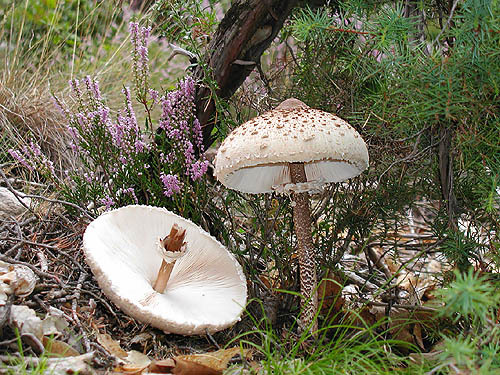 A special mention is to be done for the Boletaceae, where the decorations of the stipe are most frequently represented by a reticulum. In this case, we have to observe: the colour, the size of the meshes, if these are more or less long or is they are more or less bulging. 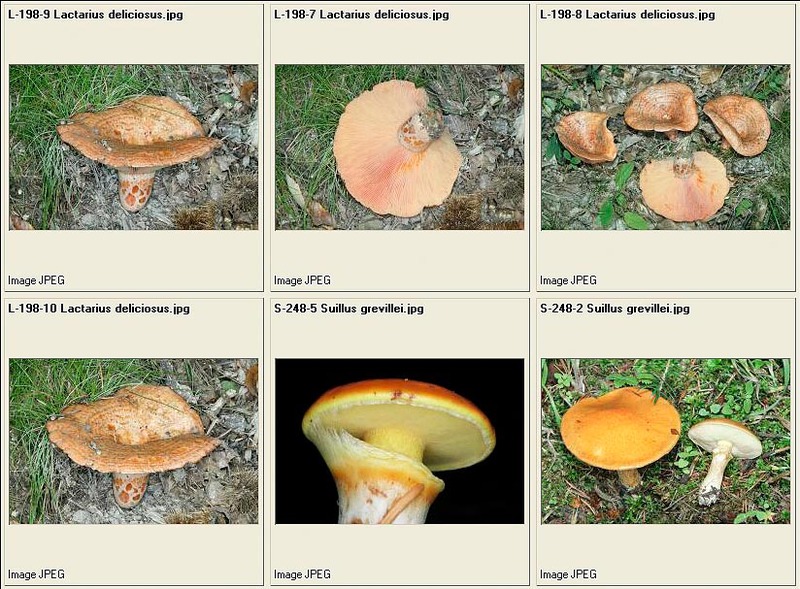 Furthermore, the reticulum can be totally absent or the stipe can be covered by dots or fibrillae, or by asperities or scales like in the genus Leccinum. All carpophores during the initial stages of their life (primordial) are wrapped by a closed membrane that covers them entirely (universal veil). 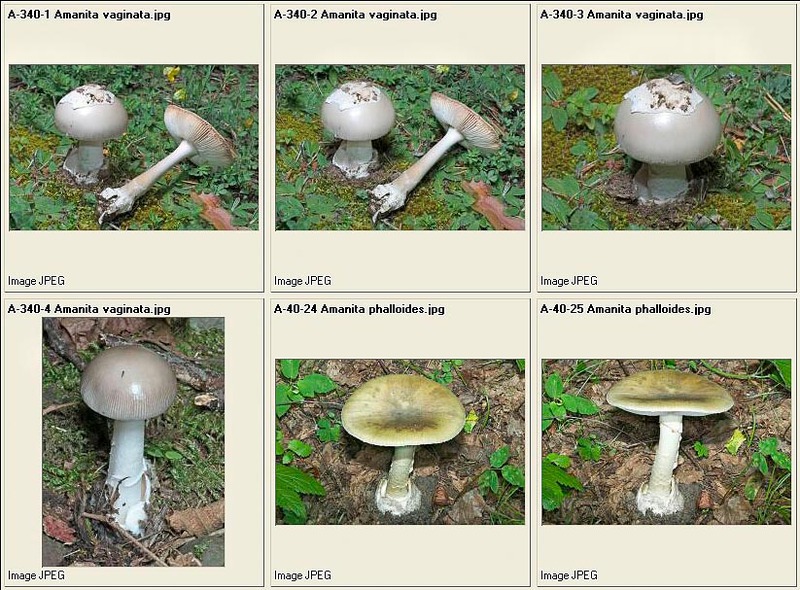 With most fungi, this veil disappears as early as the first phases of growth while for genera that belong to the Agaricaceae kind the universal veil persists through adult age, and can be found on the carpophore in several forms: warts or patches on the cap, volva or annulus at the base of the stipe; other kinds belonging to the Agaricaceae family have another kind of veil: a partial veil which covers the lower part of the cap starting from the margin of the cap and reaching the stipe to shield the hymenophore. The veil that starts out being closed on young specimens, detaches from the margin as the cap opens up but stays attached to the stipe where it is more or less evident under the shape of a ring. The volva can be membranous, sack-like, sheathing, circumcised or dissociated in ring or pearl form. The ring can be membranous, floccose, wide, thin, etc. ; it is called annulus if it is a remnant of the universal veil. 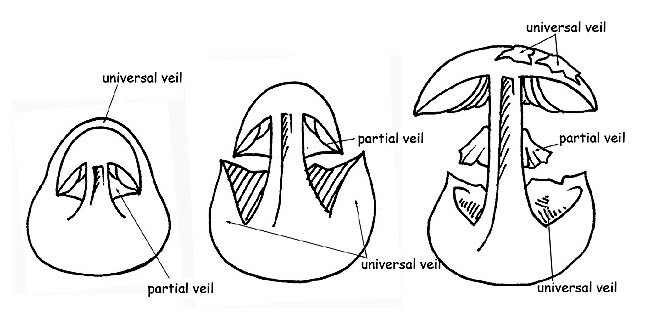 In some species, there is a double ring which is a remnant of universal and partial veils, connected to one-another at the stipe; in others, the remnant of the partial veil is formed by very thin and fugacious filaments (cortina). 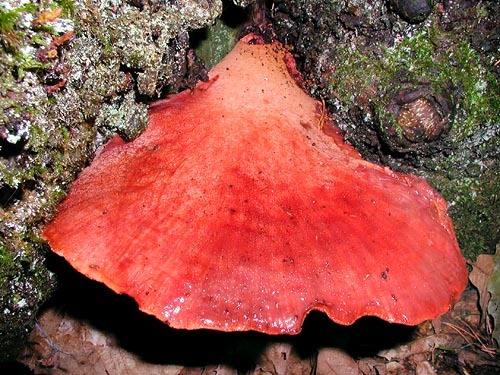 The pulp of a fungus, that is the part we see when cutting it from the top to the bottom, is called flesh. 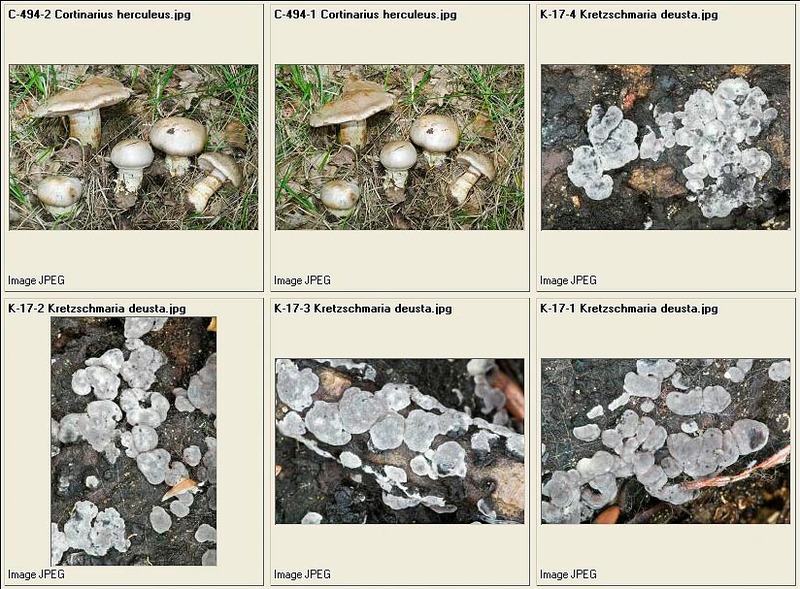 Likely, all other parts of the fungus, also the flesh presents some characters which are essential to determine the species: the consistency can be firm, compact, tender, coriaceous, membranous, waxy, etc. 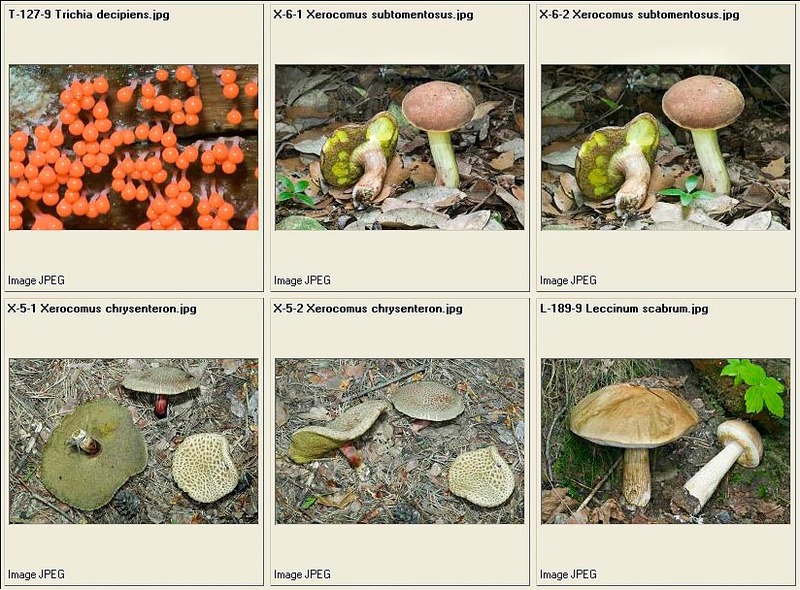 ; the colour and, in case, the turning (change in colour of the flesh when exposed to the air, due to the oxidation of two enzymes), character (particularly important in the Boletaceae) which is to be carefully observed, taking note of the intensity and the time of the appearance of the change of colour. 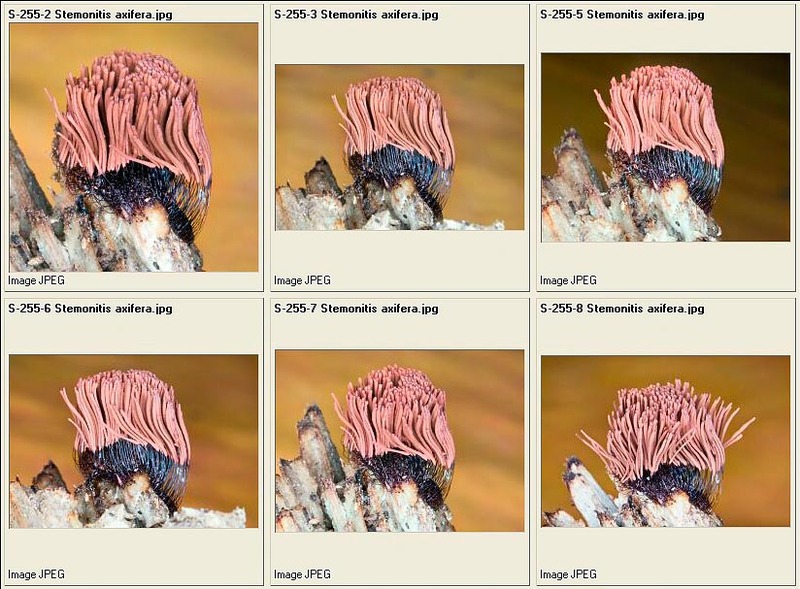 It can have blue or red shades, depending on the predominance of one enzyme over the other. The intensity of the turning in colour can be greater in young and fresh specimens, weaker or non-existent in the older ones. The hygrophaneity: is the more or less evident capacity of the flesh to absorb water. The reviviscence: is the capacity of the flesh to dry up and to become again fresh when in contact with water. 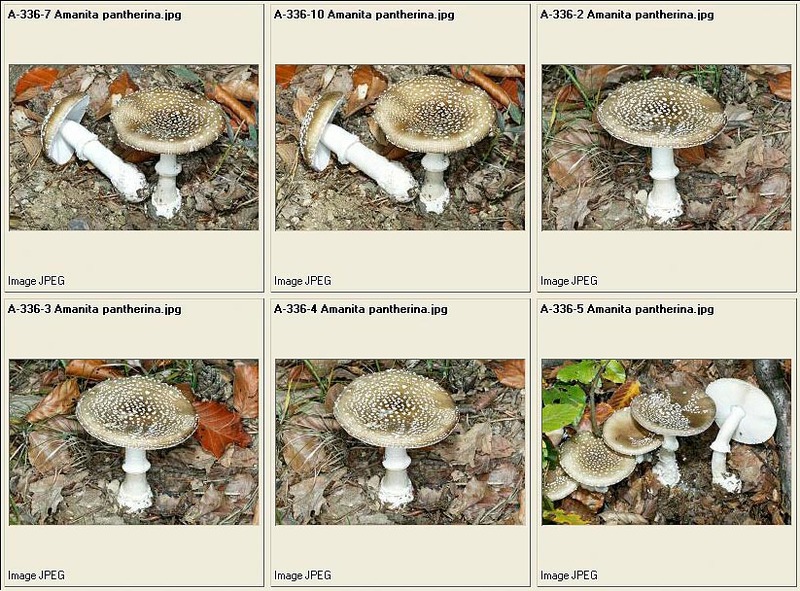 The organoleptic characters: smell and taste of the flesh are important characters, even determinant in some species of the genus Agaricus. TAXONOMY is the science studying the classification of the objects of study, that is the correct positioning of the various taxa in the systematic drawing. As taxon we mean a grouping of any kind (species, genus, family, order, division, reign). NOMENCLATURE is the set of rules allowing the allocation of a scientifically valid and correct name to the object of study. 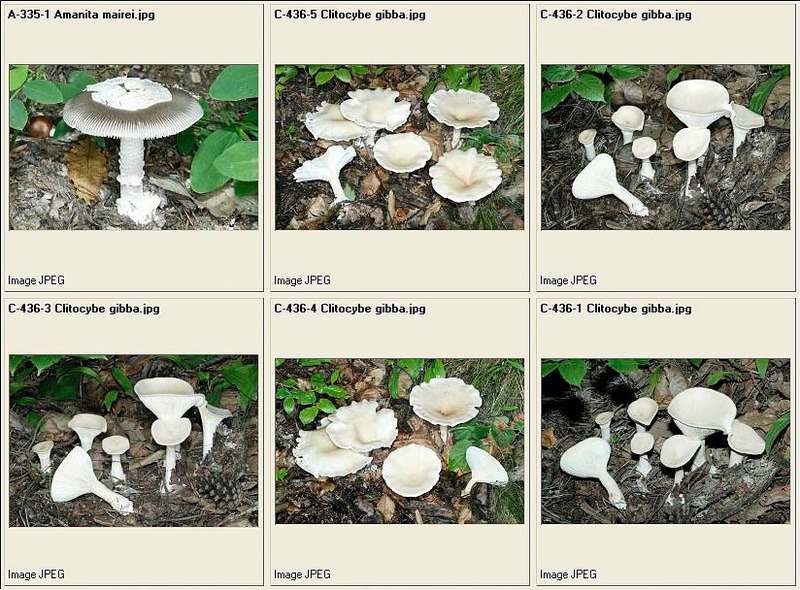 These rules are established by the International Code of Botanical Nomenclature (ICBN). 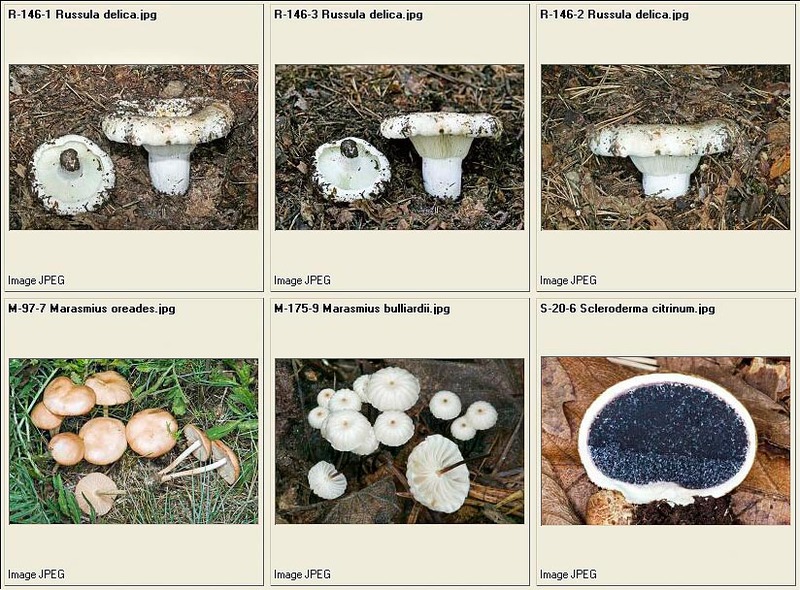 To this code refer all scholars and authors of the books and of the various publications concerning botany and mycology. The ICBN has been founded in 1867; every 5-6 years world-class conventions and committees are launched in order to make any updates and any possible modifications. 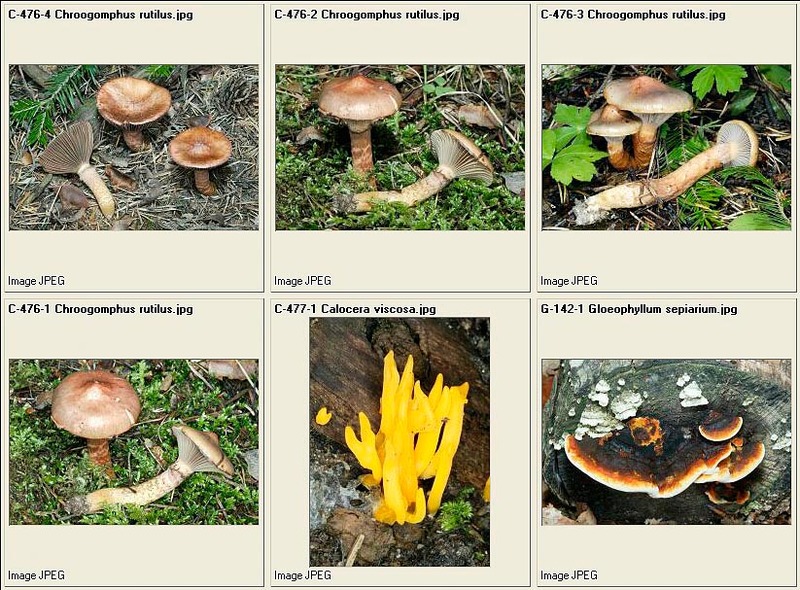 Herebelow, we suggest a systematic scheme concerning the classification of the fungi, referring to the teachings coming from the schools of R. Kühner and R. Singer, famous scholars of mycology and following the rules fixed by the ICBN (International Code of Botanical Nomenclature). Remark: When a species is quoted, its name is to be written in the Latin binomial form, the first name, the one of the Genus, must have its initial written in capital letter (i.e. 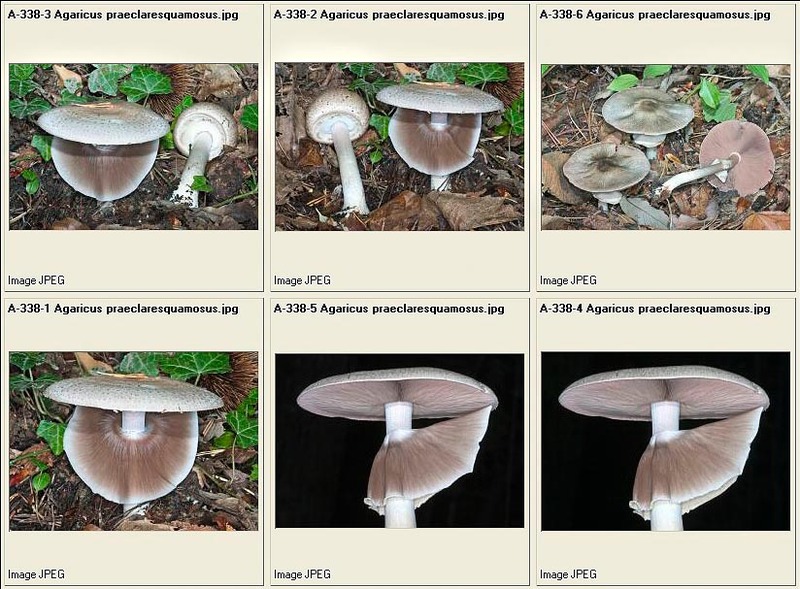 Agaricus), the second, the one of the species, in small letter (i.e. 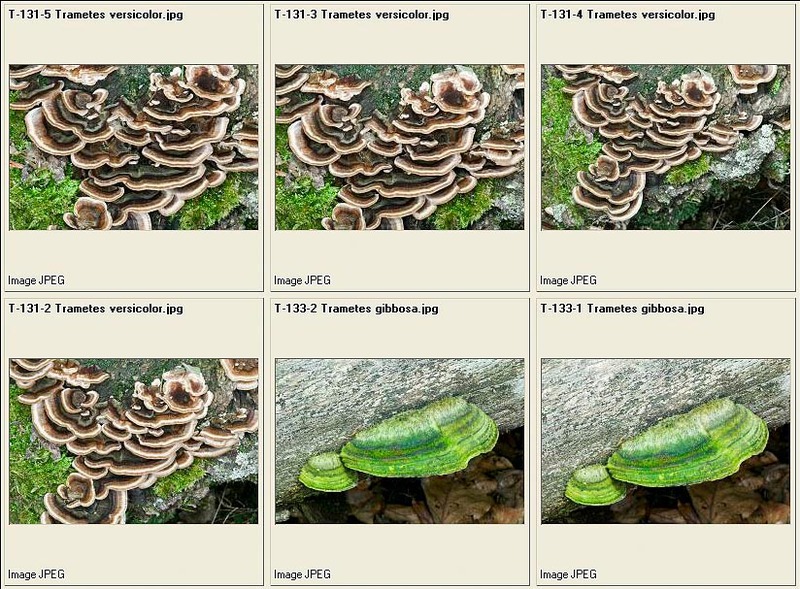 campestris); then the name follows, usually abbreviated, of the author who has determined and described the fungus (i.e. Bull. For Bulliard); if (inside a bracket), after this name, there is another one, it can be that of the sanctionist, and in this case it is always preceded by “:”, and it can be only Persoon or Fries, (i.e. Bull. : Fr. ), or of the person who has completed the original diagnosis, in case of deficiencies of the author (for instance the absence of the Latin diagnosis), and in this case the name is preceded by “ex” (i.e. Bull. ex Vent.). There can be also present a third name (outside the brackets), which represents the author who has modified the position of the Genus or of the species (i.e. Bull.:Fr.) Kumm. The termination identifies the various compartments of the systematics. 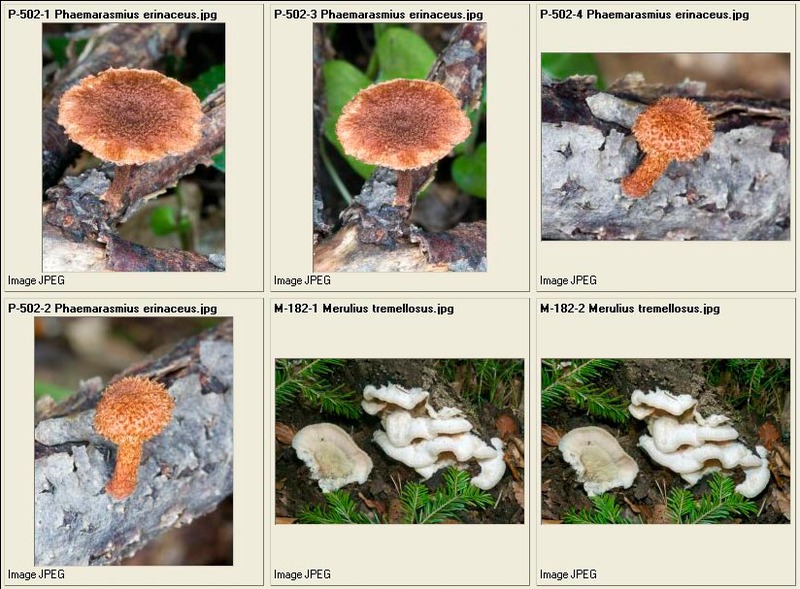 As we have seen with the macroscopic characters, also the microscopic ones of the fungi have a fundamental importance for the correct identification of the species. 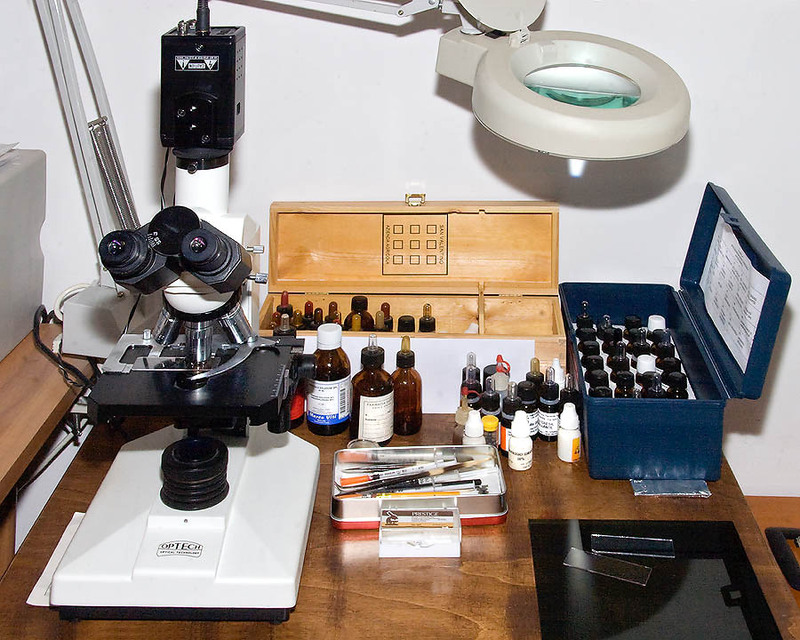 In some genera, microscopy is the only reliable instrument for the determination of many species (e.g. 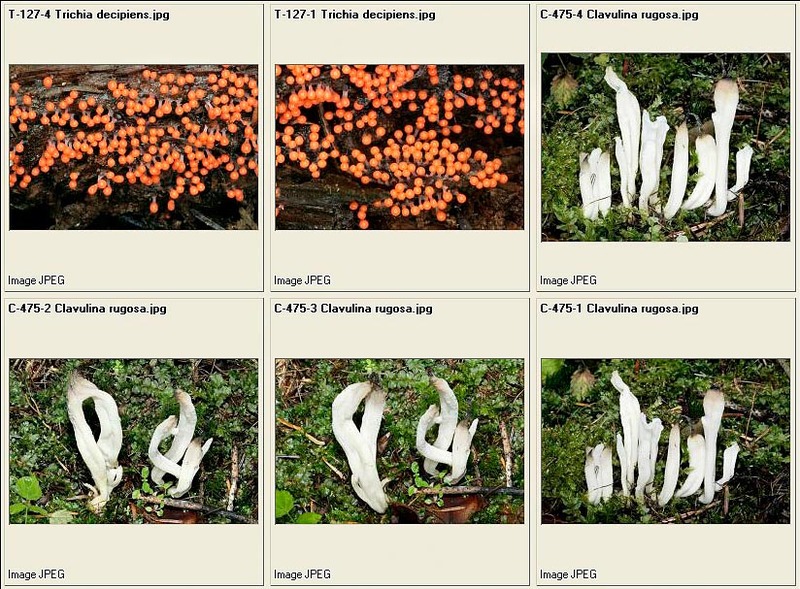 in the Genus Mycena). 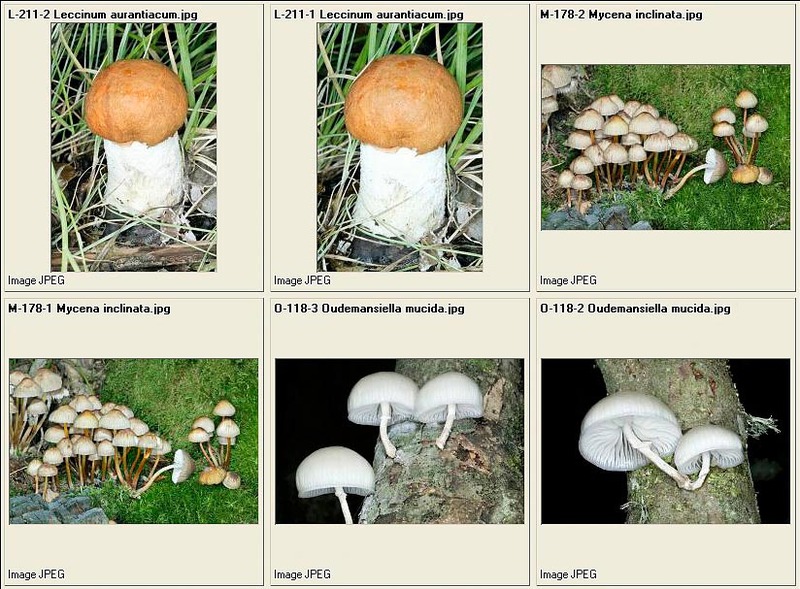 In this writing, which wants to be plain and not strictly scientific, we shall illustrate the main microscopic structures present in the superior fungi, which divide in two big classes: Ascomycetes and Basidiomycetes . We shall illustrate, in short, also the reagents and the most common technologies utilized for their observation. 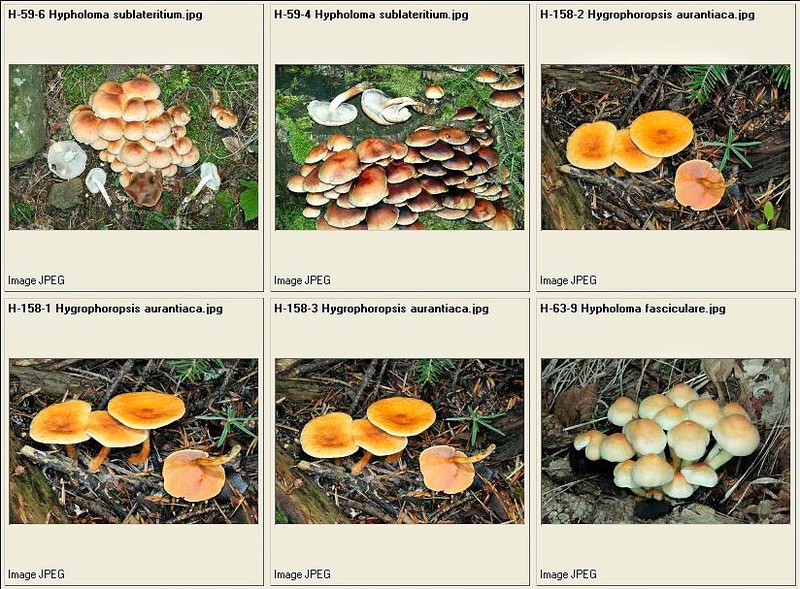 It is important, for this class of carpophores, to effect beforehand a short account on the development of the fertile part of the fungus: the hymenium (Thecium). When the carpophore exposes completely to the air its hymenial part, we shall say that we are in presence of an Apothecium, when the hymenial part communicates with the outside only through one small apical opening, we shall say that it is a Perithecium, and when, finally, the hymenial part is not at all in contact with the exterior, we shall say that it is a Cleistothecium (in this case, most of the species have a hypogeous or semi-hypogeous development). We shall see that this distinction is important on a microscopic point of view, for the specific observation of the various elements. 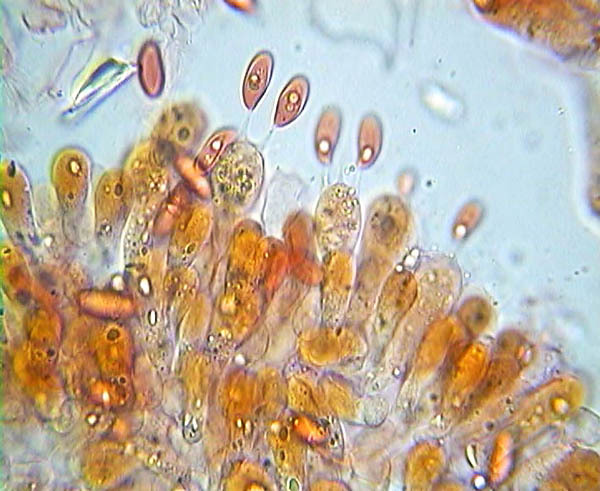 The Asci, from which comes the denomination of the class, are the fertile parts producing the spores and develop from particular specialized hyphae, called ascogonia. 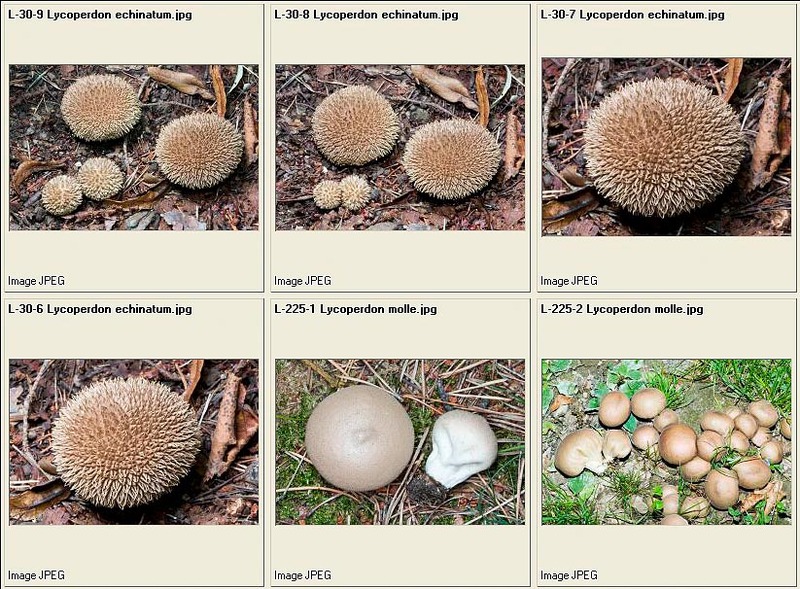 They are cylindrical, more or less club-shaped, or looking like a bag or a sac, and contain the spores (in most cases, eight, but also in variable quantity, up to thirty-two and more), till ripening. They can have a single or double (tunicate) cover, a positive or negative reaction to Melzer’s reagent, in case of positive reaction, they are called amyloids or iodine positive. 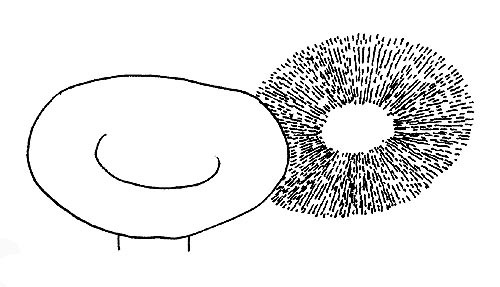 The cylindrical asci, typical of the Apothecia and of the Perithecia, open, when the spores are ripe, by laceration or by fissure of the apical part, or by the opening of a small lid (operculum), allowing the ripe spores to get out. The sac-like asci, typical, on the contrary, of the Cleistothecia, free, the spores by means of the decomposition of the walls. 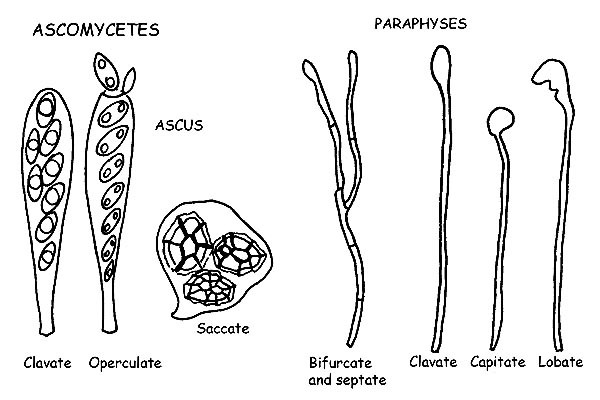 The Paraphyses are thin sterile hyphae, mixed with the asci, and cover a support function for the last ones. They are mostrly cylindrical and can be forked or septate, and the apex can have different forms: clavate, lanceolate, lobed, encrusted, etc. Also in the paraphyses, for the identification of some species, we have to observe the positivity to Melzer’s reagent. 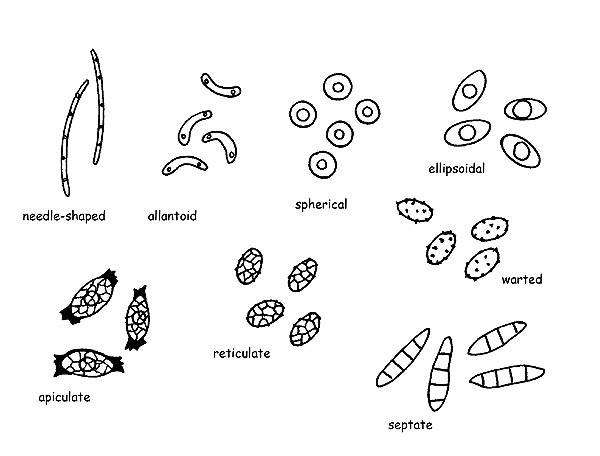 The Spores in the ascomycetes assume a wide variety of shapes (acicular, allantoid, spherical, ellipsoidal, apiculate, etc. 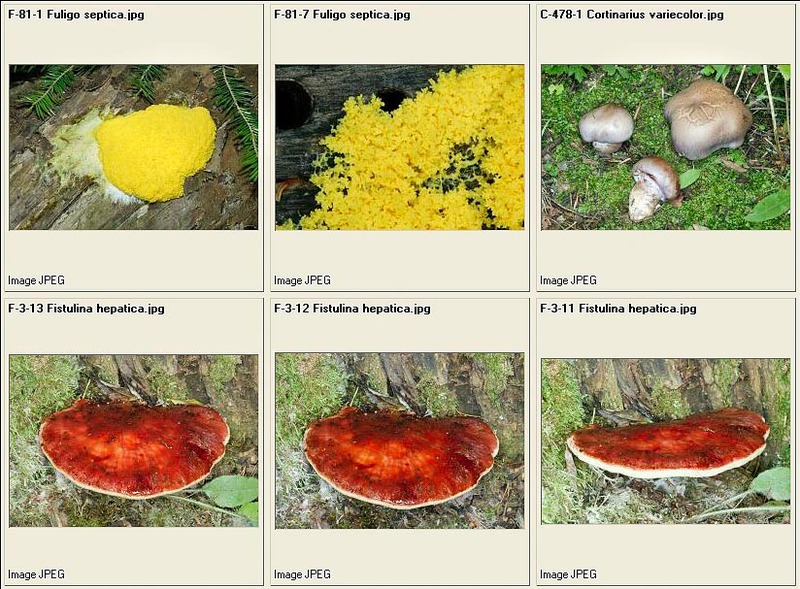 ), colours and ornamentations (networks, crests, warts, aculei, etc. 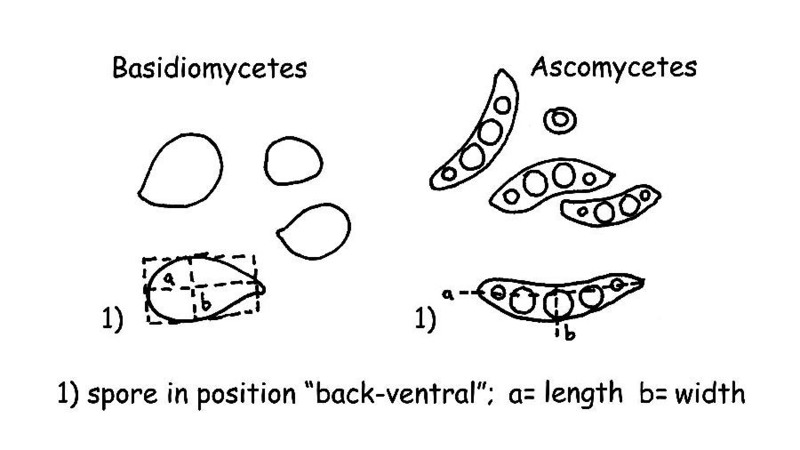 ), can be septate both longitudinally and transversally. 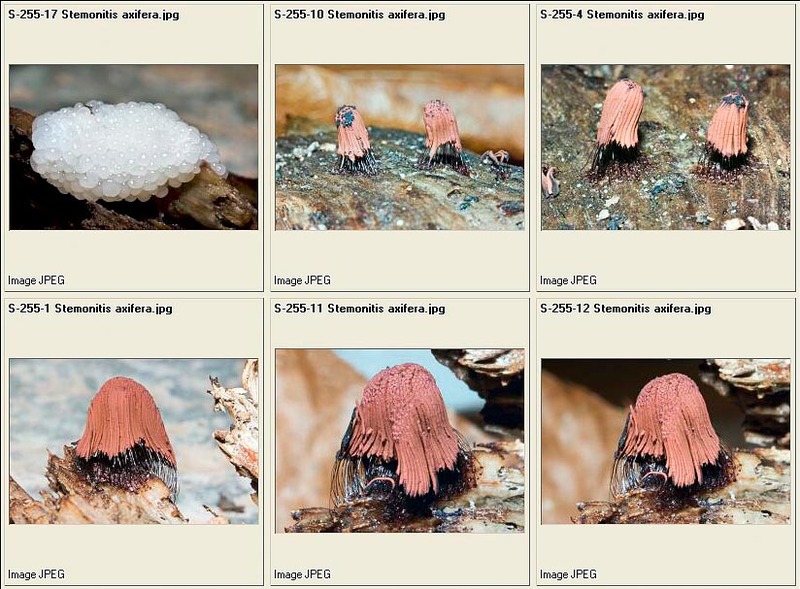 The Hair are the differentiating element for many species of ascomycetes, they protect the hymenophore and keep the humidity necessary for the development of the species. Can be placed on the external surface or on the edge of the carpophore, have a wide variability of form and size, can be septate or not, with sharp or more or less rounded apex, etc. The Textura: for textura, we intend the structure of the flesh which can be formed by cells of different form and disposition. 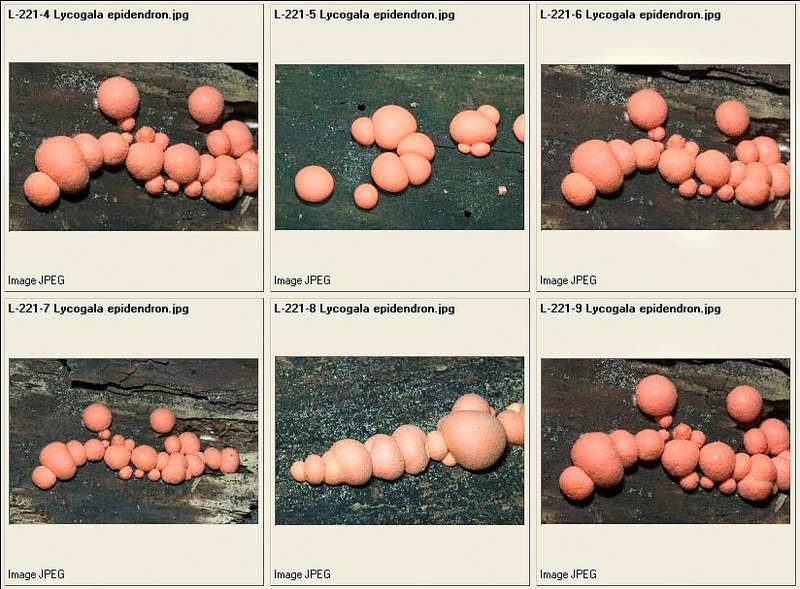 It is also important, for the Apothecia, to observe the complete section of the carpophore. 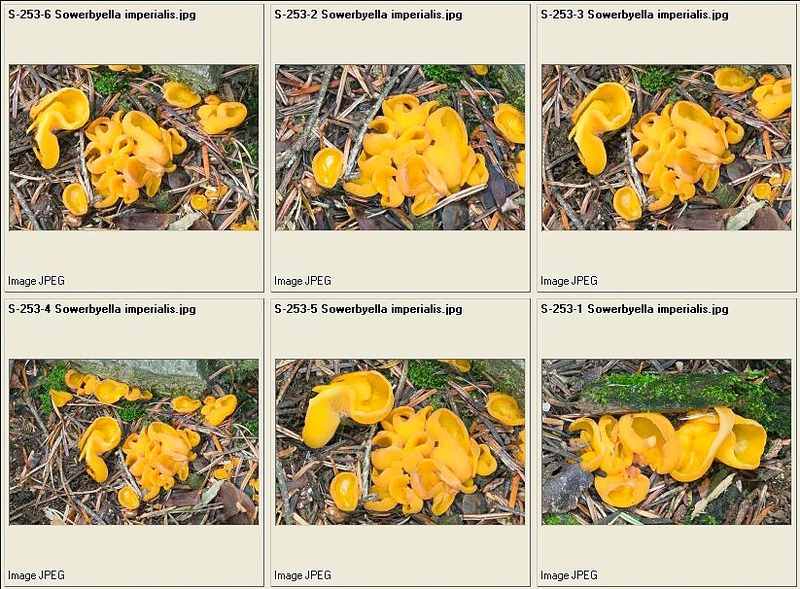 It is formed by several layers : Hymenium, Subhymenium, Excipulum medullare, Excipulum ectale. 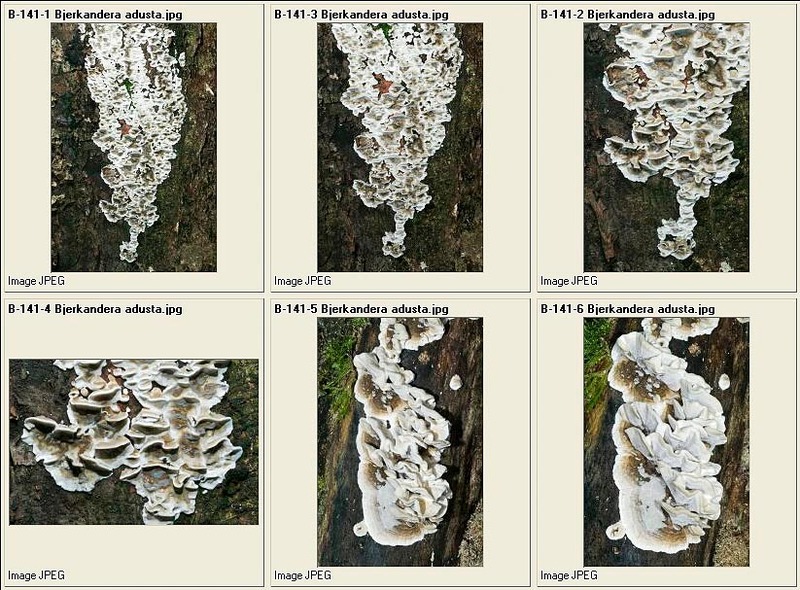 The observation of the conformation of the hyphae of each layer can be conclusive for reaching the determination of a species. We have seen in the ascomycetes that the spores develop inside specialized structures, the asci, which protect them till full ripening. 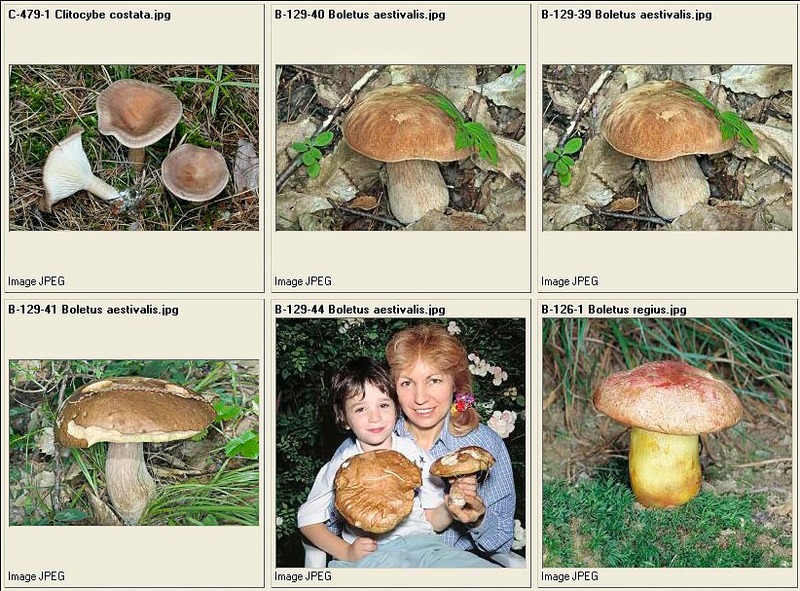 On the contrary, the basidiomycetes develop and ripe the spores outside of fertile structures, the Basidia. 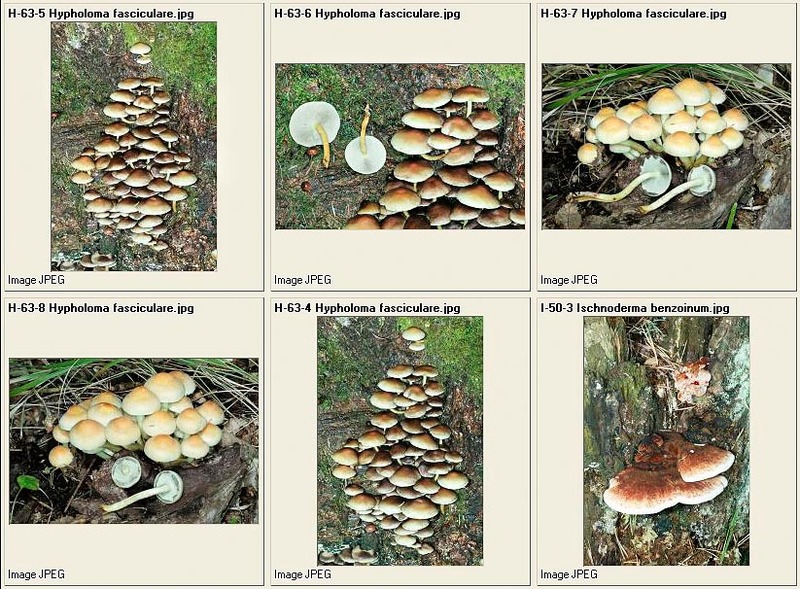 The class Basidiomycetes splits in two big subclasses: Holobasidiomycetes and Heterobasidiomycetes . All the species with monocellular basidia belong to the first cless, whilst the species with pluricellular basidia belong to the second one. 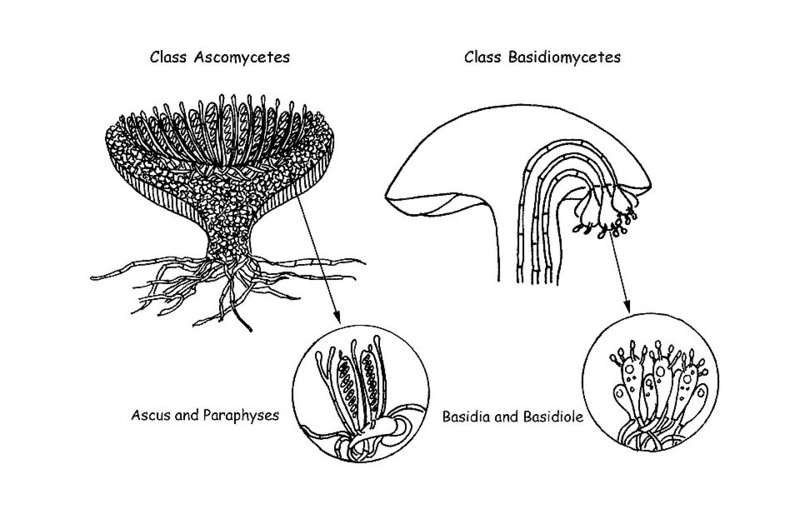 The Basidia are cells specialized for the production of the spores. They come out from the terminal cell of an hypha. The cellular division which originates four cells which will become four spores happens inside the basidium. 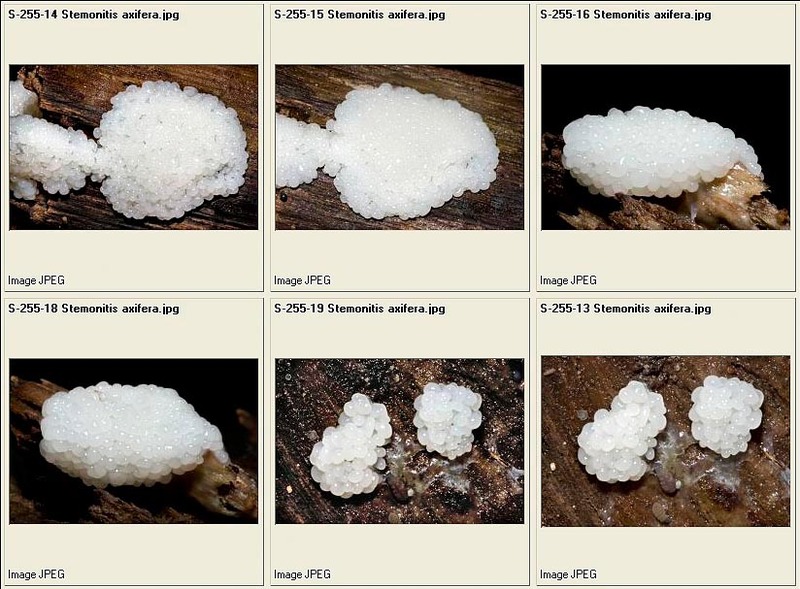 The formation of the spores takes place on top of the protuberances placed at the apex of the basidium (sterigmata) and, when ripe, the spores will be released in the habitat. 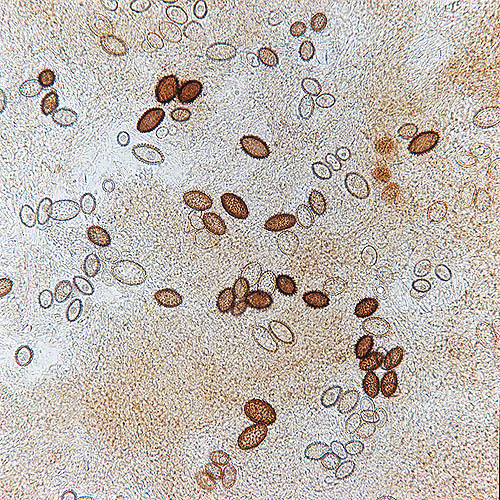 The basidia are usually more or less cylindrical and more or less club-shaped, usually have four sterigmata (tetrasporic basidia) but can have two or three or more than four of them, and can have, or not, cellular pigment. The Basidioles are nothing else than basidia still immature. The Cystidia are sterile elements and can be present both on the hymenial part or on the cuticle or on the stipe. The cystidia present on the gills are called: Pleurocystids, if present on the faces of the lamellae, Cheilocystids if present on the edge of the lamella, whilst those of the cuticle and of the stipe are called respectively Dermatocystids and Caulocystids. The cystidia can have very different forms depending on the species, with or without encrustments, with simple or double wall, with or without intracellular pigment. They hold, therefore, great importance from a microscopic point of view as they often allow a correct determination. 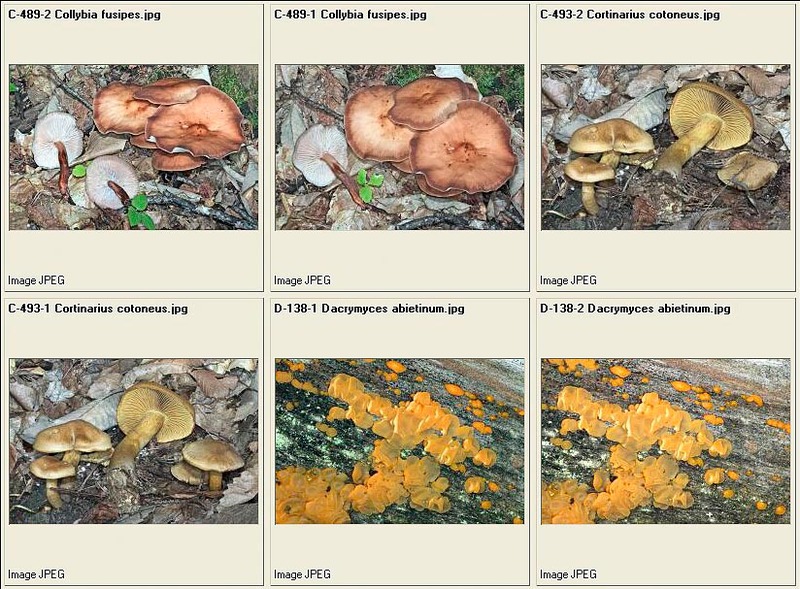 The Spores are very variable, also in the basidiomycetes, as form, colour and as ornamentations. Usually, they have a small protuberance at one of the two extremities (apiculum) which is nothing else that the appendix which kept fixed the spore to the sterigma, and can have on the other extremity a germination pore, a sort of small hole from where will come out the new mycelium. Also for the spores of the basidiomycets an important character for the determination is the amyloidia, that is the positive reaction to Malzer’s reagent, the cyanophilia, that is when the spore wall becomes blue when in contact with the Cotton blue. The Joints to buckle are the result of a particular growth of the hyphae by means of a diverticulum produced by the apical cell. They are not present in all the genera or in all the species of a genus and their presence or absence is often conclusive for determining the species under exam. 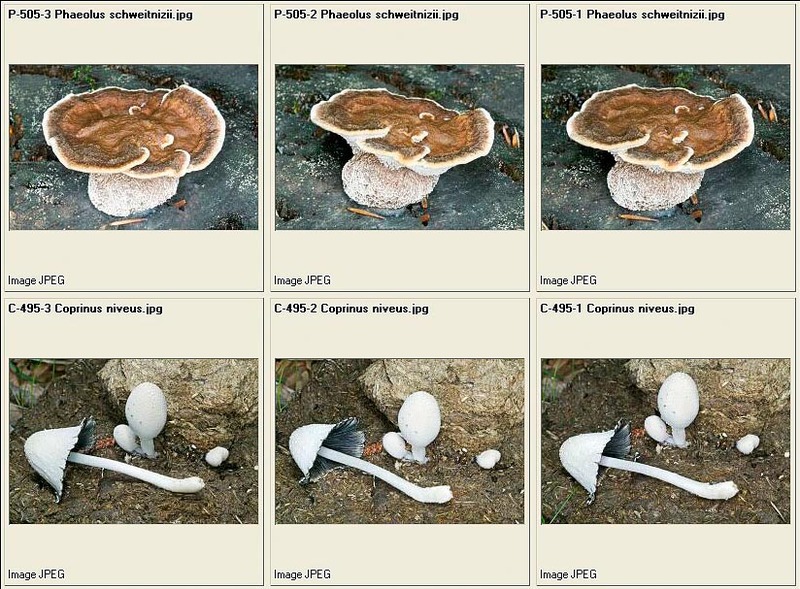 They are usually found on the septa of the hyphae, but also at the base of the basidia or the basidioles. 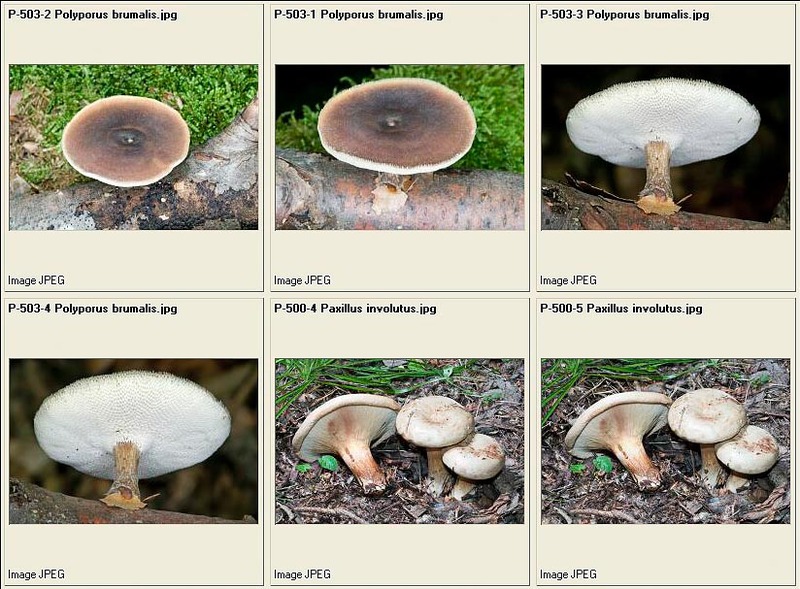 In the basidiomycetes, moreover, it has a particular importance, mainly for some genera, the study of the shape and the disposition of the hyphae forming the Pileipellis (covering of the cap), particularly important, for instance, in the genus Russula, and the Caulopellis (covering of th stope), for instance in the genus Mycena. 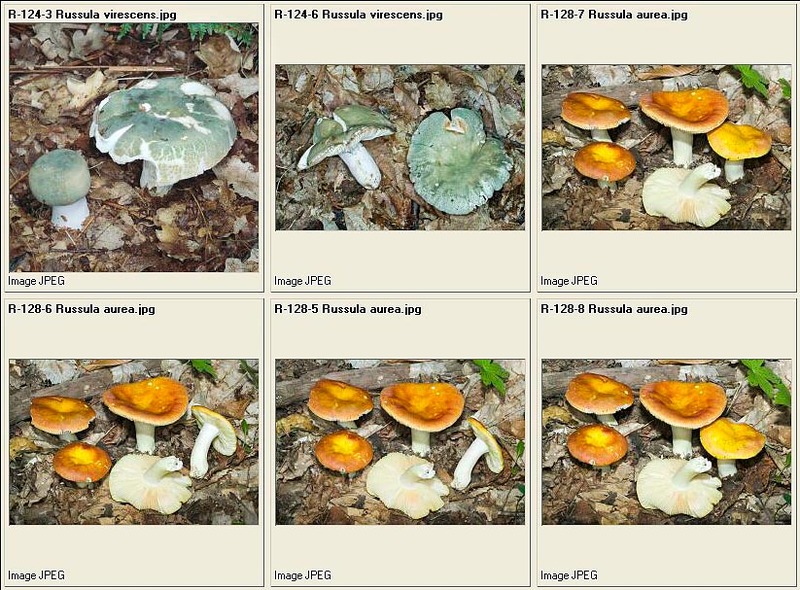 REMARK: for some genera, such as Galerina, Rhodocybe or Lepista, it is not necessary to warm up the preparation. 4) warm up the whole very slowly, stirring with a tool in iron (not steel) for some seconds. 6) crush the preparation very strongly and observe. AMMONIA (NH3) : utilized for rehydration of dry specimens (observation of the exsiccata) ; usually it is a watery solution concentrated at 2-3 or 6%. POTASSIUM HYDROXIDE (KOH) : it has the same properties as the ammonia, it is therefore utilized in exsiccata with a maximum concentration of 5%. SODIUM CARBONATE (NaOH) : same as previous, also this one is utilized at a concentration not bigger than 5-10%. CHLORAL HYDRATE (C Cl3 CH(OH)2) : has the characteristic of clearing up. In the case we desire to observe the preparation for a long time, we shall use liquids which eliminate the possibility of microbes reproduction inside the slide, the Amman’s lactophenol (solution of Amman), composed by Phenol, Lactic acid and Glycerol in watery solution at 20%, is a very suitable bactericide liquid, especially if we have to effect long observations while doing micrographic photos; it is important to fix well the covering slide to the carrying slide (perfect adhesion of the slides: it is obtained by putting over the covering side a small weight and sealing the borders with nail-polish), in order to avoid possible overflow of liquid or infiltrations of air. 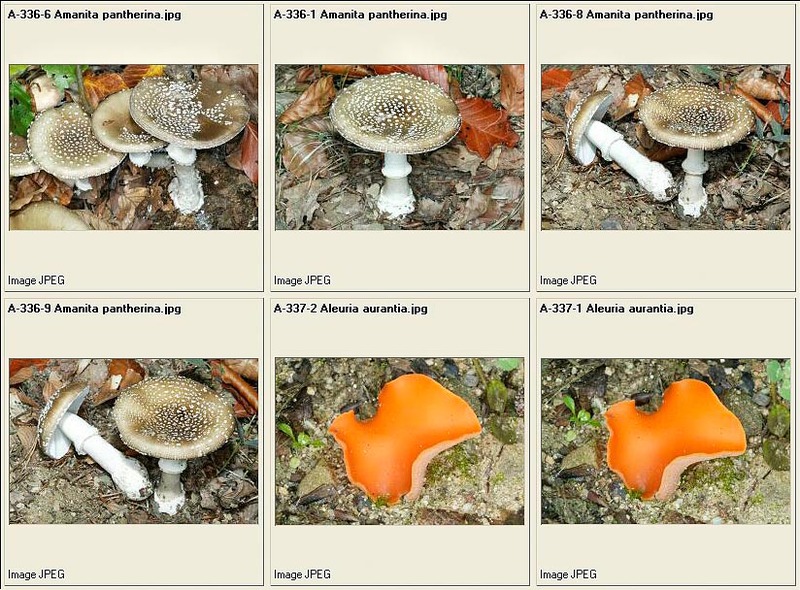 The ammoniac solutions and the potash are also used for observing fresh material, in fact, in some genera (Galerina, Inocybe, Cortinarius), the dye the walls of the marginal cells (cystic), causing an important reaction on the taxonomic point of view. 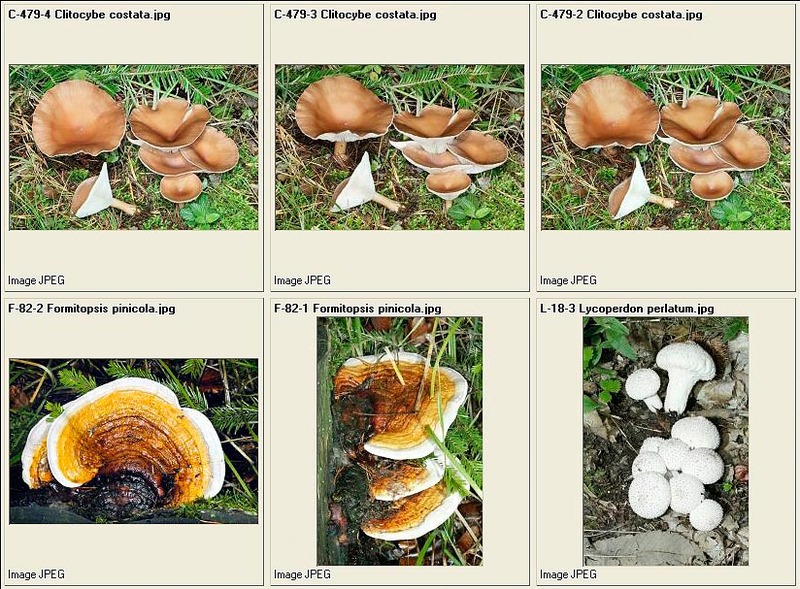 CONGO RED: it’s the most used colouring in Mycology, it stains the walls of the cells, it adapts well in many cellular structures; if utilized in ammoniac solution, is very good also for operating on exsiccate. 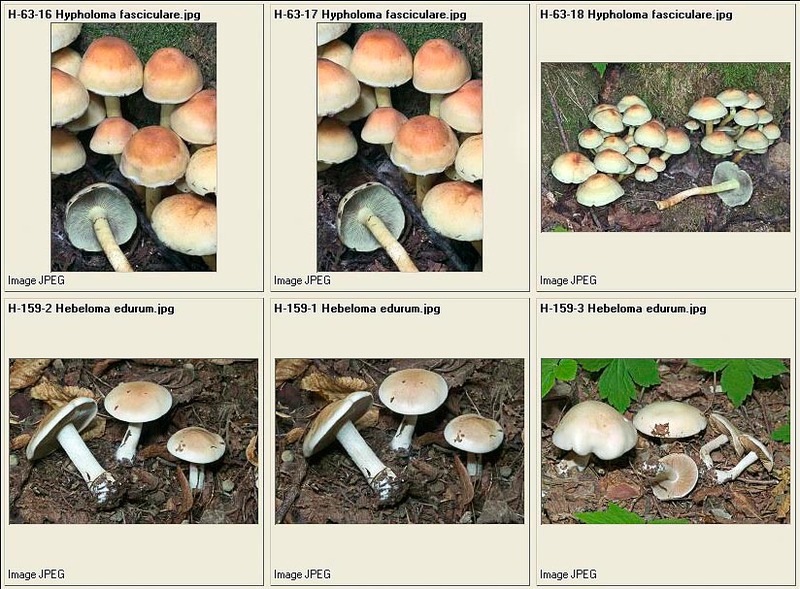 PHLOXINE: it has the same characteristics as the Congo Red, it stains the cytoplasm, is greatly used by American mycologists, it is also found in watery and in ammoniac solution. 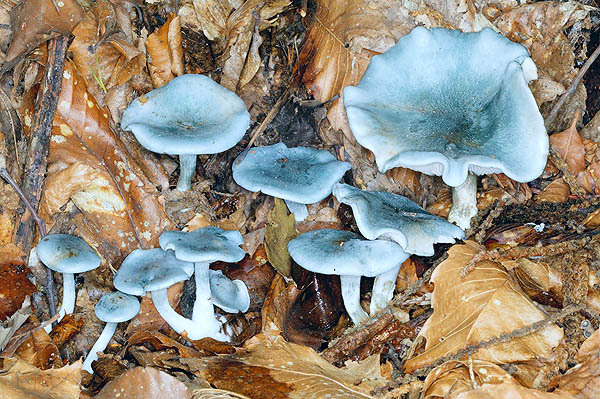 COTTON BLUE or METHYLENE BLUE: the most suitable is the Cotton Blue in Lactic acid, it is also utilized as reagent for identifying the sporal cyanophilia, that is the sporal membrane takes an intense colouring (genus Entoloma), or does not stain (genus Tricholoma). MELZER’S REAGENT: obtained by mixing a solution of Iodine with Chloral Hydrate; it is mainly utilized for verifying the amyloidy of the spores. The reaction can be amyloid (blackish-grey or bluish sporal membrane, blue-green asci apex), dextrinoid or pseudo-amyloid (the spore takes a reddish colouring), inamyloid. ACETIC CARMINE: utilized for observing a particular reaction which takes place inside the basidia of the species belonging to the group of the Lyophyllum s.l. The granulations of these basidia are called carminophilic or siderophilic, and take a typically blackish-grey colouring. 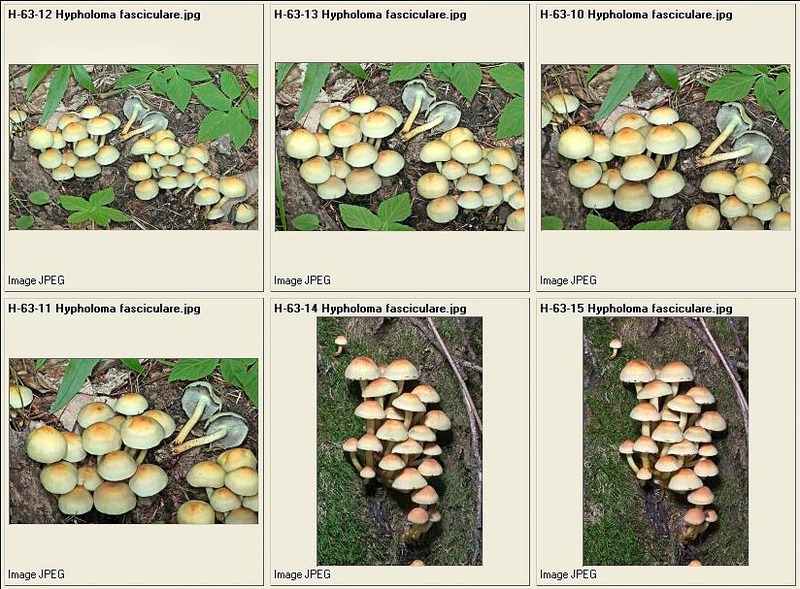 NEO-FUCHSIN BASIC (ZIEHL stain) : produces a reaction on the hyphal incrustations in the cuticle of some Russula, taking an important taxonomic value. 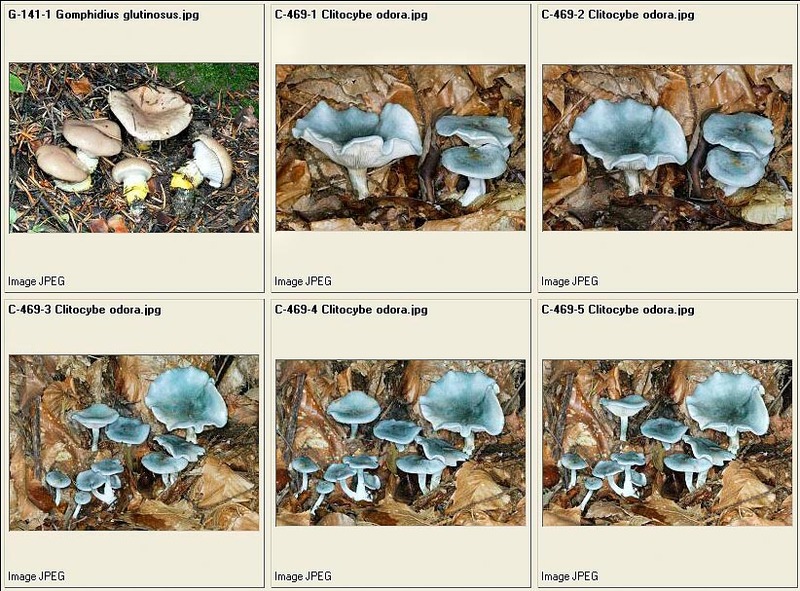 CRESILE BLUE : produces a reaction called meta-chromatic in the hyphae of some species of the genus Mycena . The reaction manifests rendering the outer hyphal wall coloured with a lively violaceous-red. 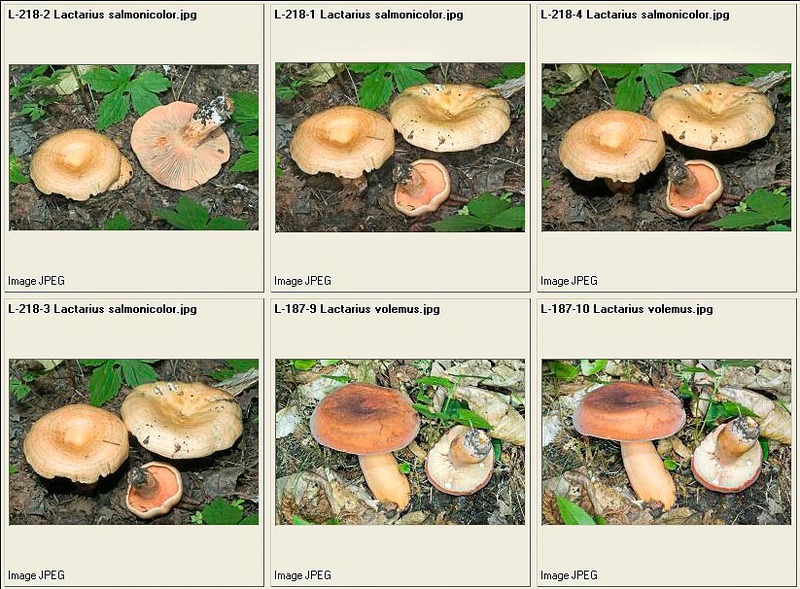 SULPHOVANILLINE: it evidences the lactiferous hyphae and the cystidia in the genera Russula and Lactarius . 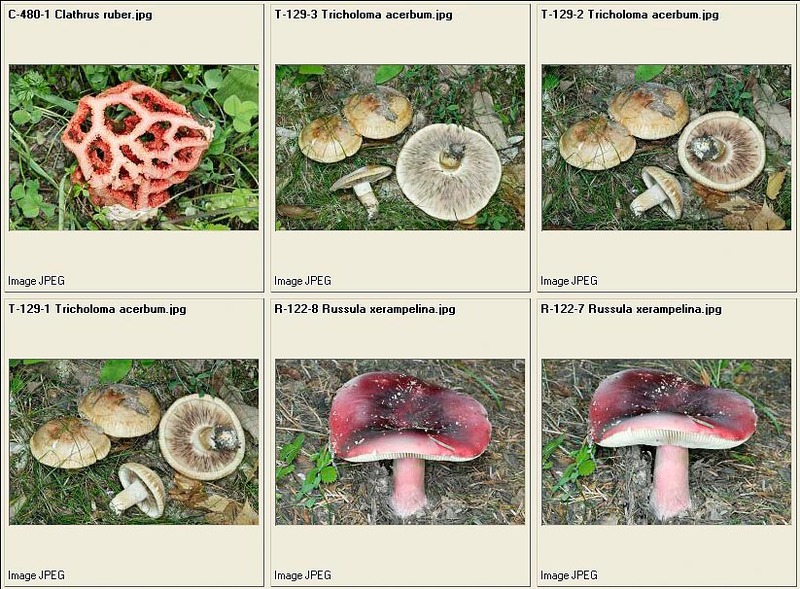 FERROUS SULFATE (FeSO4) : is utilized as macro-chemical reagent in the genus Russula. GUAIACUM TINCTURE : also this one is macro-chemical reagent very much used in the genus Russula . 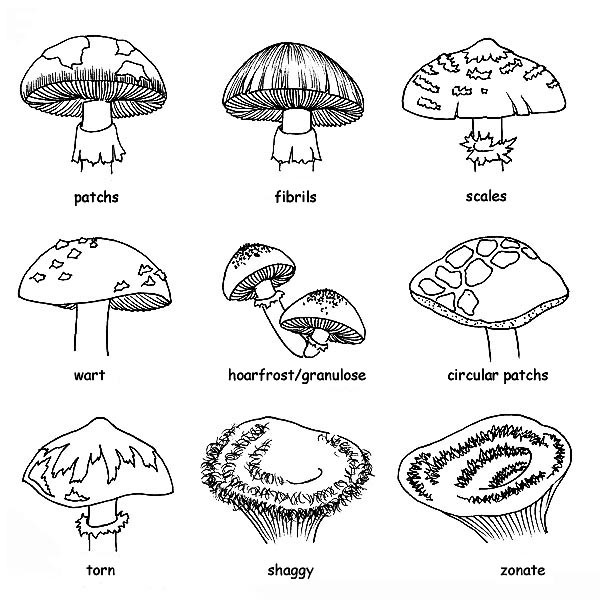 Spores : For measuring the spores we usually take the length and the breadth, imagining a hypothetical geometric form (a square, a rectangle or a circle), excluding the ornamentations and the hyphae appendix. 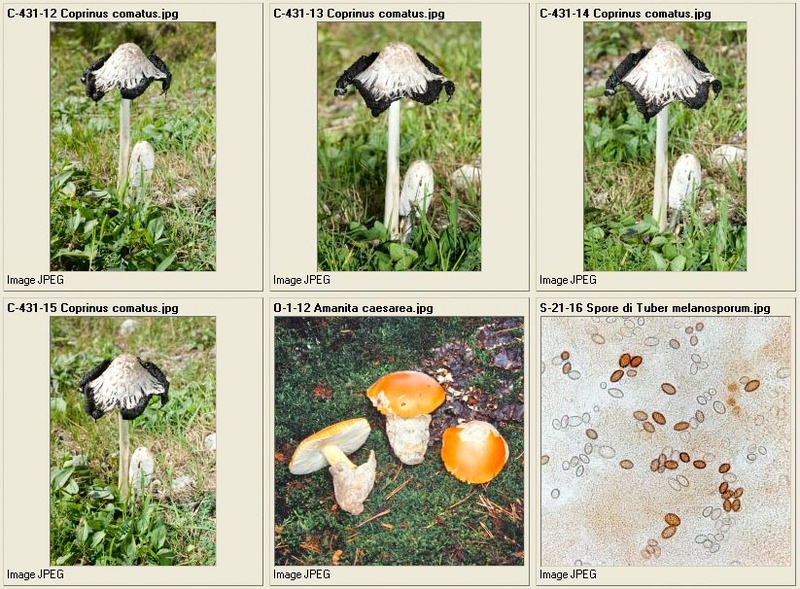 The spores are to be measured when the appear in the “dorsal/ventral” position, as per figure, usually about 32 measurements of ripe carpophores are done, it would be better to effect the measurement on spore-print. For a correct and valid exposition of the measurements effected, it is necessary to calculate both the “Q” and the “QM” (that is the average quotient) and the Volume “V” and average Volume “VM” of the spores. – we shall carry forward, from the quotients obtained by the “QM” the smallest and the greatest like for indicating the measurement of the spores Q = 1,35-1,53. – we shall find the smallest spore of our fungus, we shall calculate its volume with the following formula “QM” (a=smallest diameter, b=greatest diameter). – We shall find the greatest spore and will calculate its volume as for the previous V1= 4π/3 × (A/2)² × B/2 (A=smallest diameter, B=greatest diameter), then will proceed with the formula VM = (V + V1)/2, for instance: in a series of measurements we have the smallest spore measuring 6,5 x 4 µm and the greatest 8 x 5,5 µm by applying the formula, we shall have: V = (4×3,14/3) x (4/2) 2 x 6,5/2 = 54,34; V1 = (4×3,14/3) x (5,5/2) 2 X 8/2 = 126,40; VM = (54,34 + 126,40) /2 = V M 90,4. 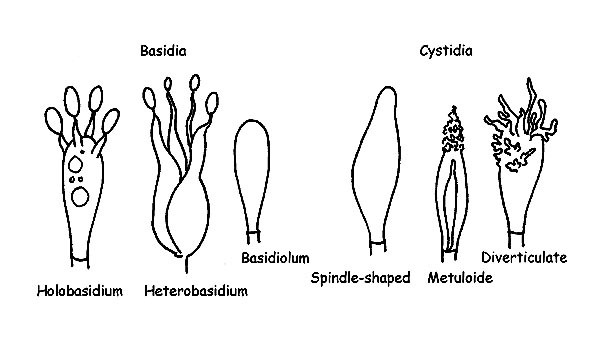 Basidia and Cystidia: We shall effect the measurement of the length, starting from the junction of the basidium or of the cystidium to the sub-hymenium, the breadth is taken in the mean point or normally, in the widest point.